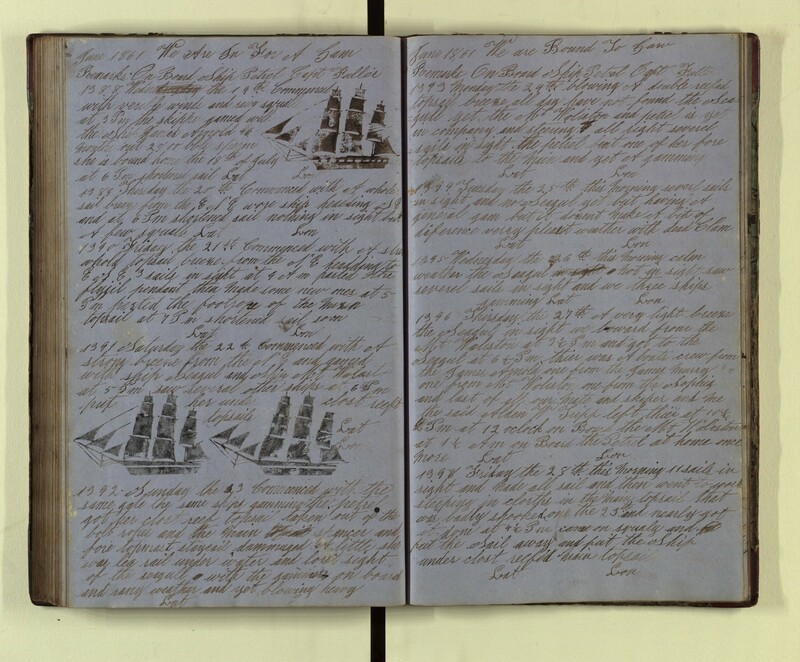 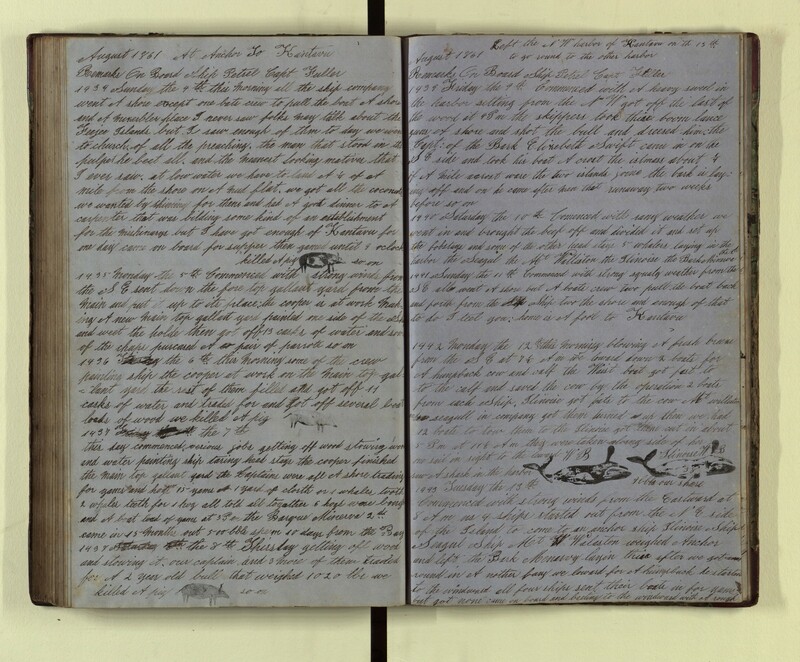 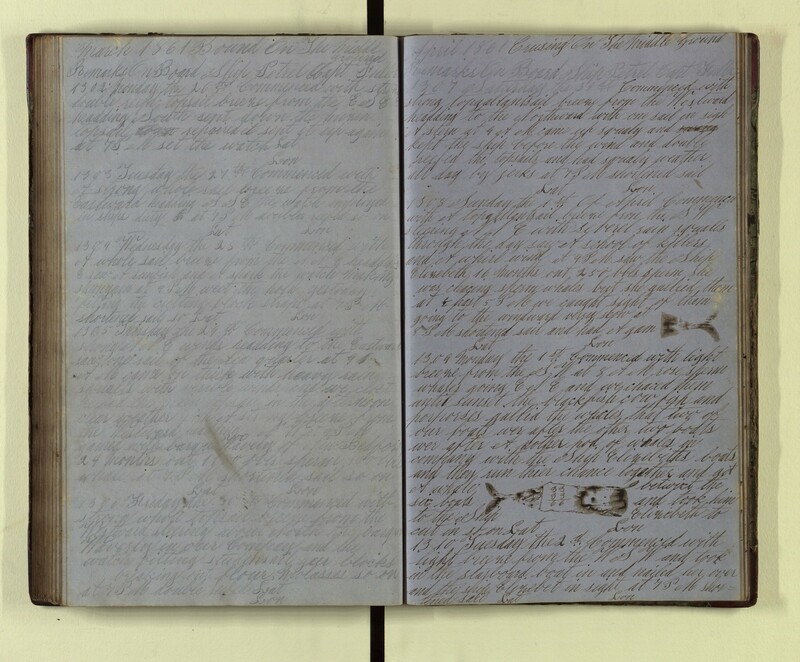 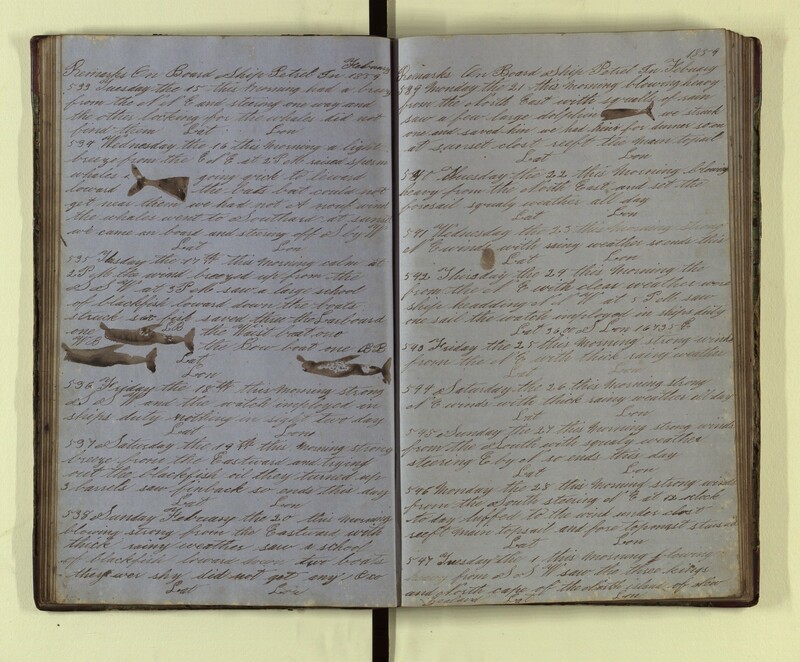 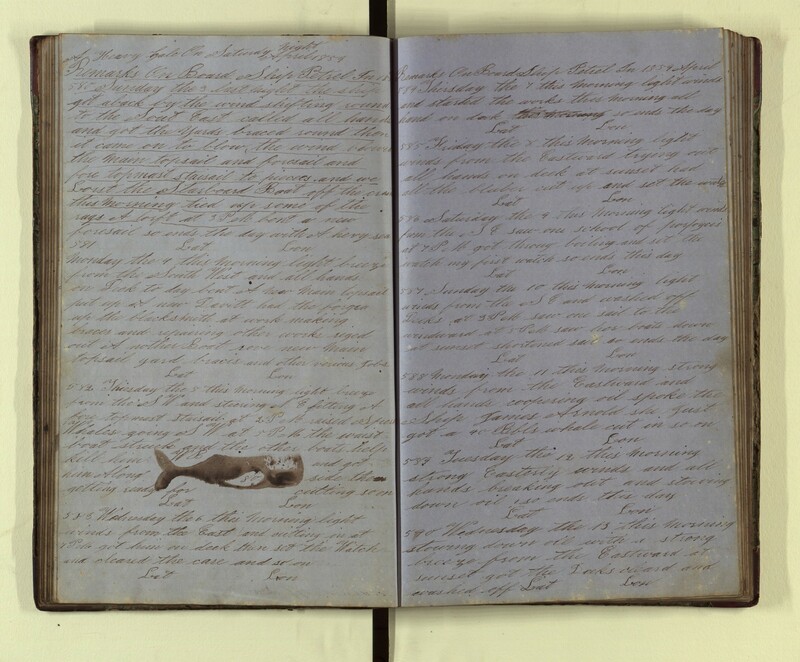 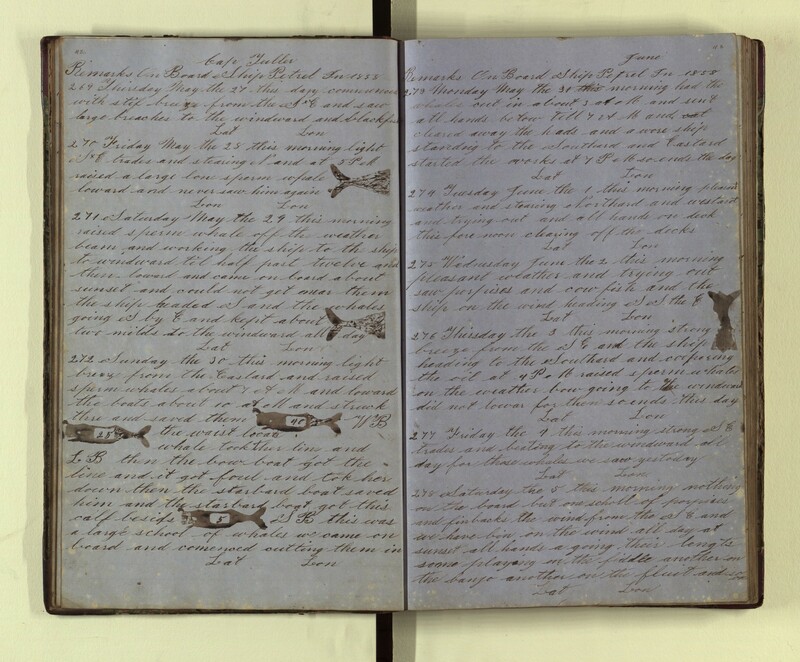 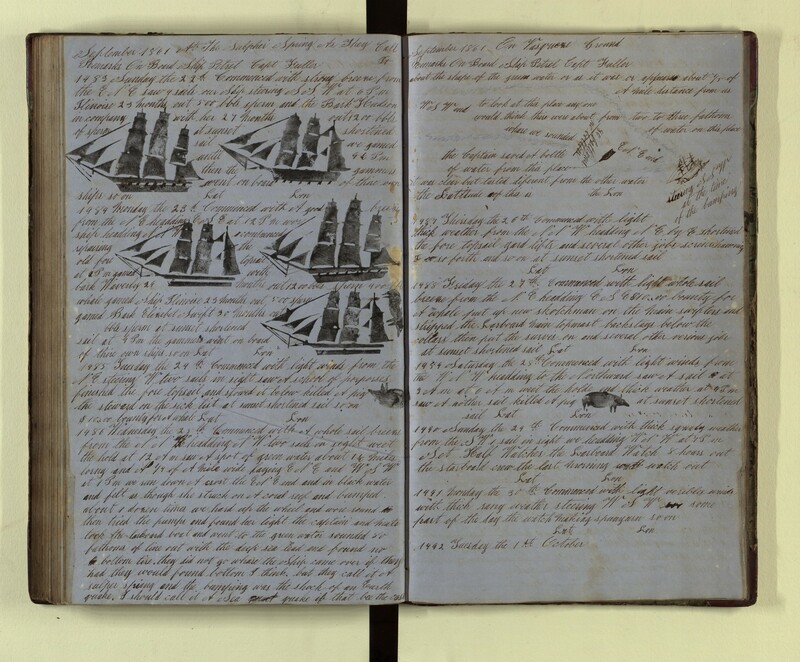 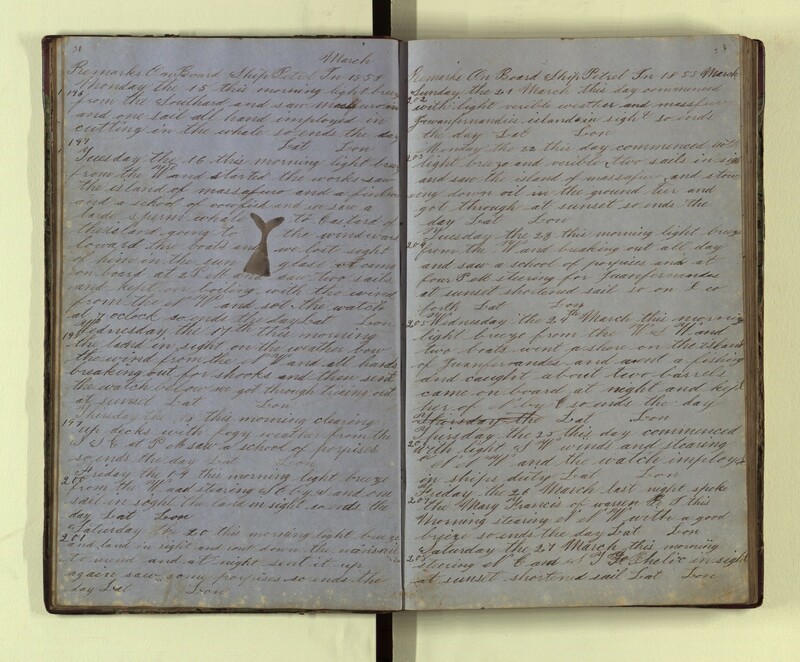 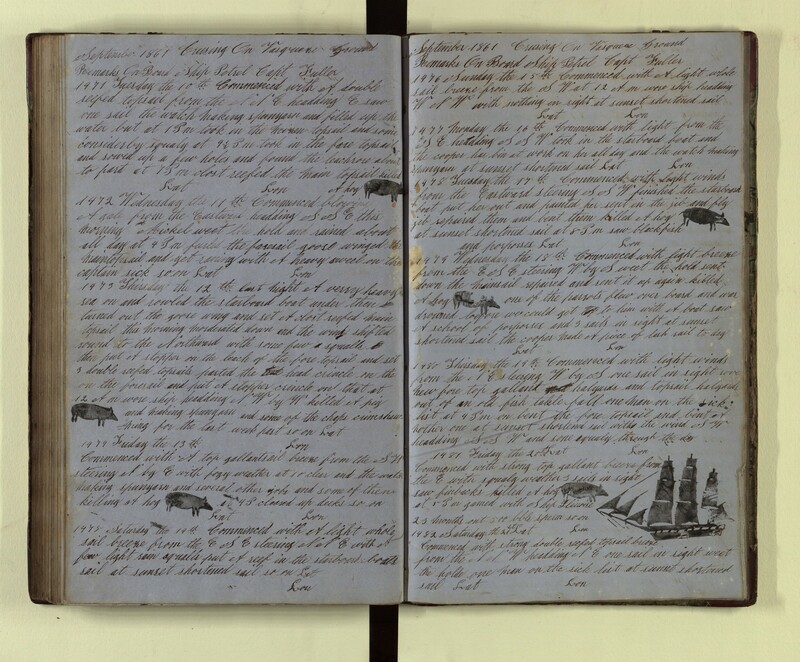 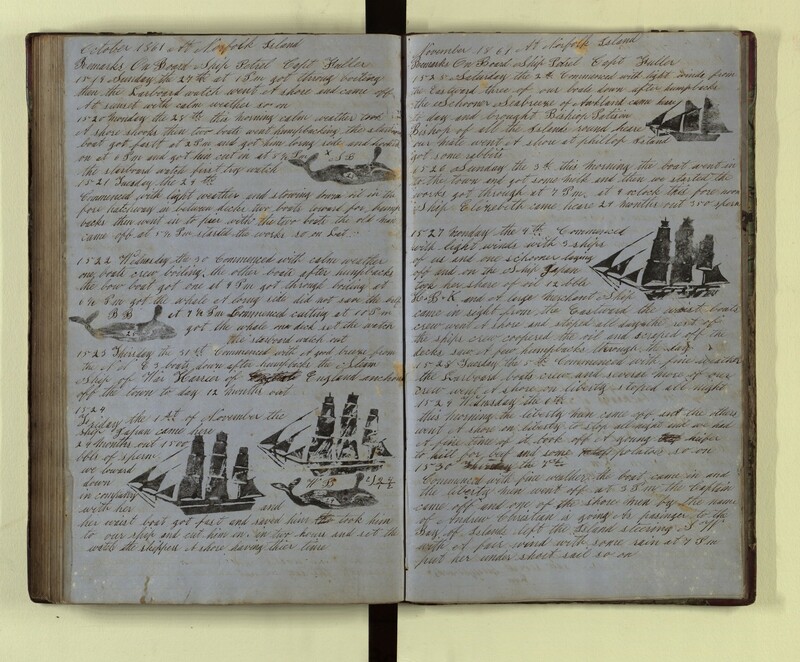 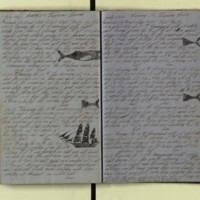 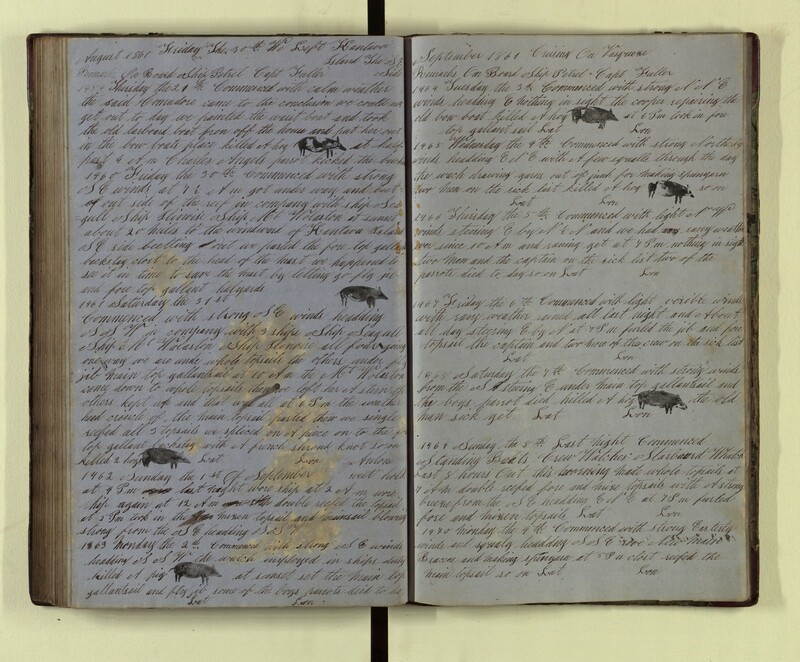 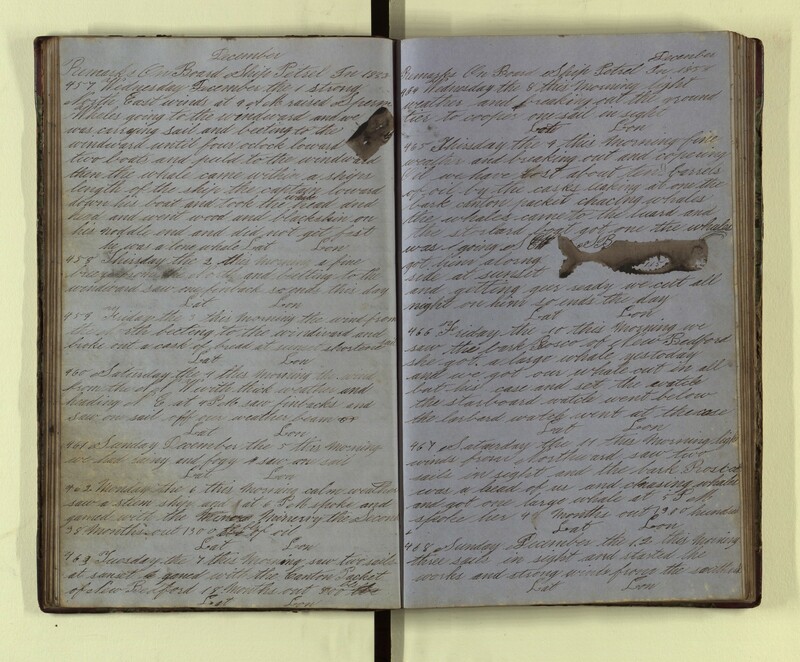 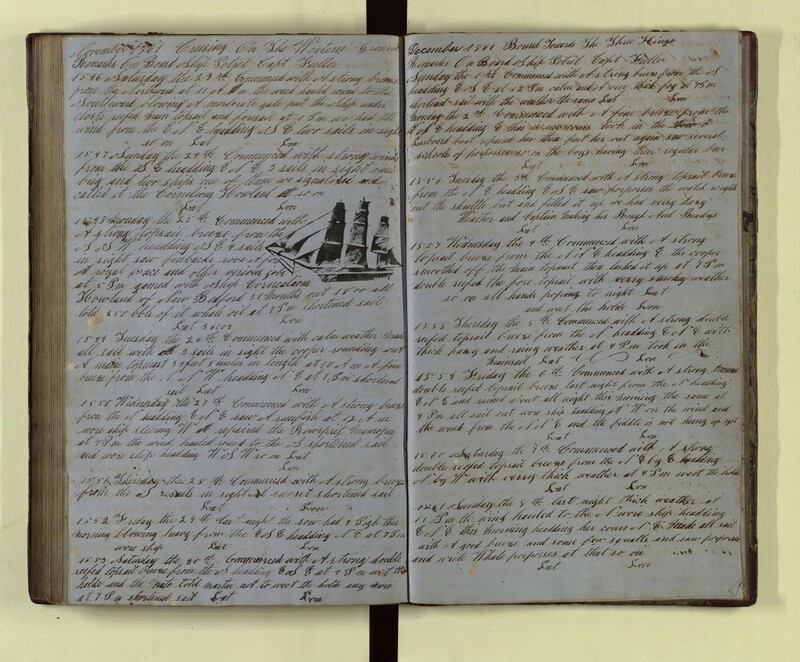 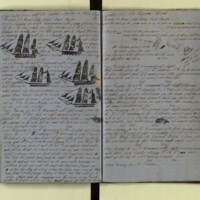 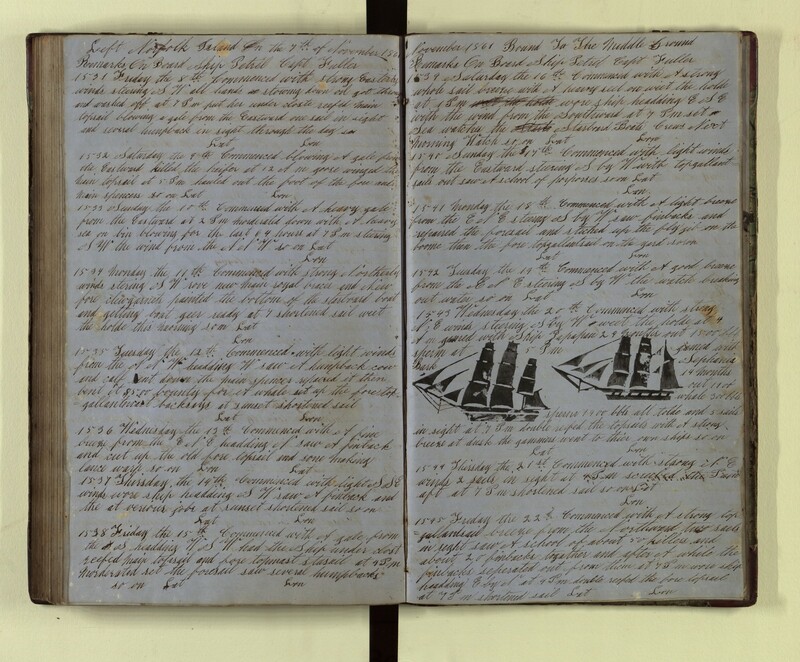 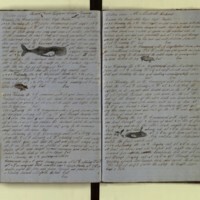 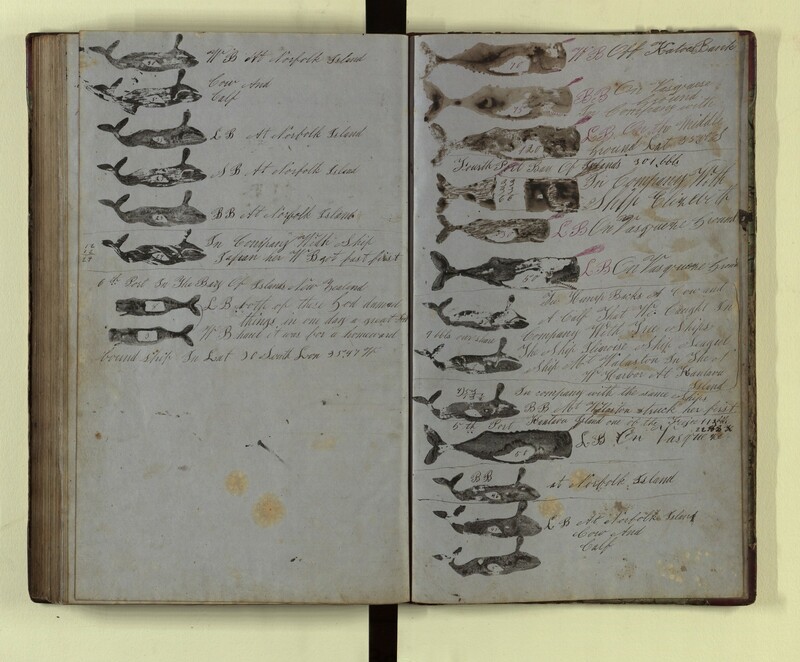 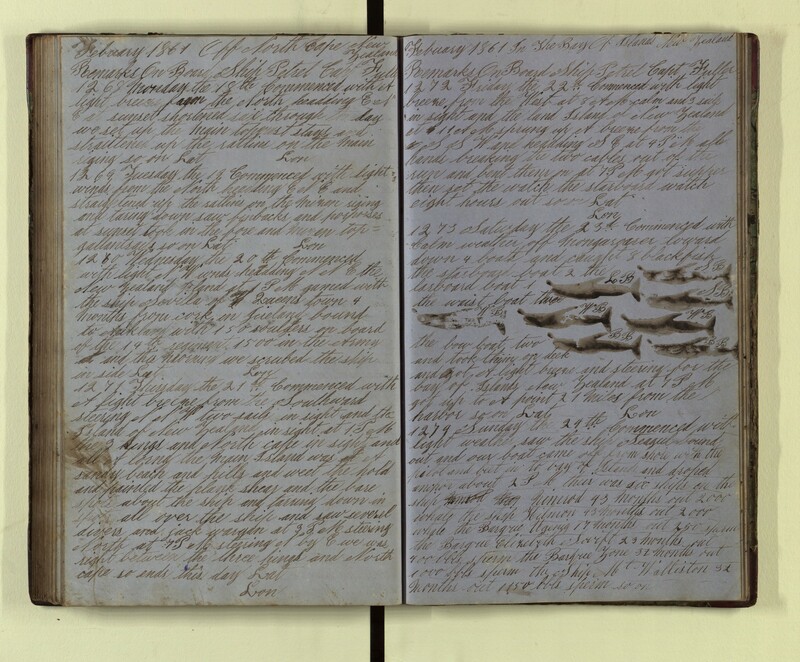 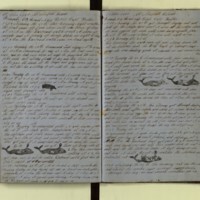 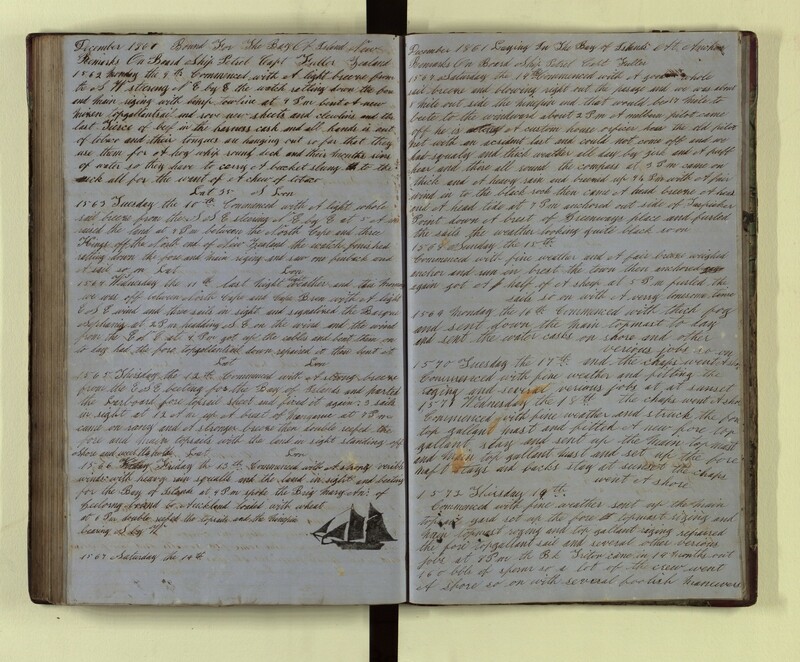 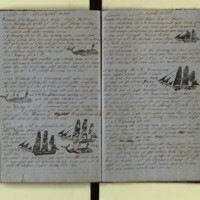 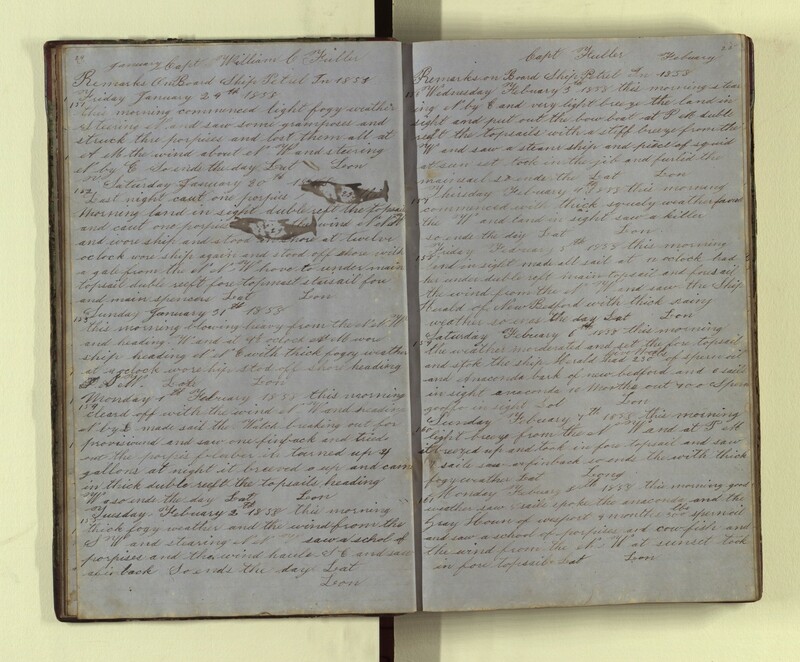 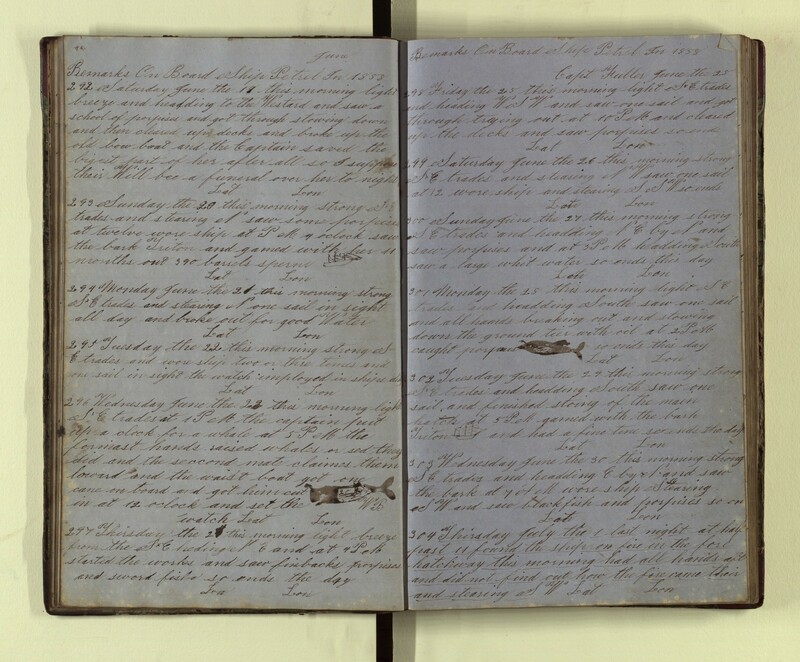 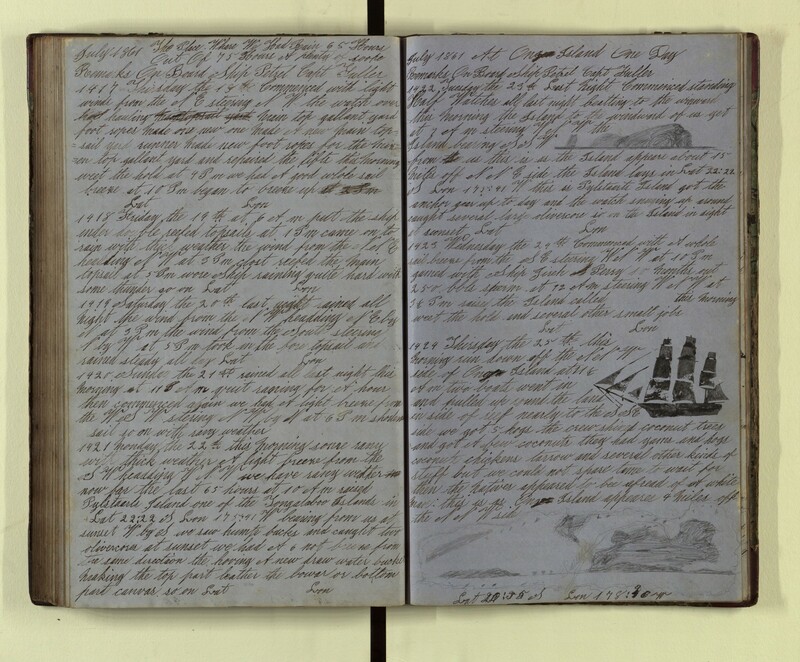 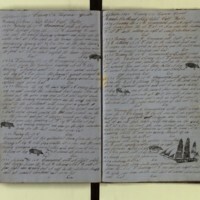 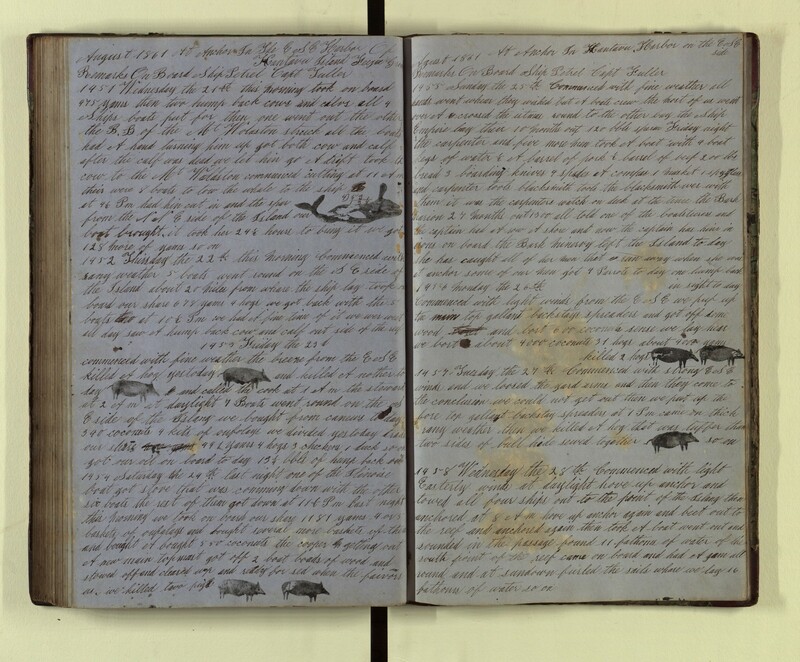 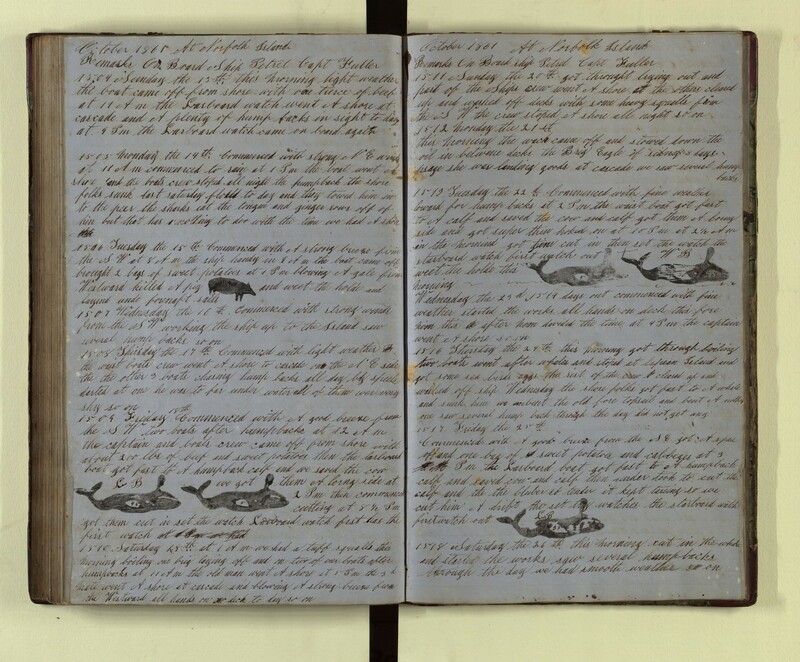 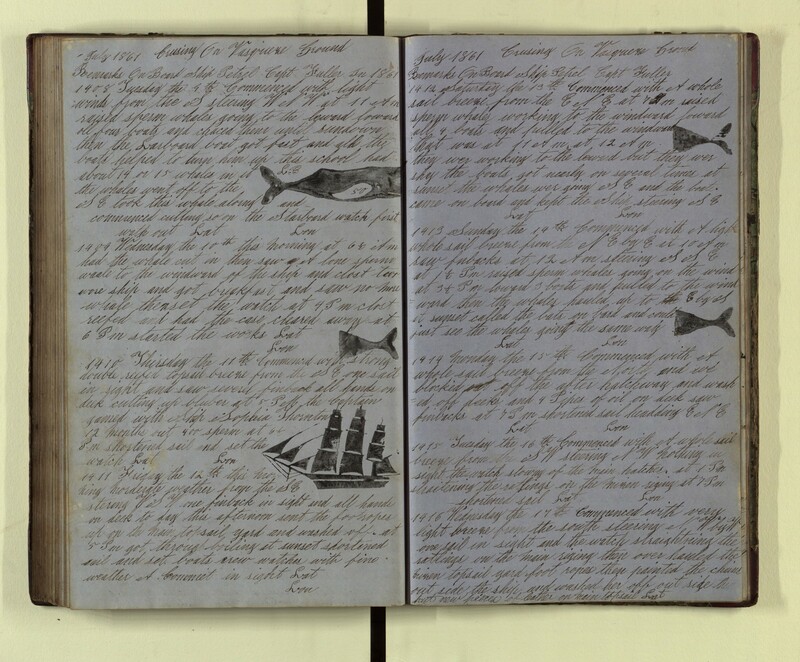 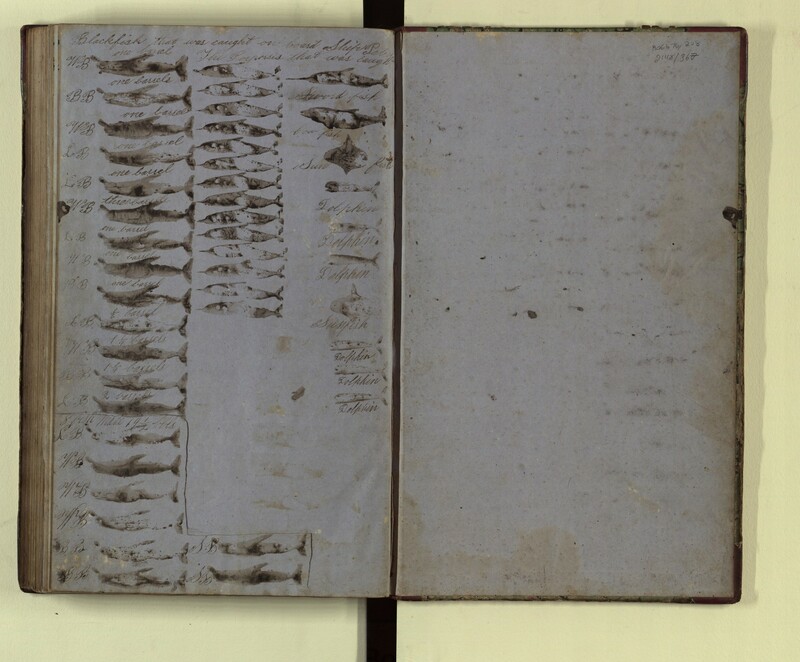 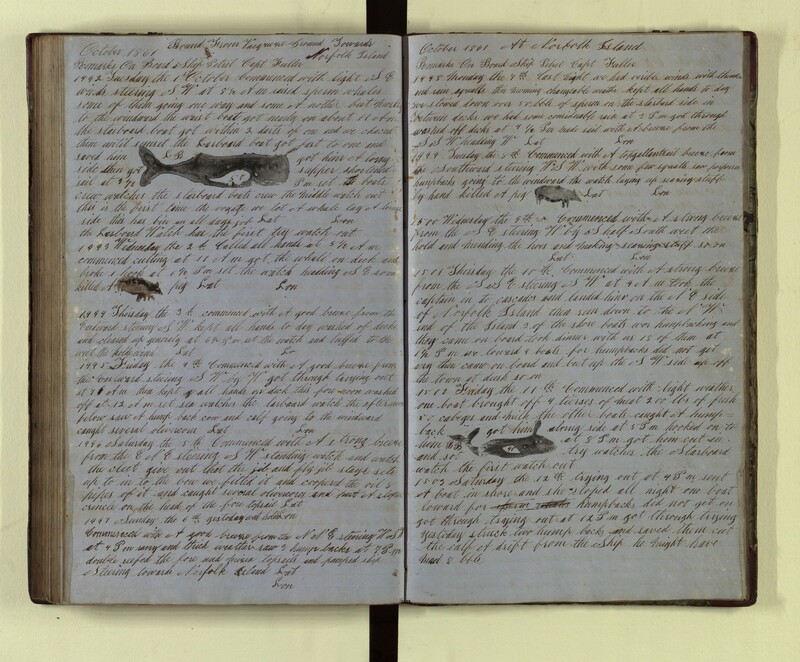 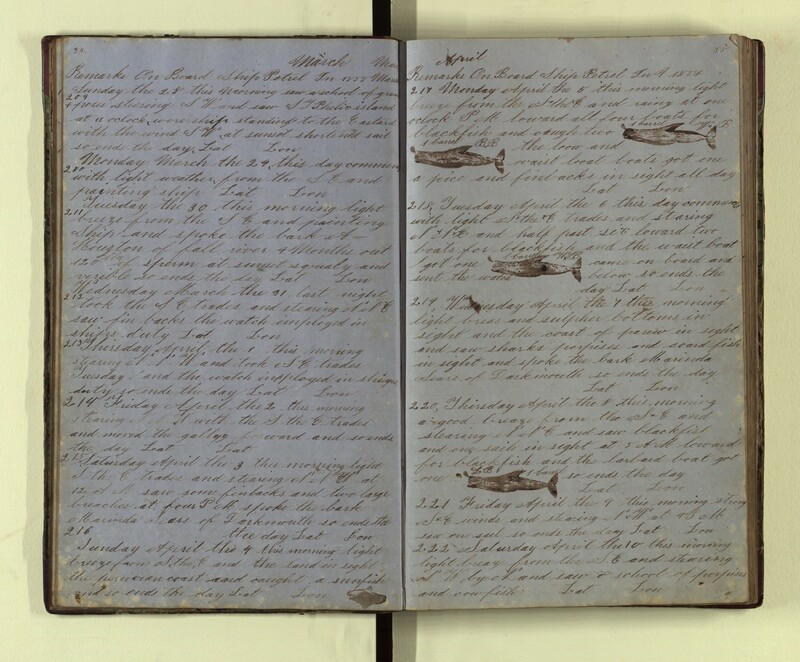 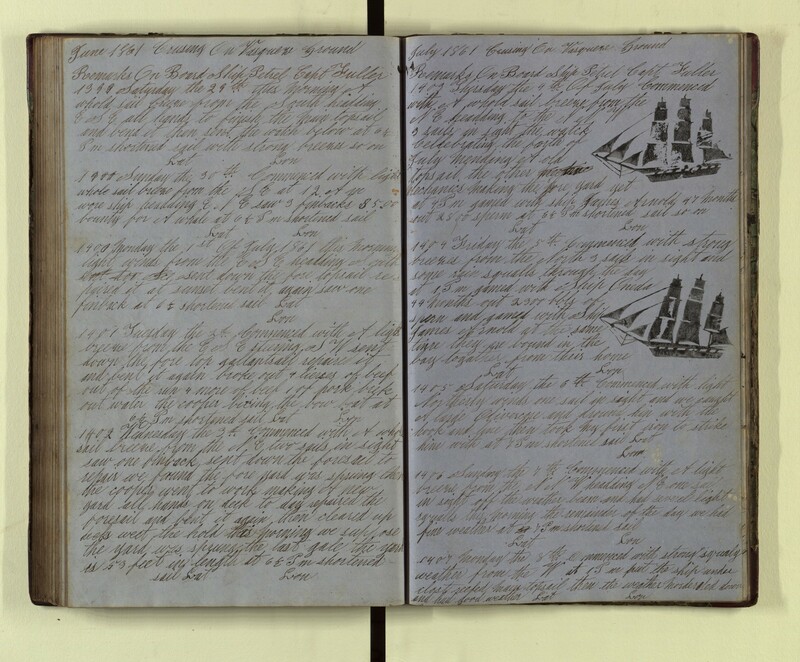 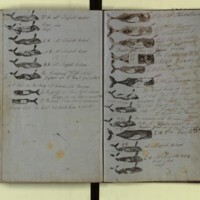 Kept by a particularly literate and colorful Petty Officer named Alden W. Tripp, the log contains illustrations as well as stamps of whales, dolphins, ships, pigs, turkeys, and angelfish. 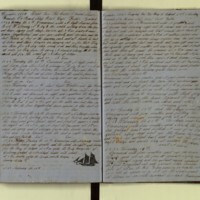 After an unpleasant encounter with the crew of another ship, Tripp commented “there was but one man on board, and that was the captain’s wife.” On liberty in New Zealand for New Year’s Eve, he recounts: “about 30 of us all told with tin kittles and fiddles and some other instruments of war too numerous to mention. 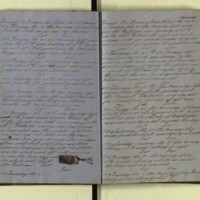 Went serenading the town until 3 AM in the morning. 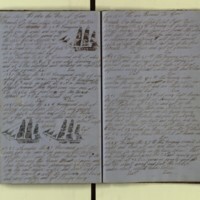 We had a jolly old time of it, and to top it off we danced until daylight.” He also describes frequent bartering for food with islanders, his brawl with the Third Mate, and the death of a crewmate. 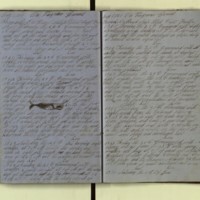 The Petrel was captained by William C. Fuller, set sail in 1857 and returned in 1862 to New Bedford three months after the conclusion of this journal with 1,409 barrels of sperm oil. 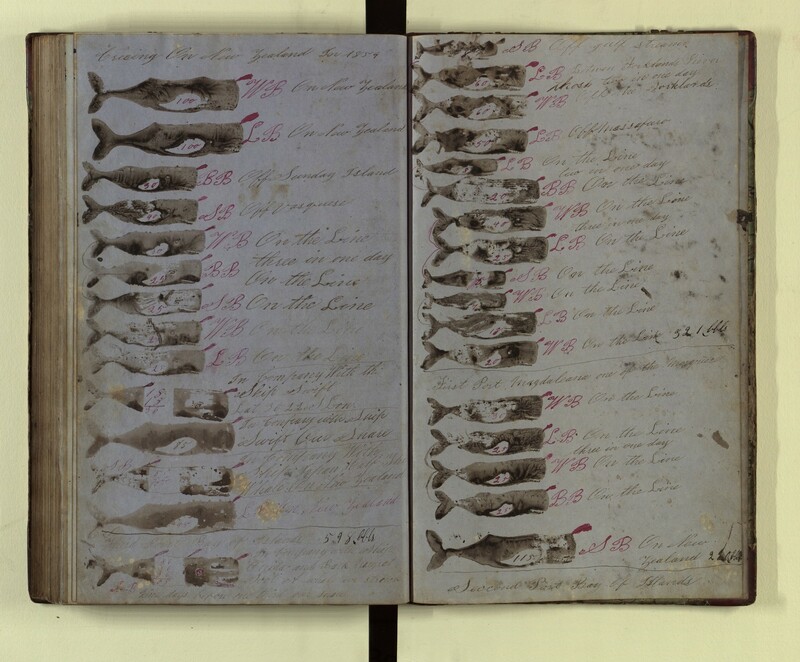 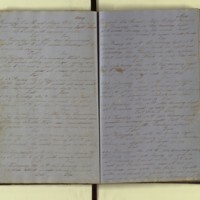 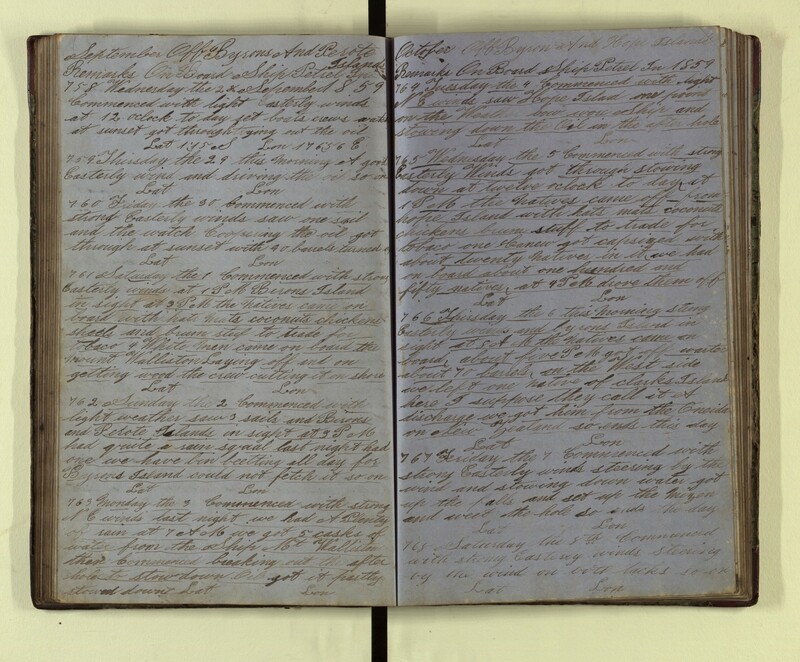 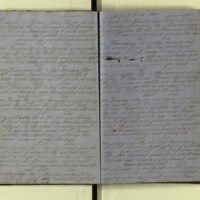 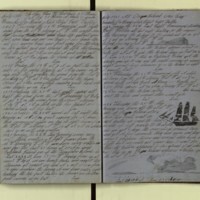 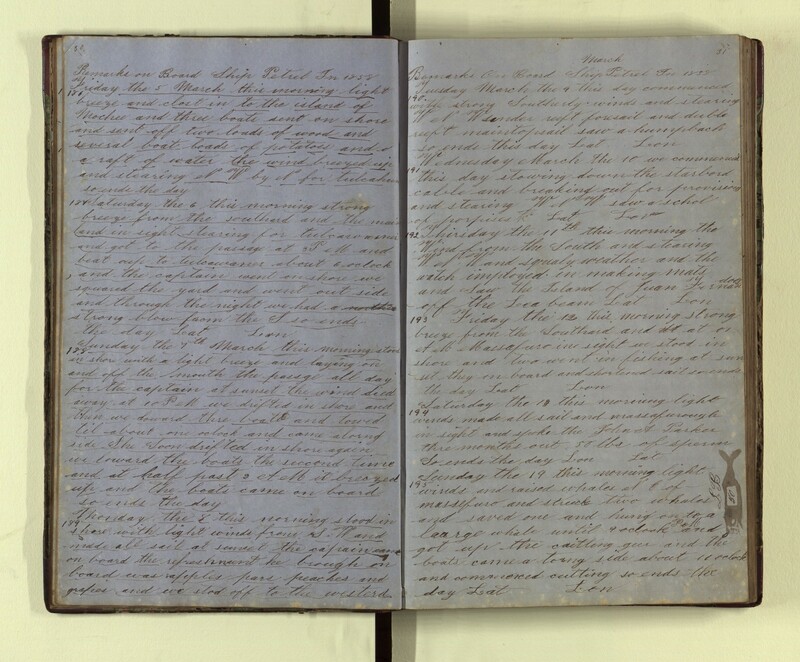 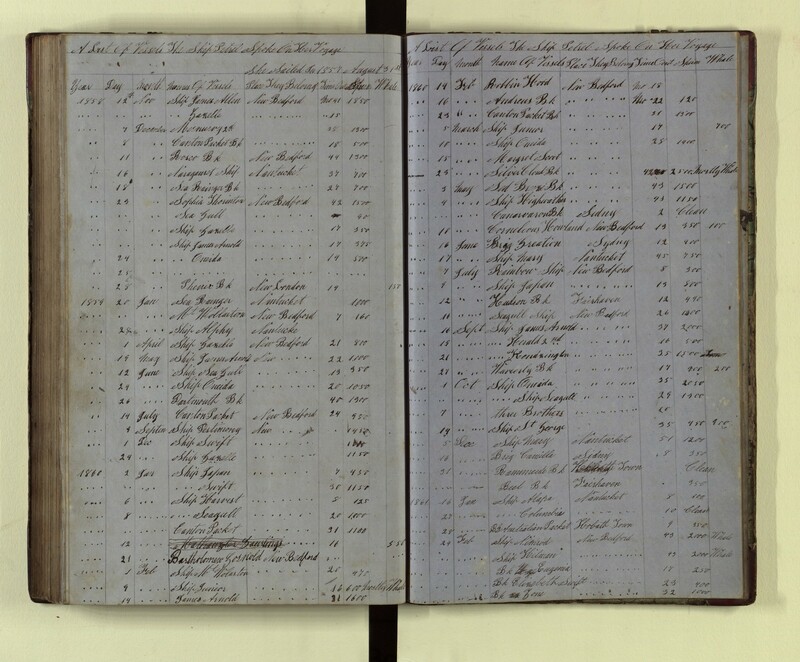 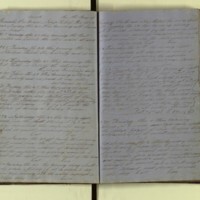 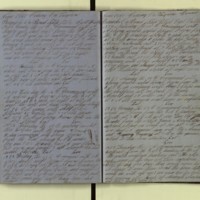 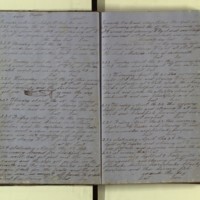 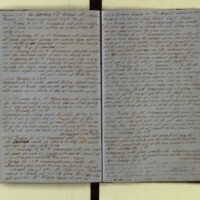 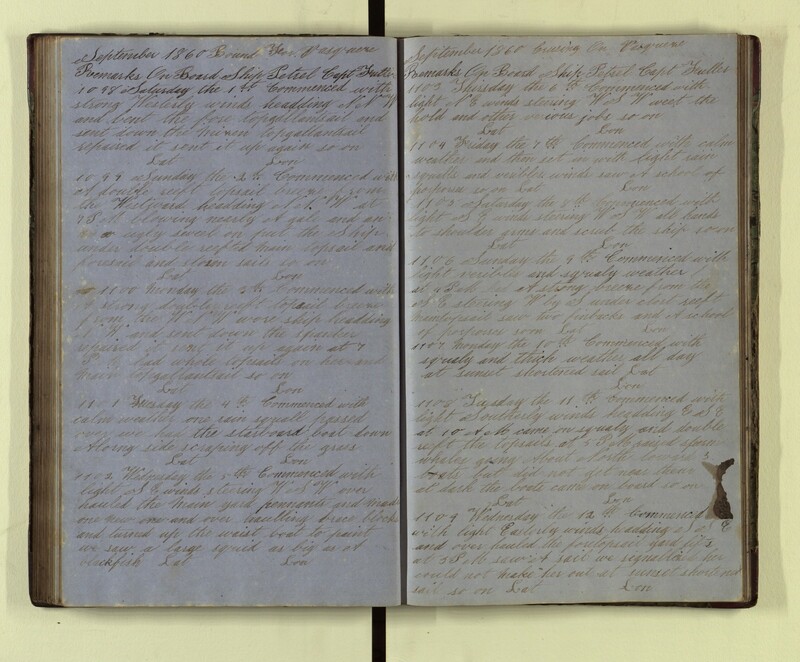 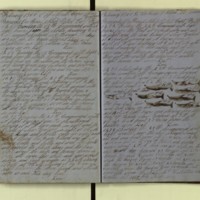 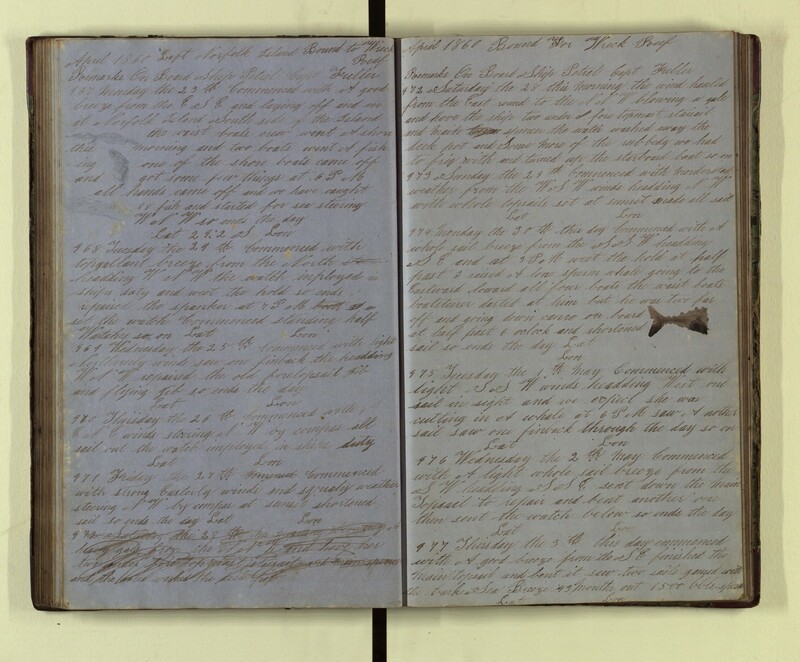 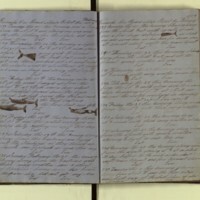 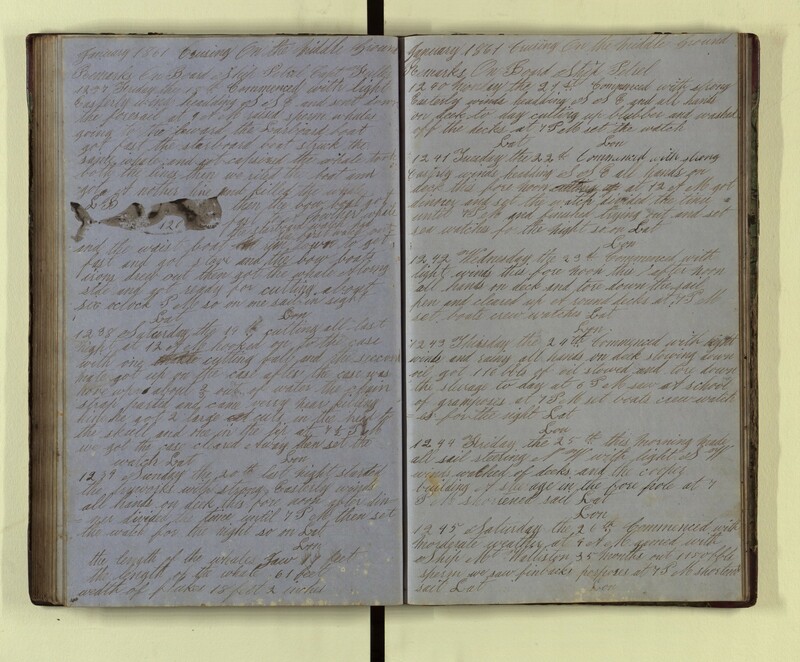 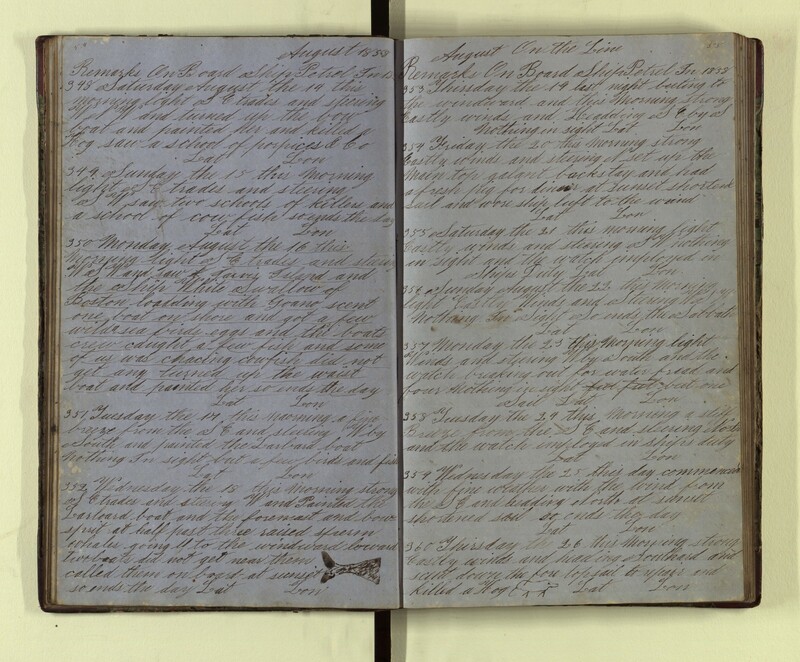 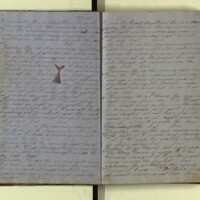 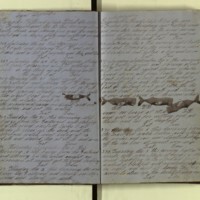 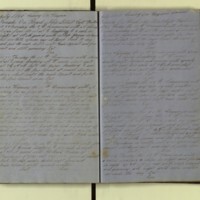 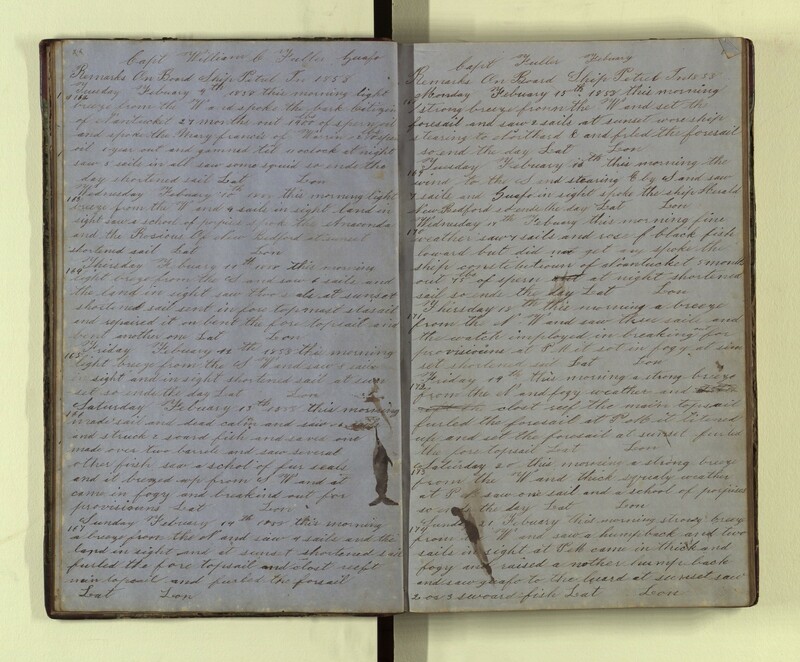 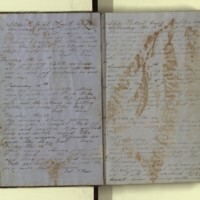 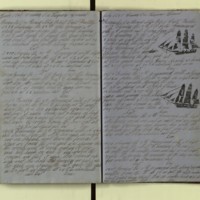 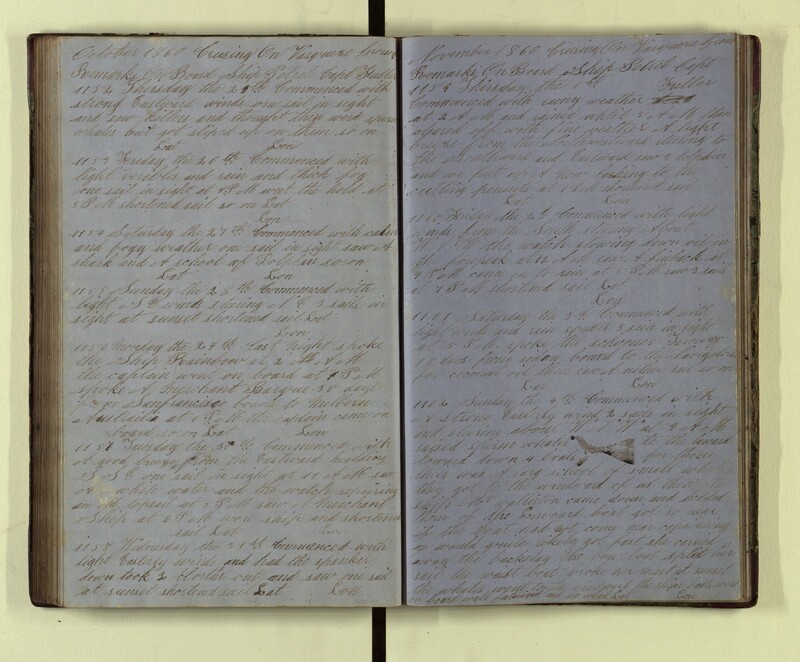 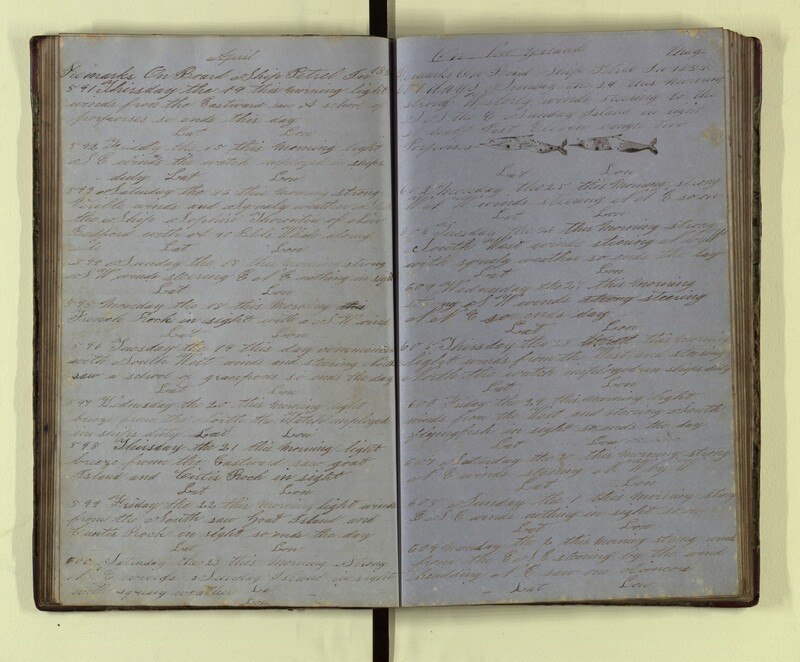 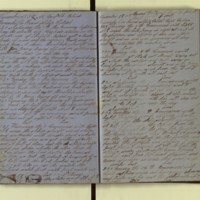 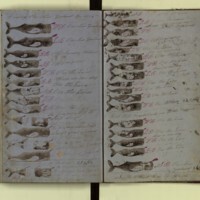 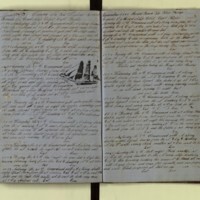 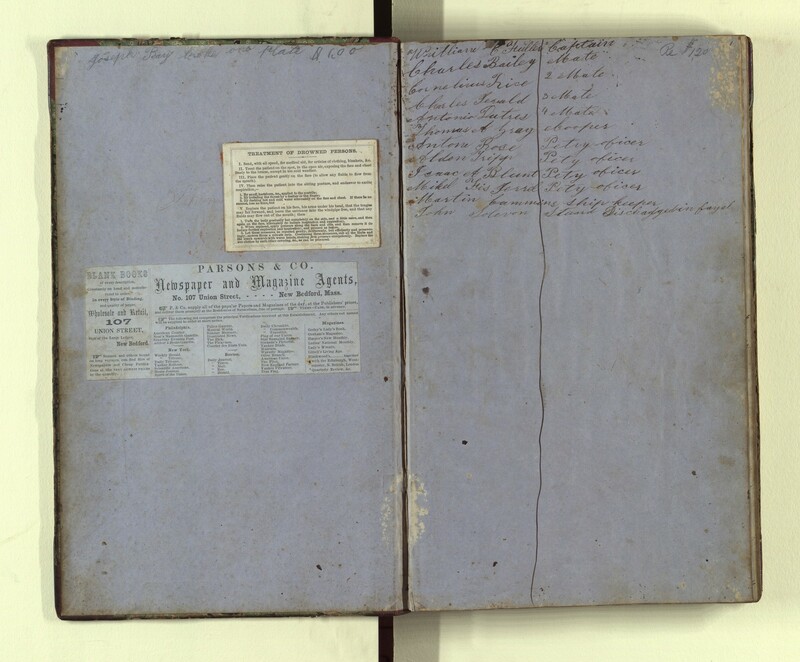 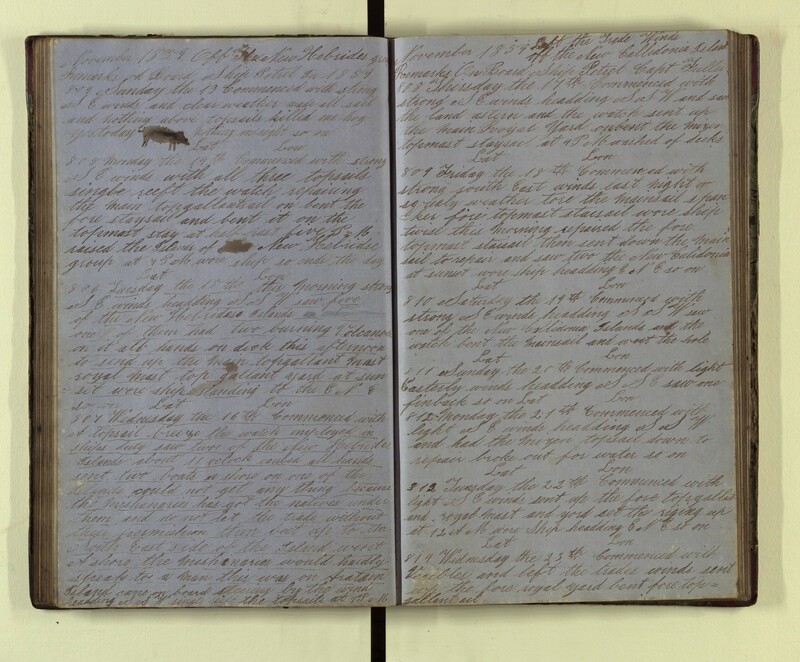 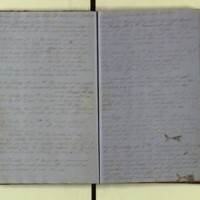 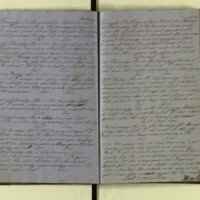 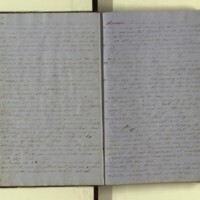 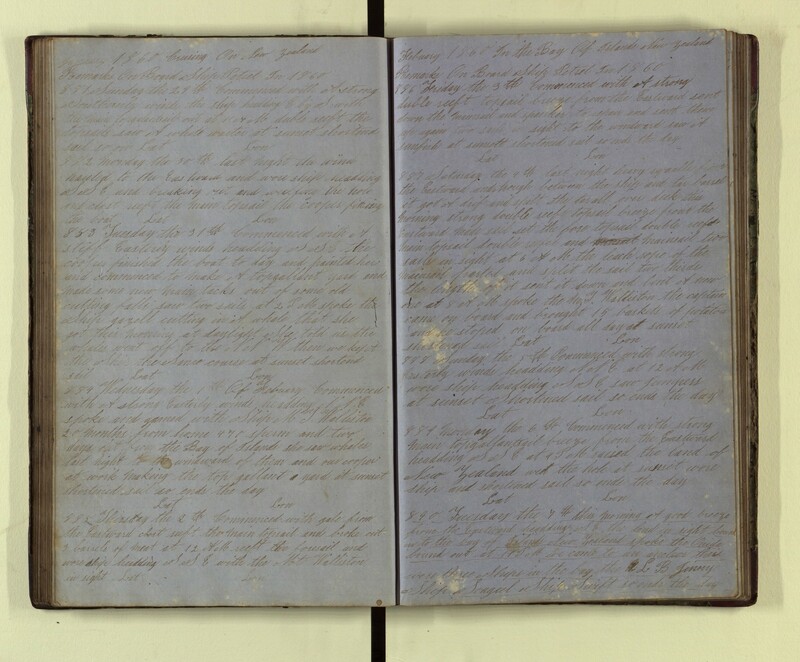 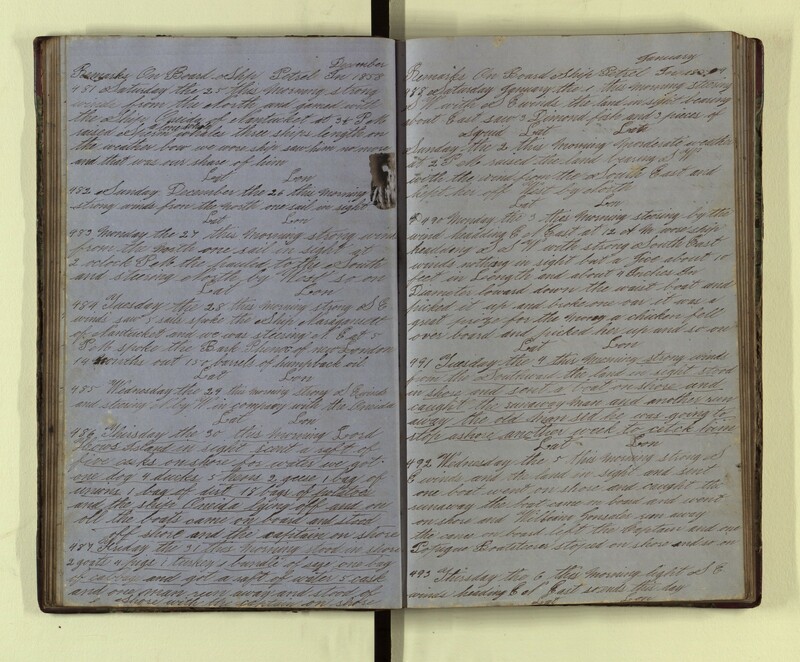 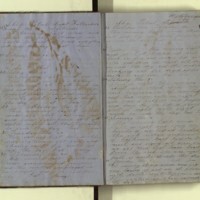 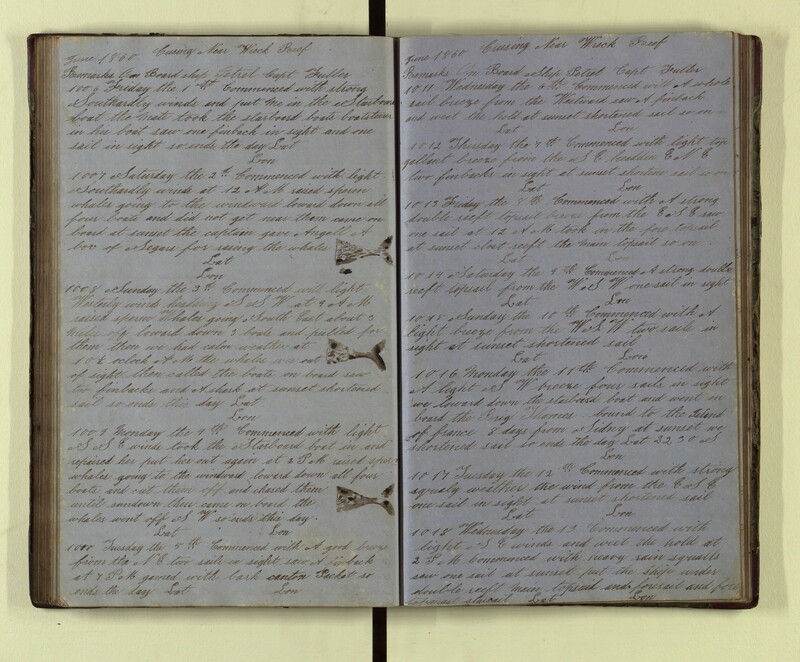 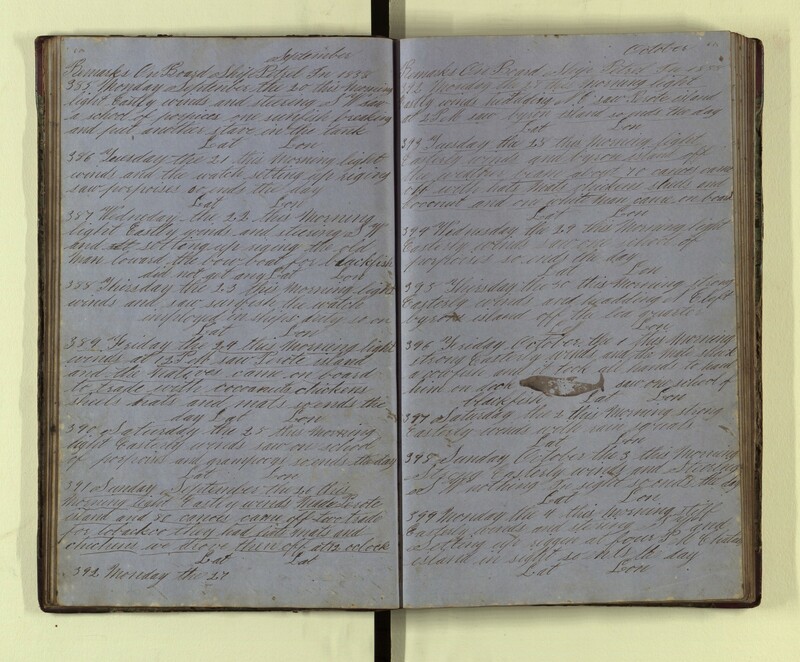 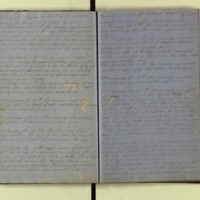 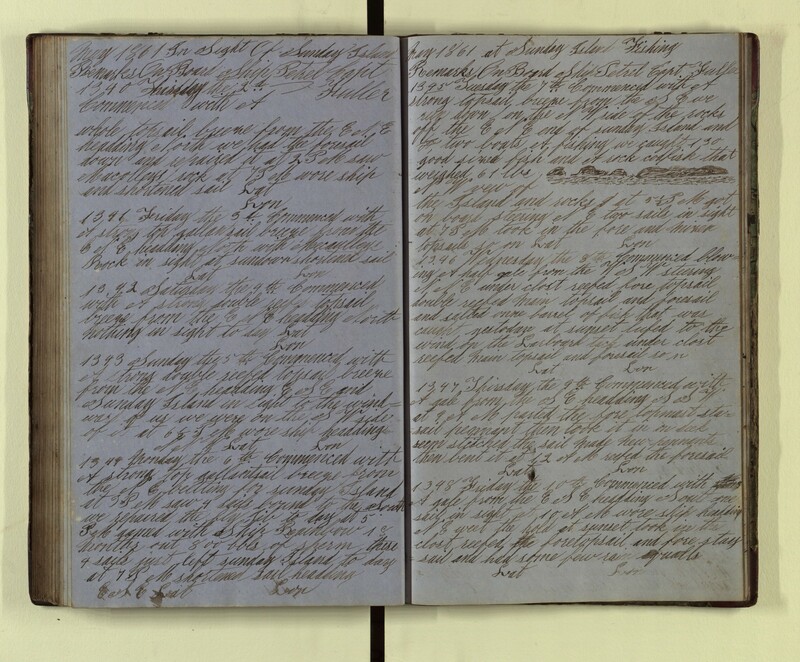 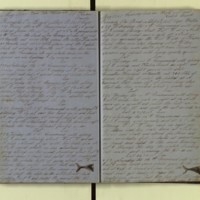 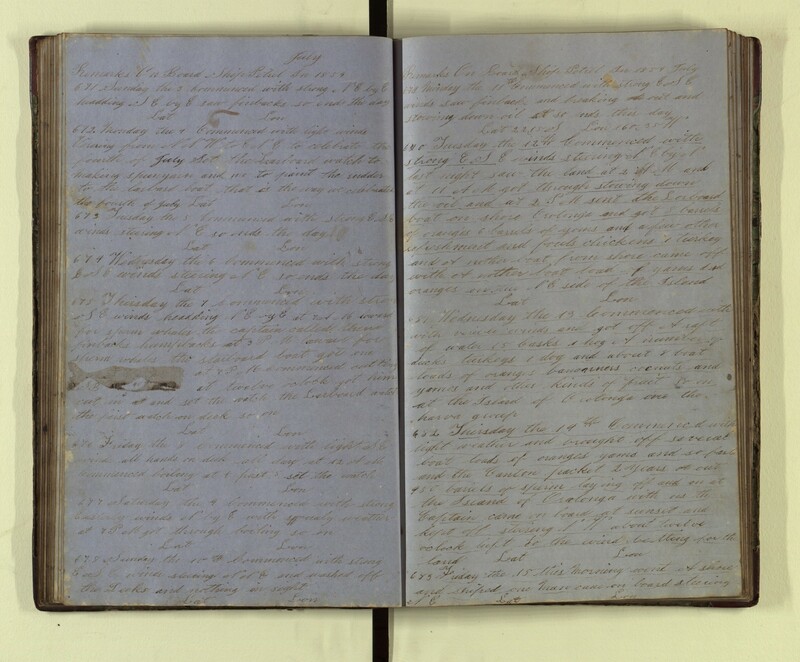 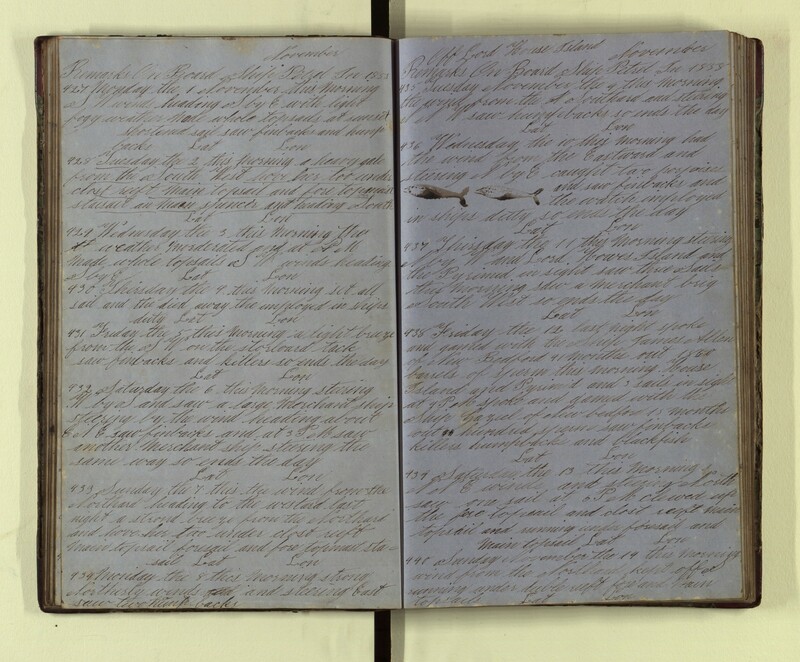 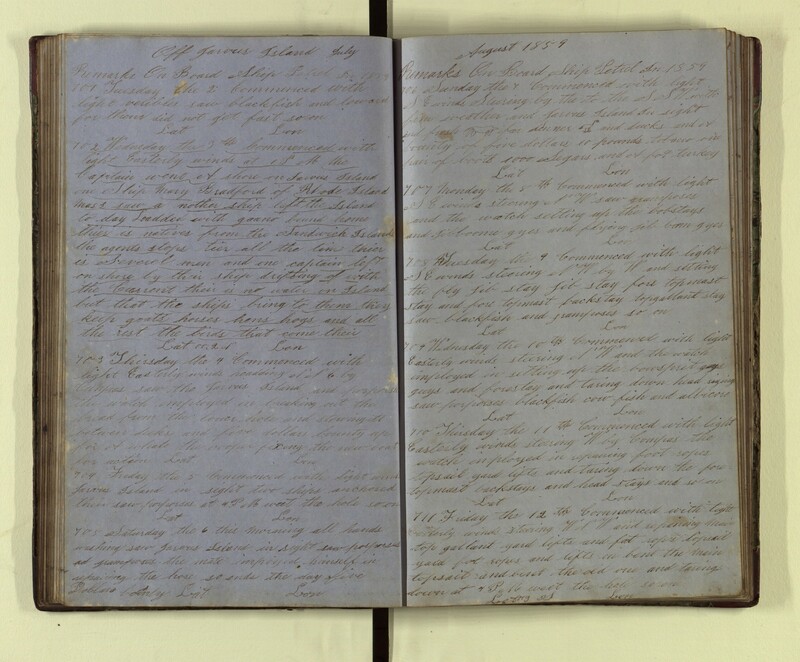 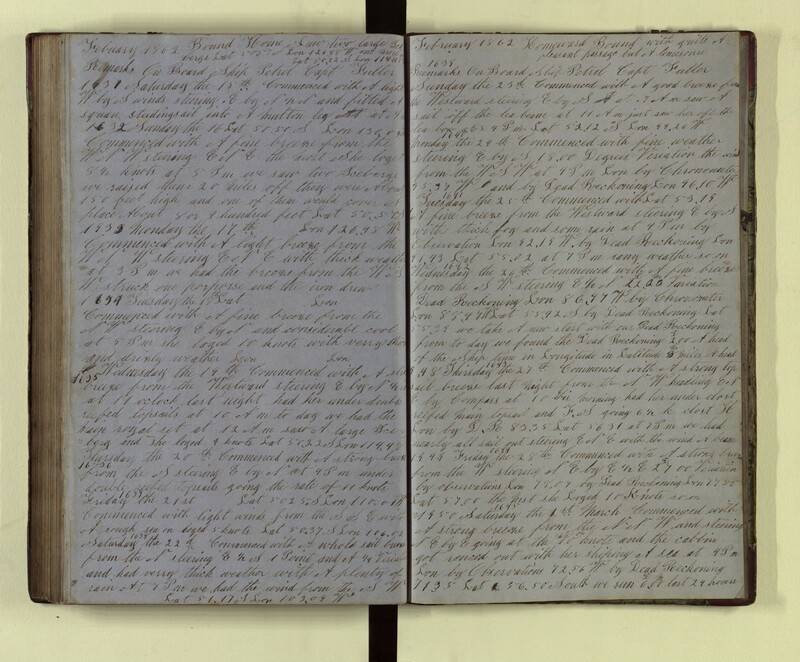 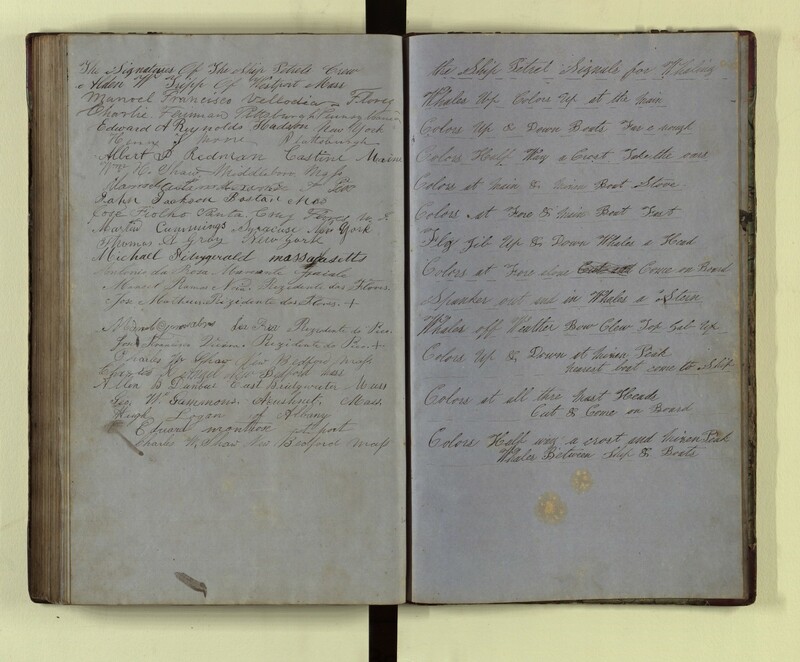 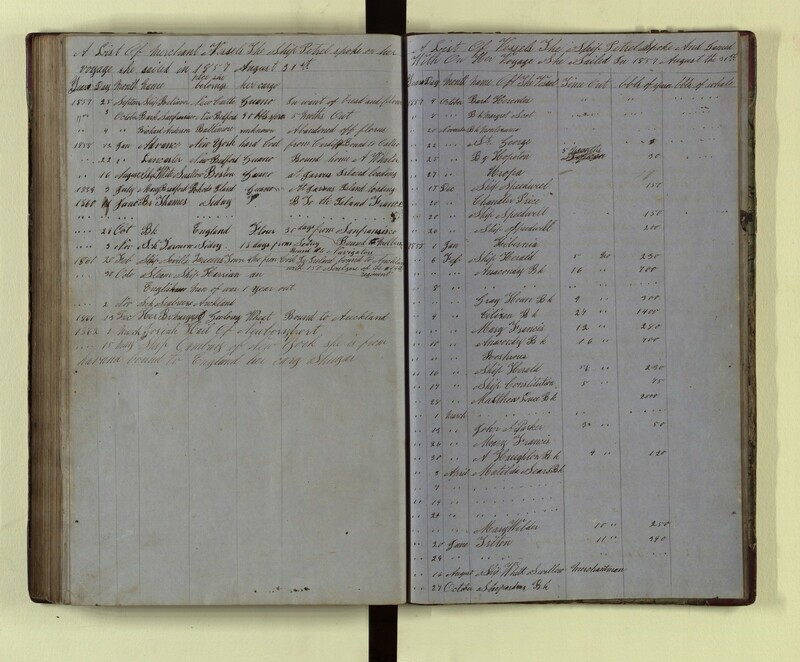 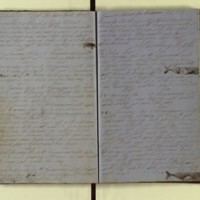 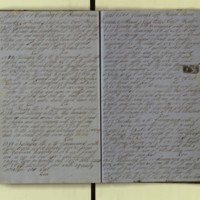 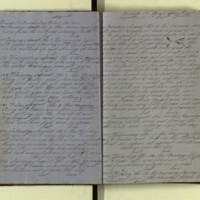 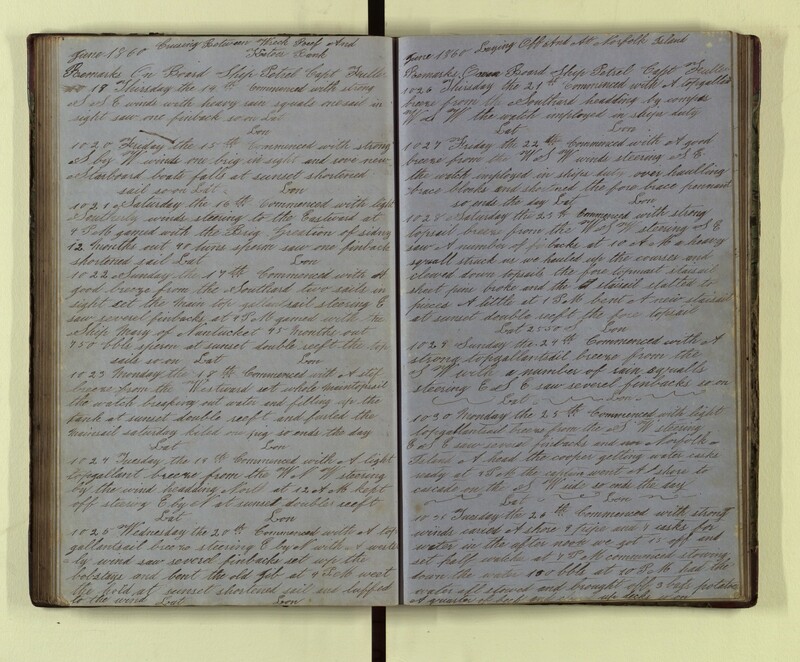 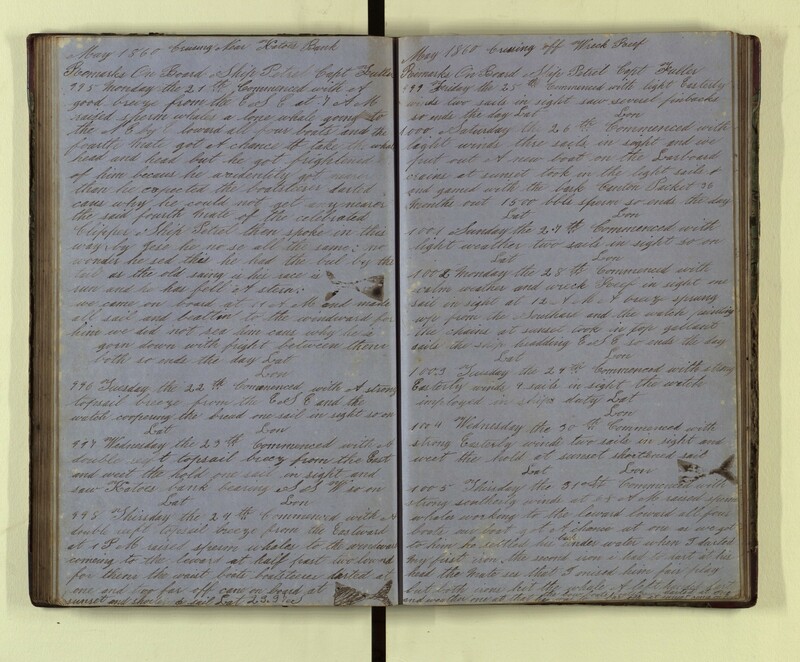 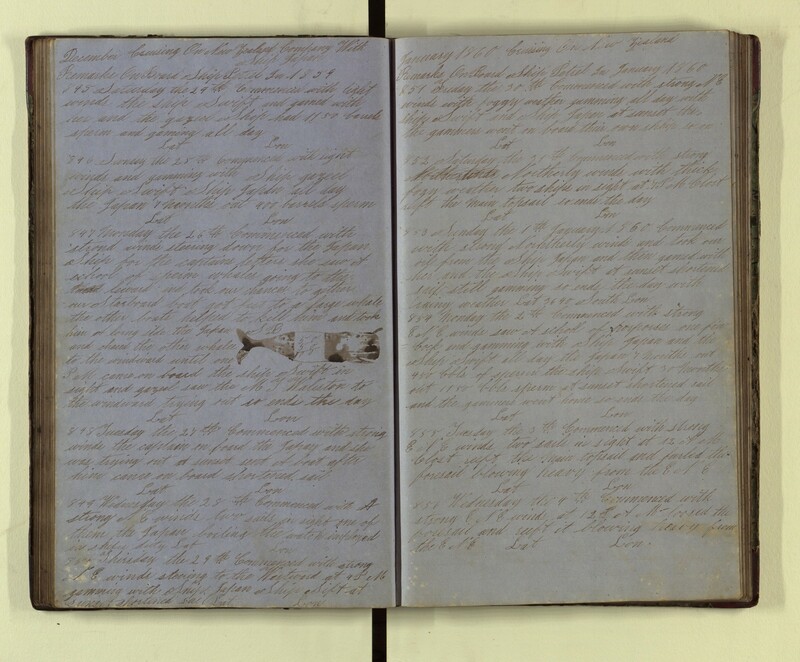 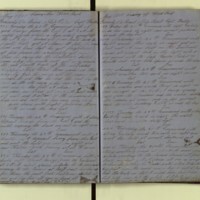 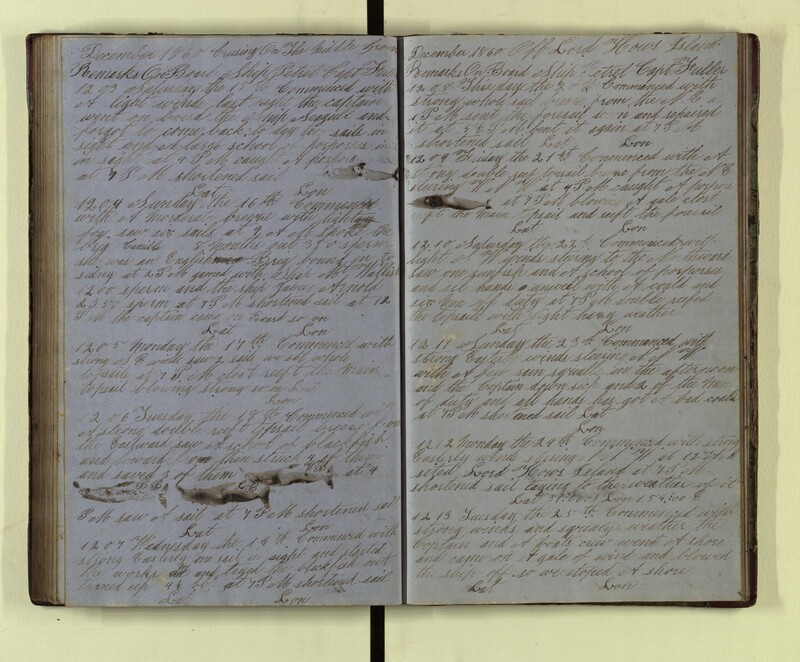 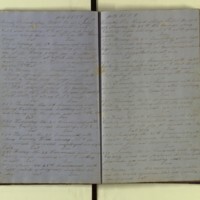 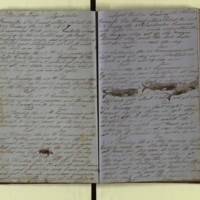 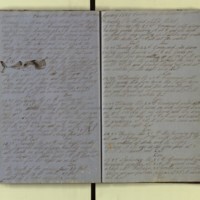 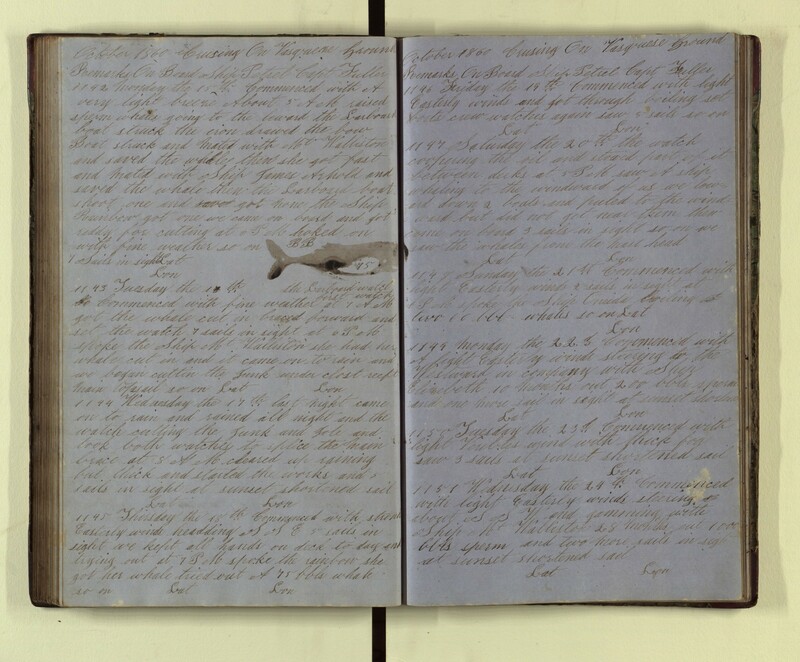 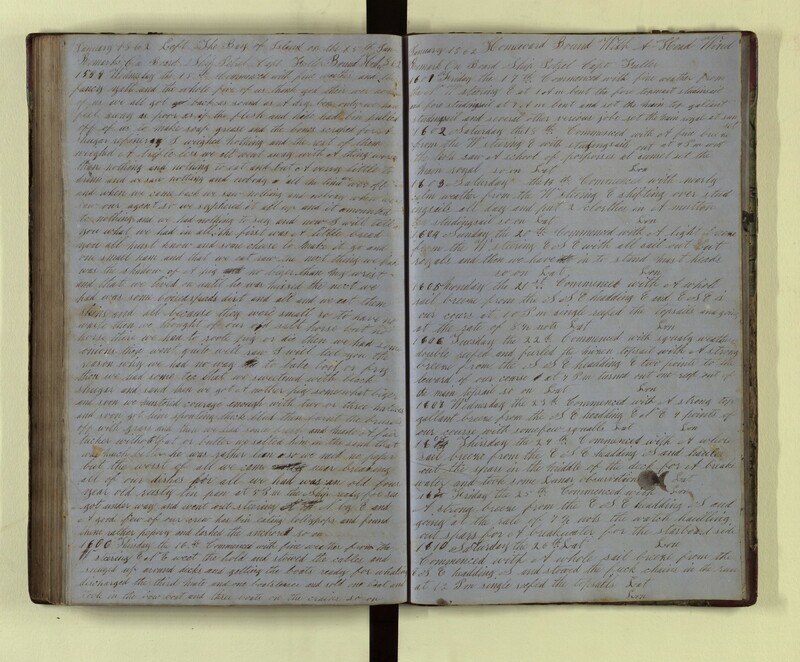 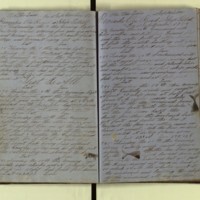 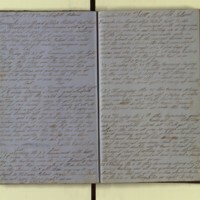 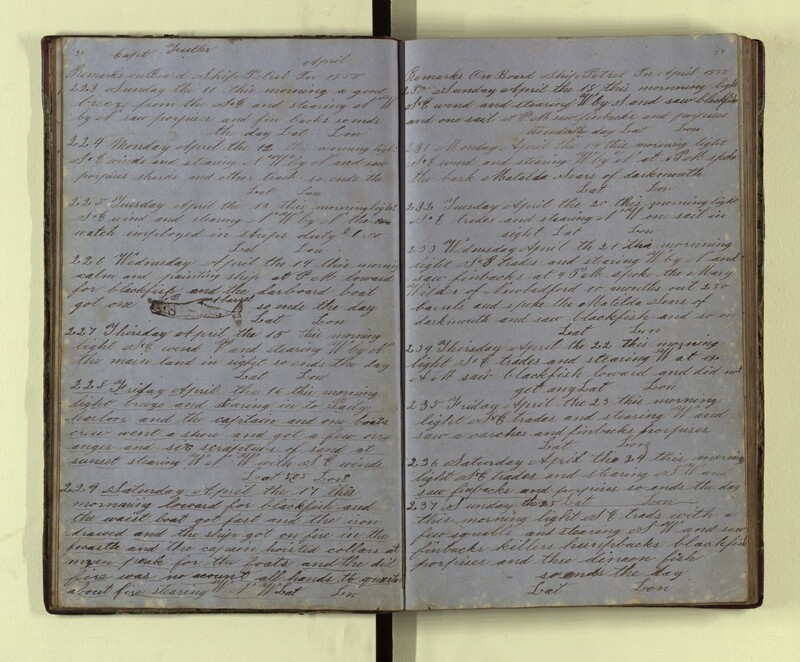 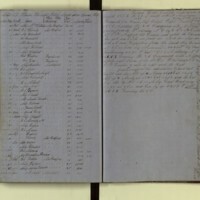 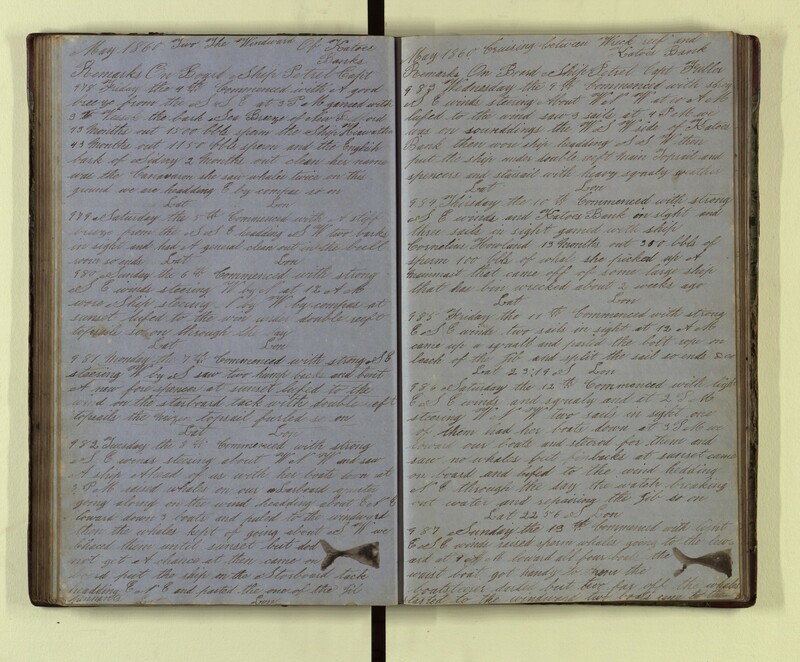 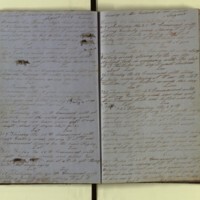 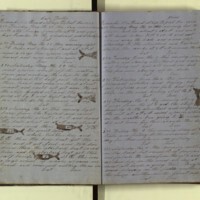 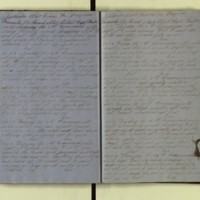 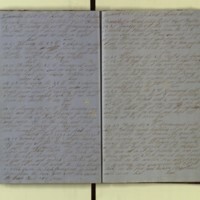 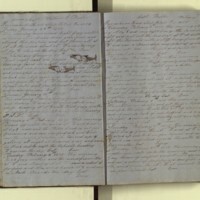 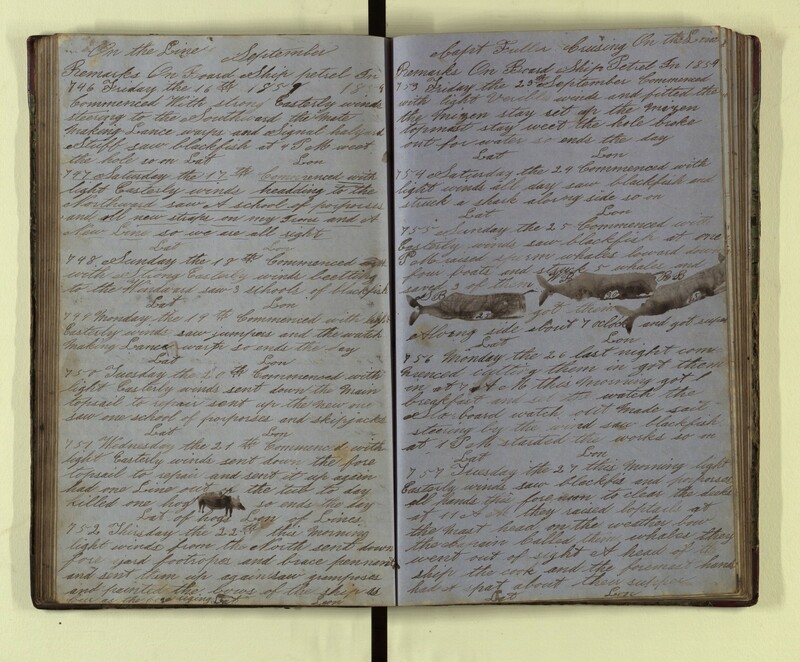 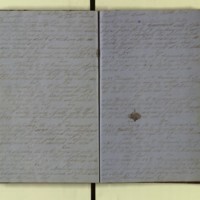 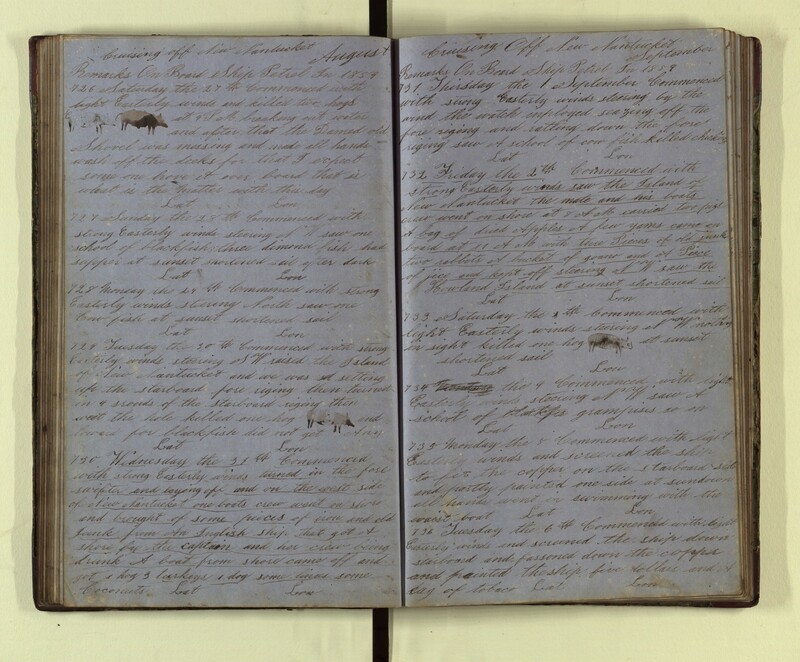 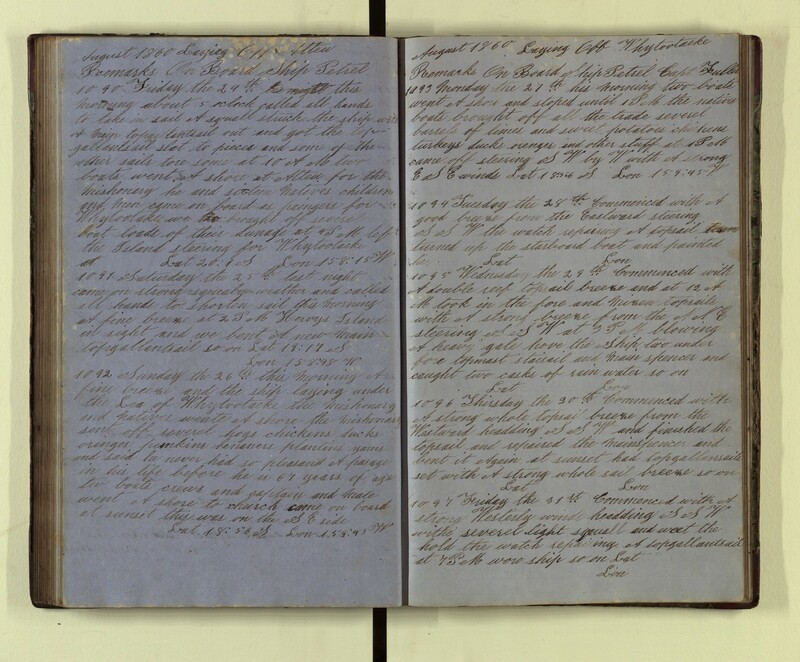 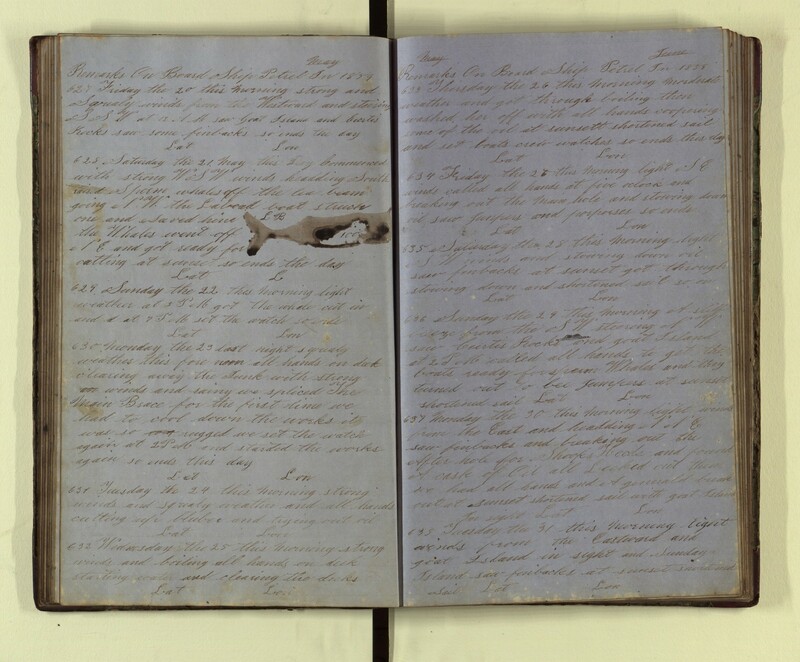 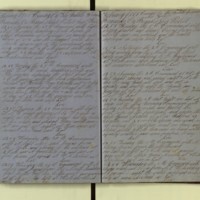 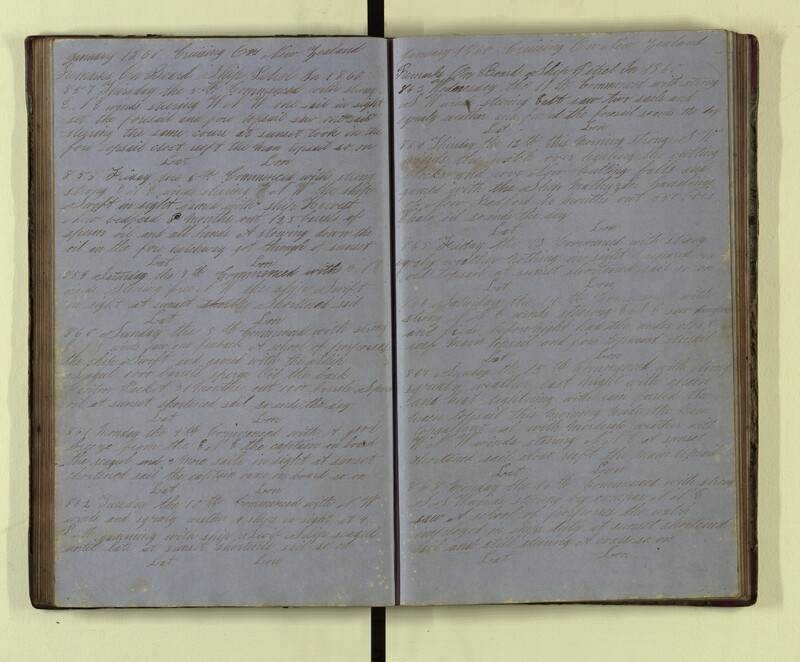 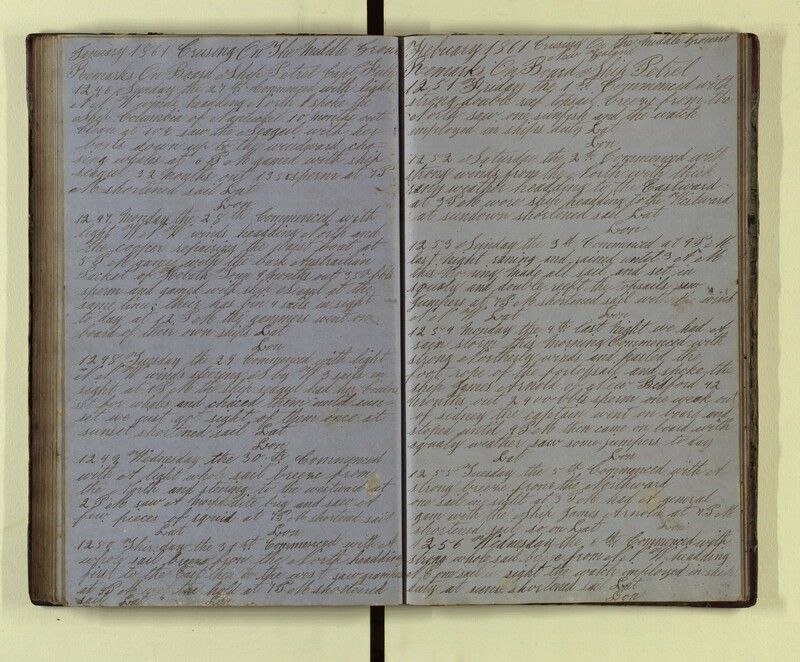 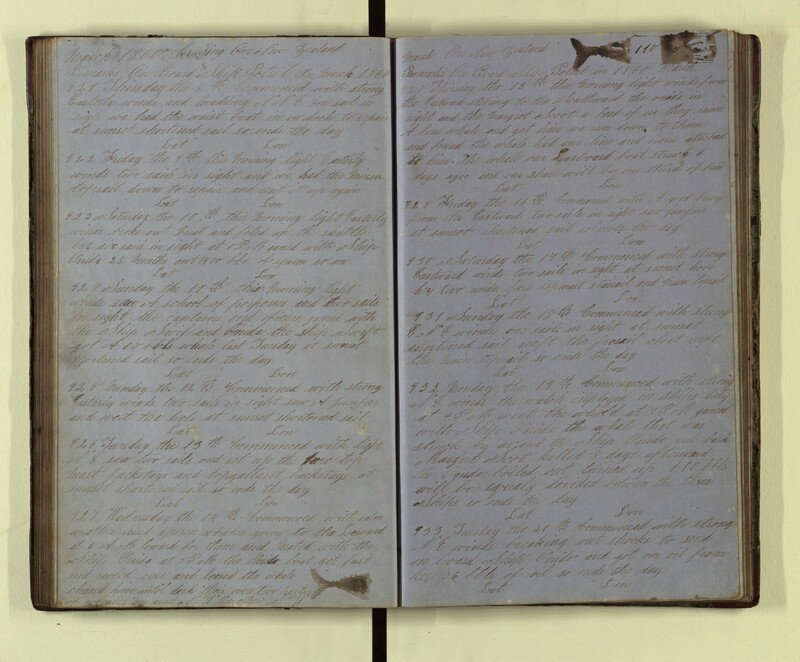 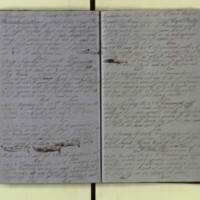 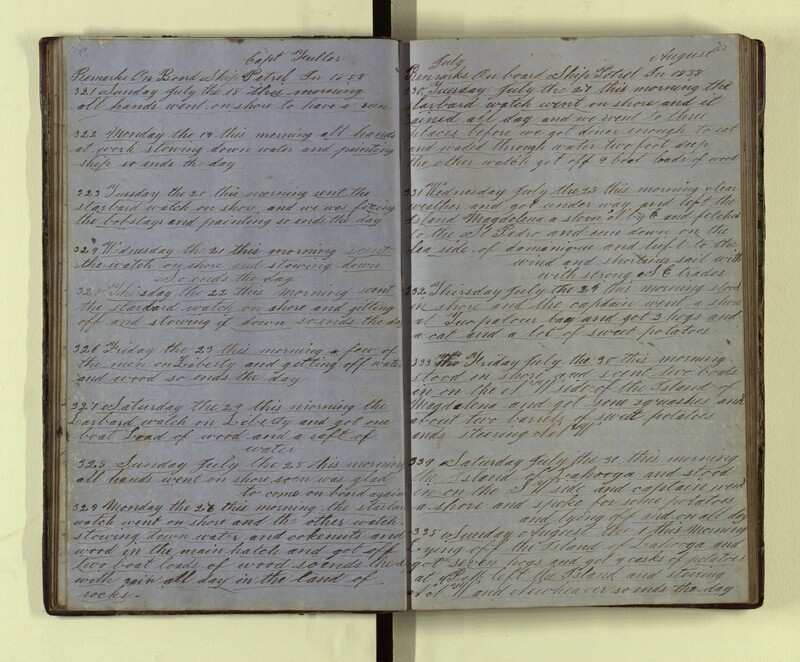 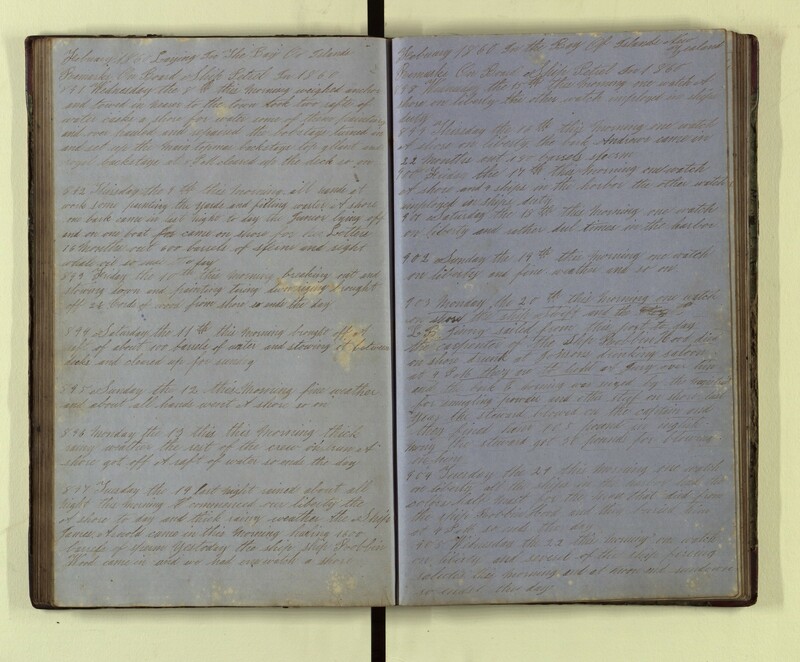 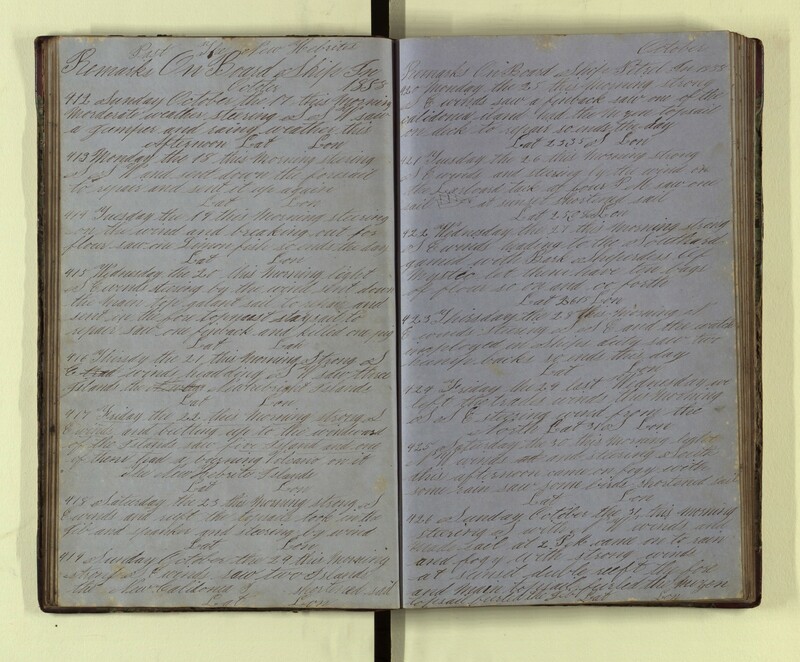 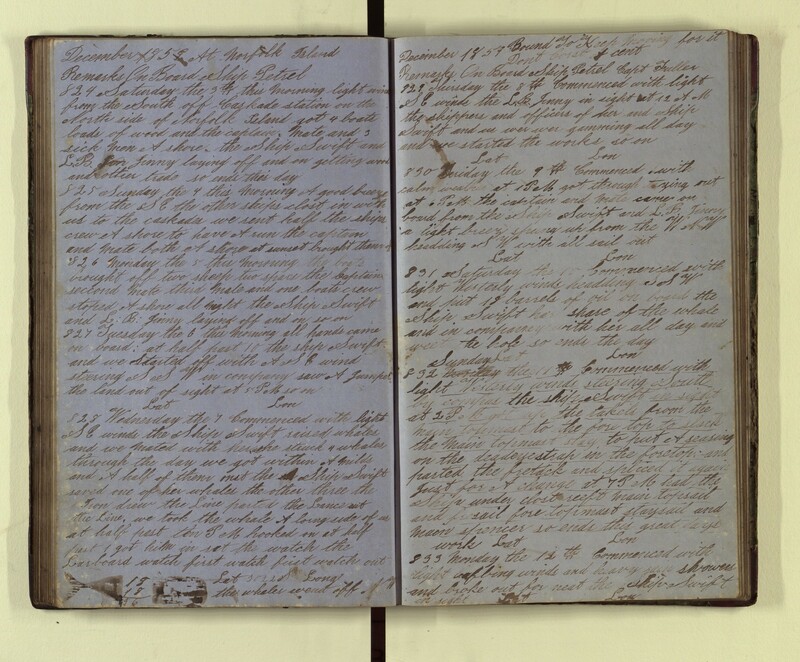 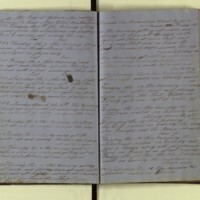 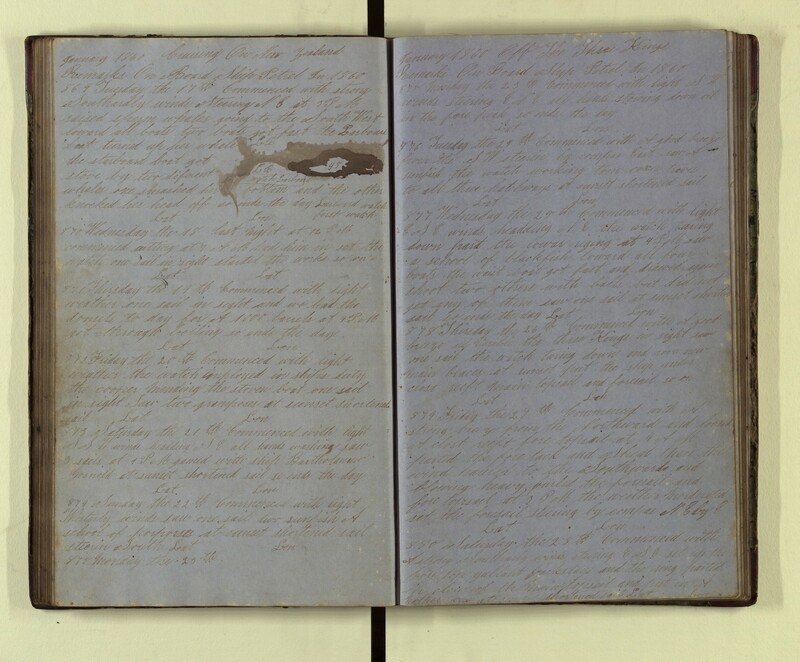 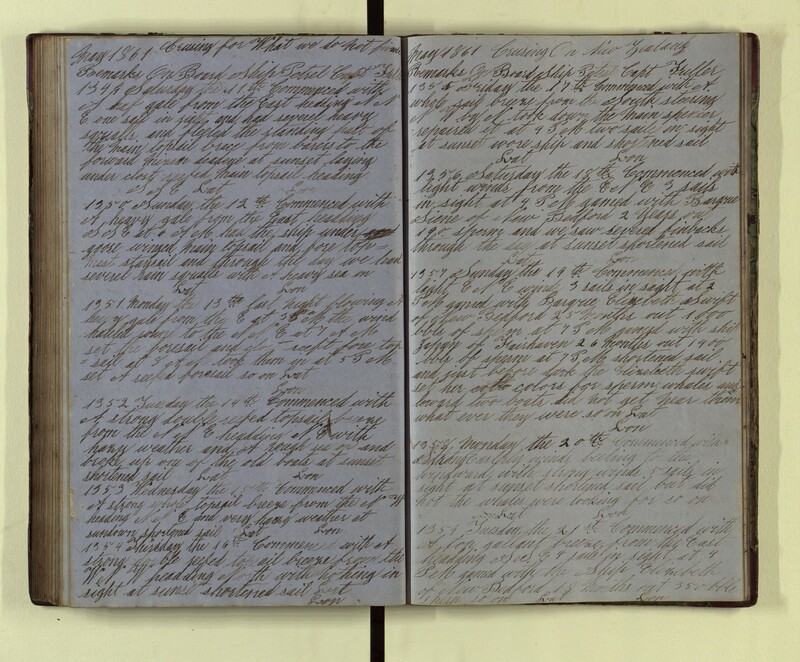 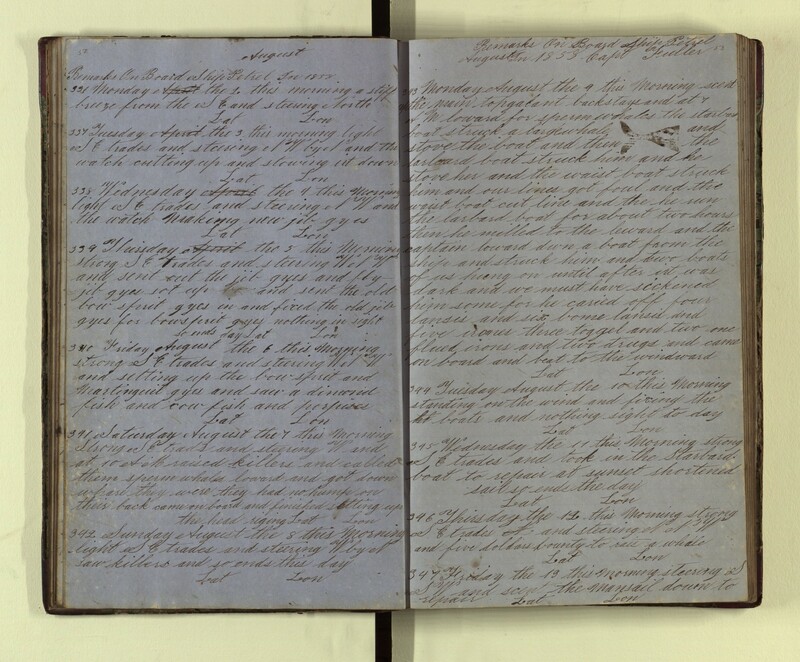 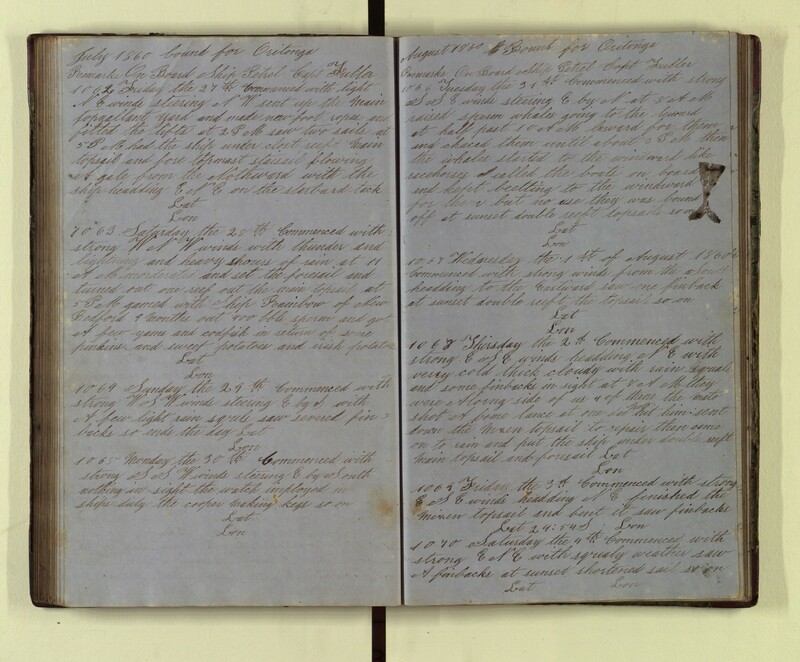 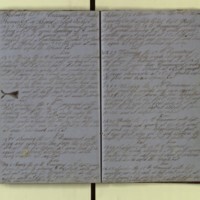 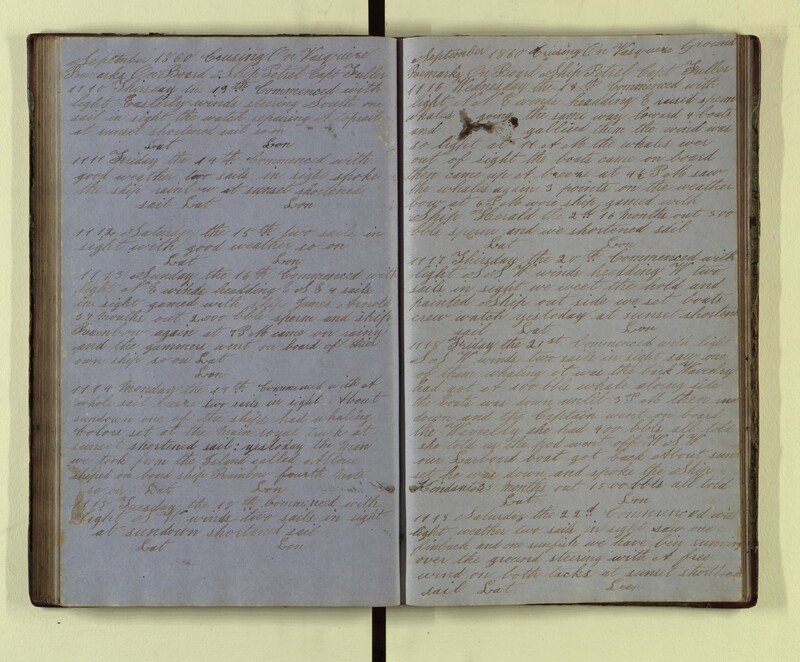 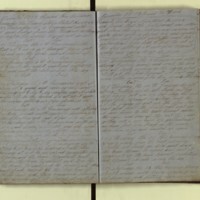 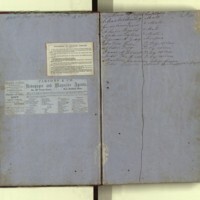 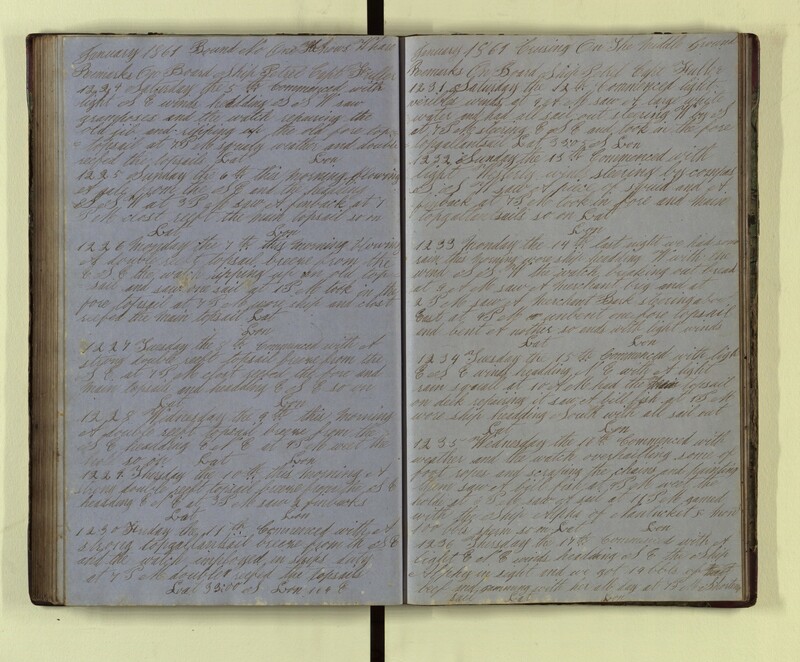 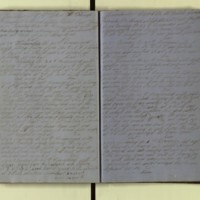 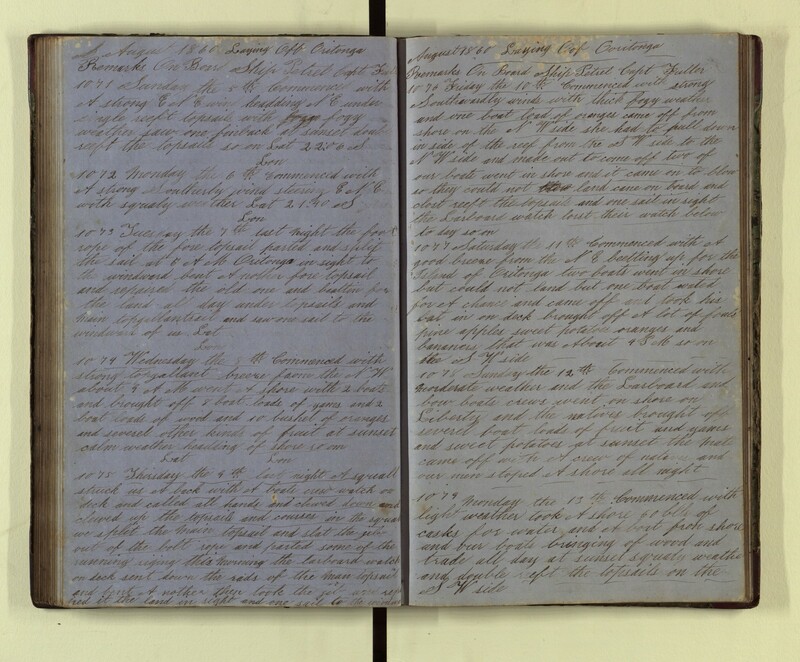 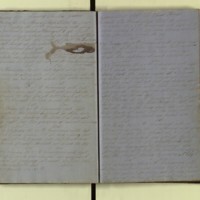 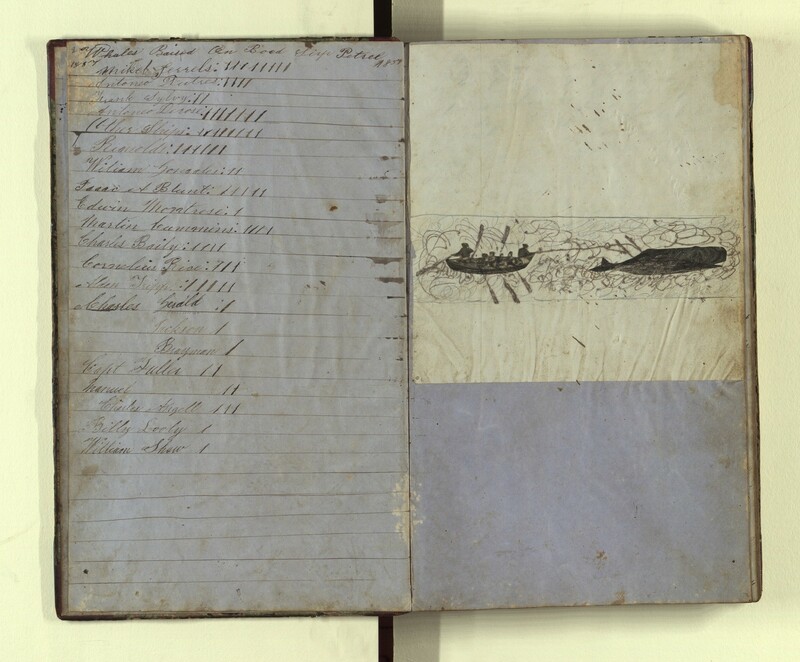 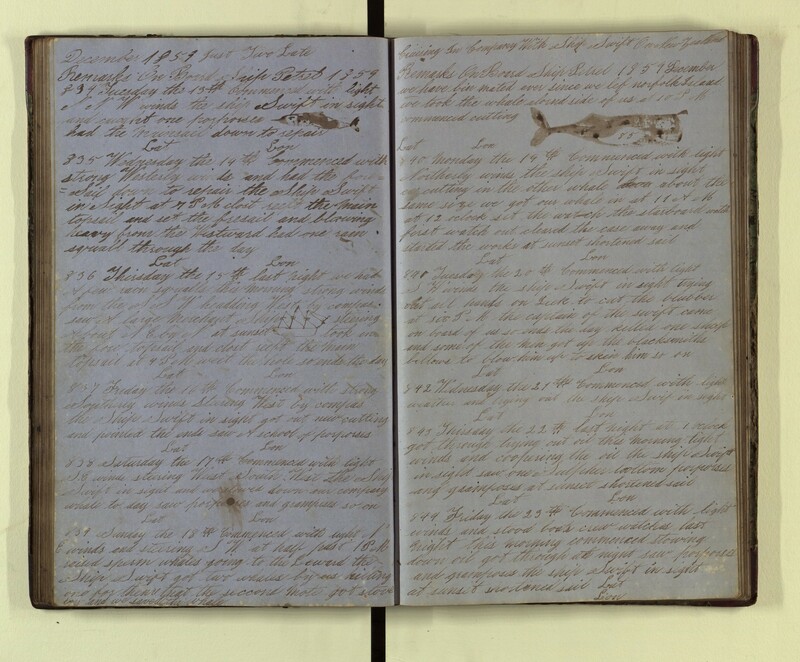 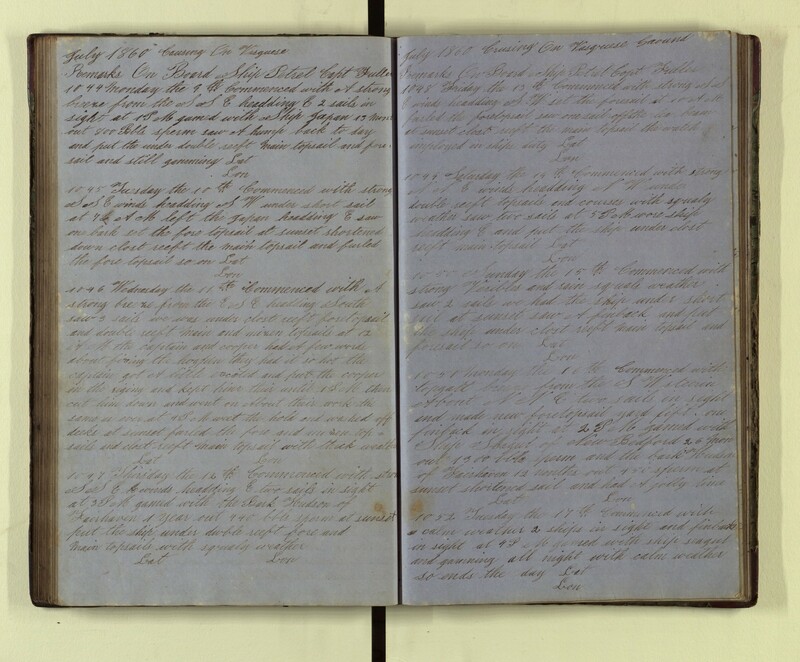 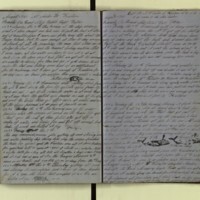 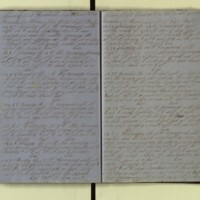 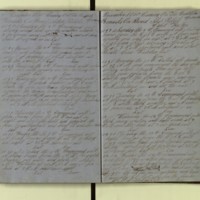 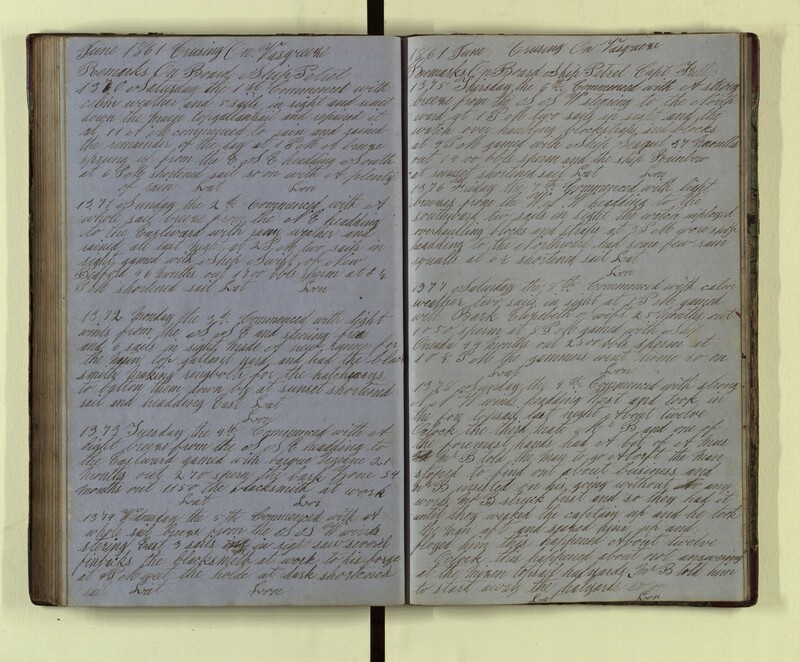 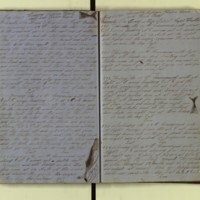 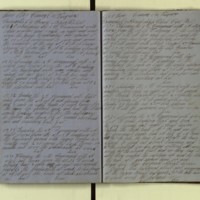 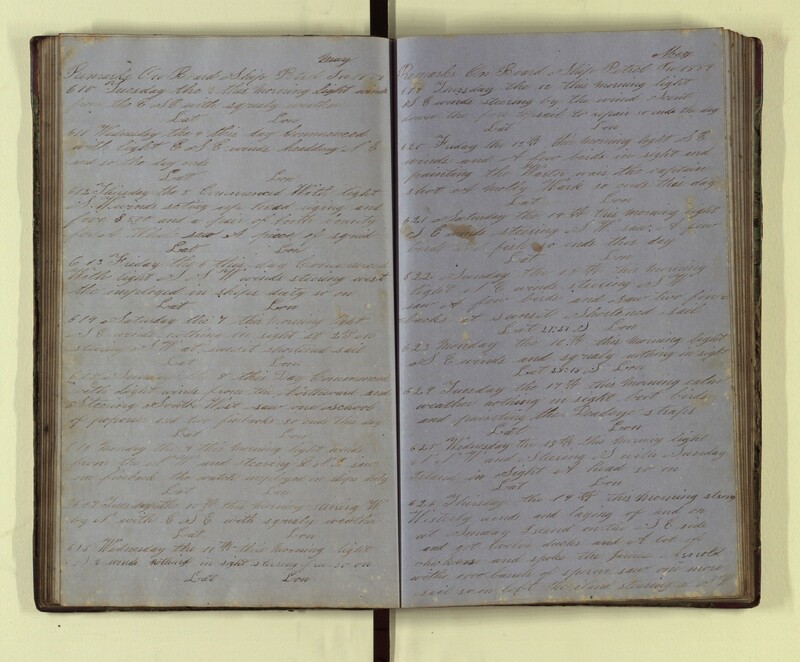 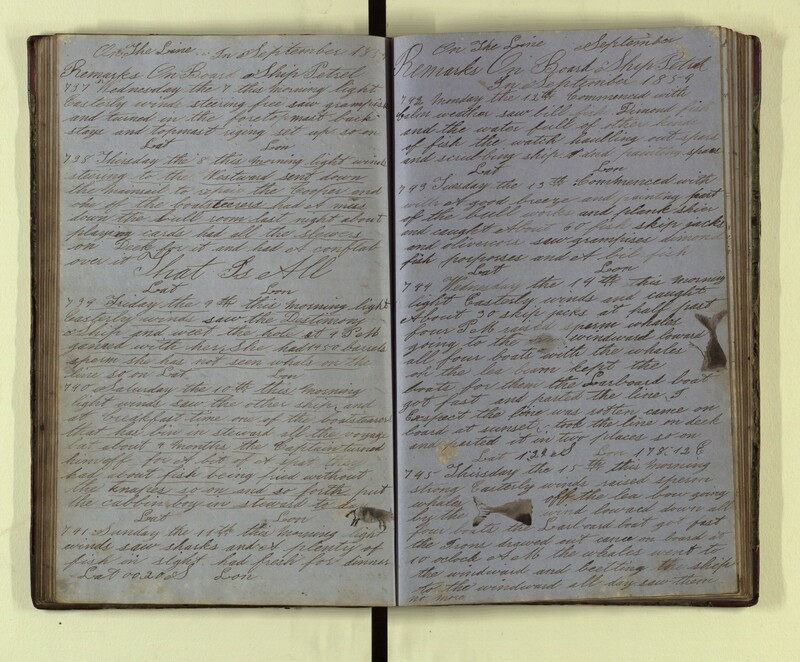 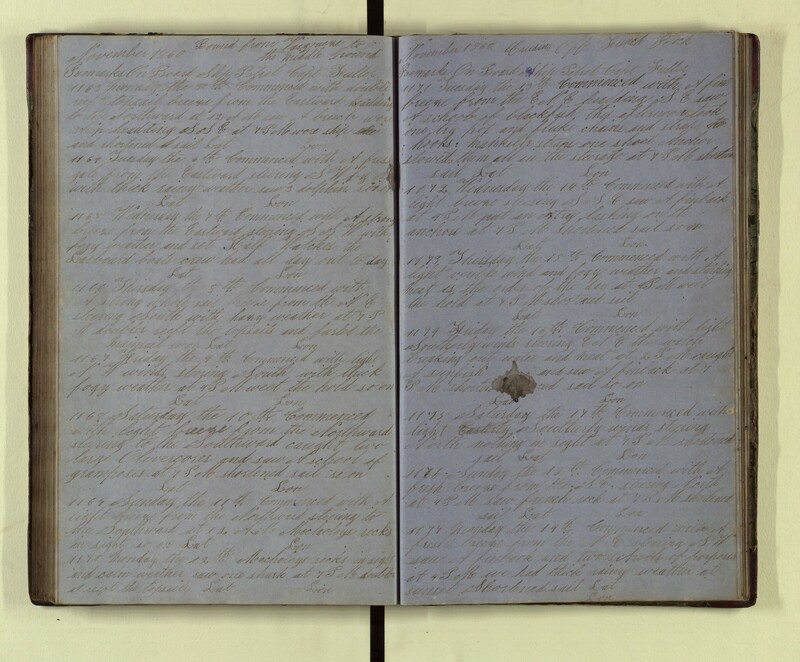 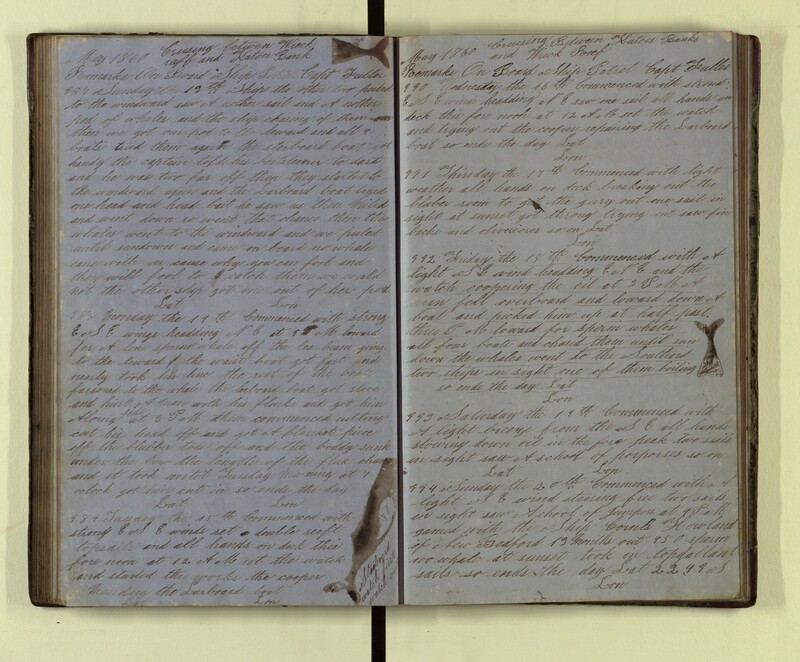 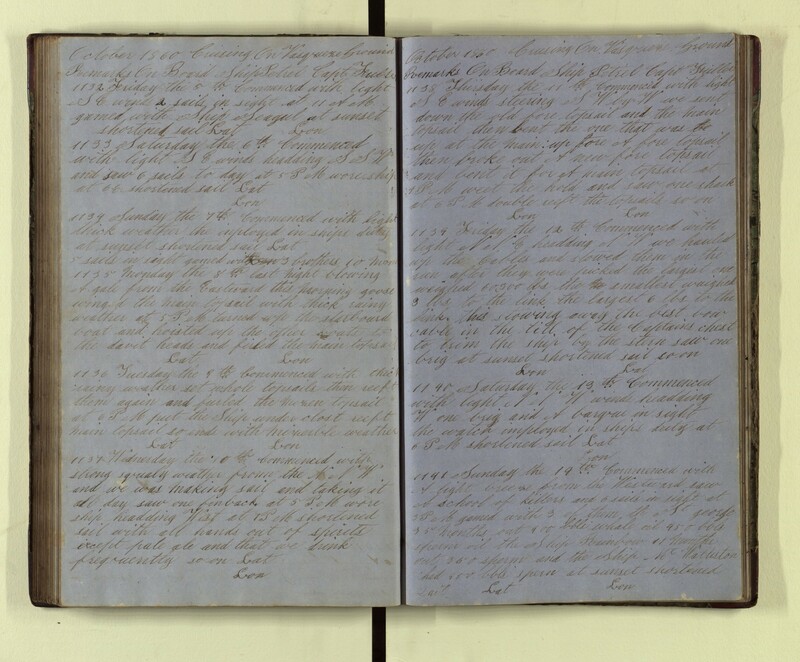 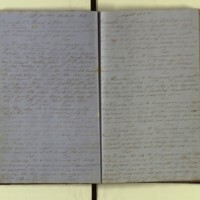 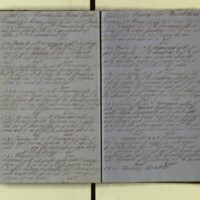 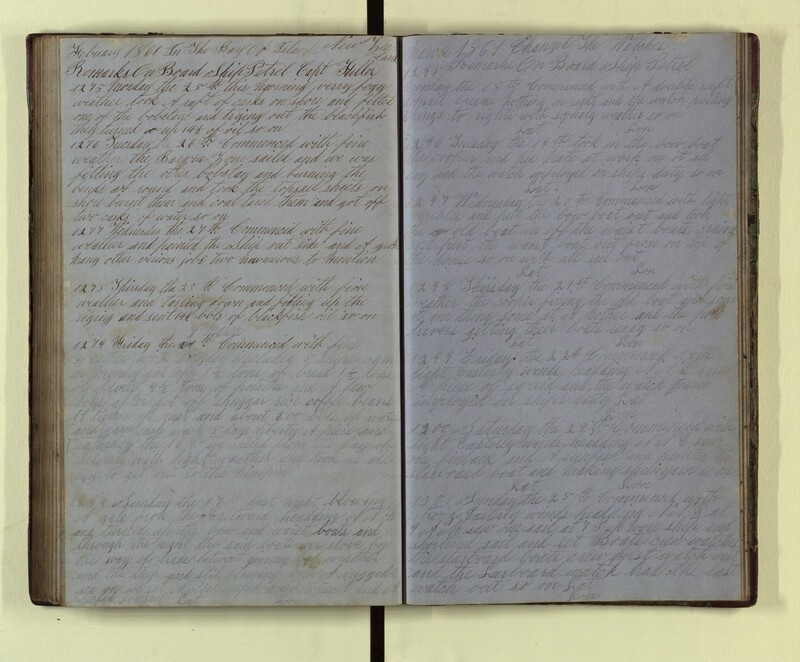 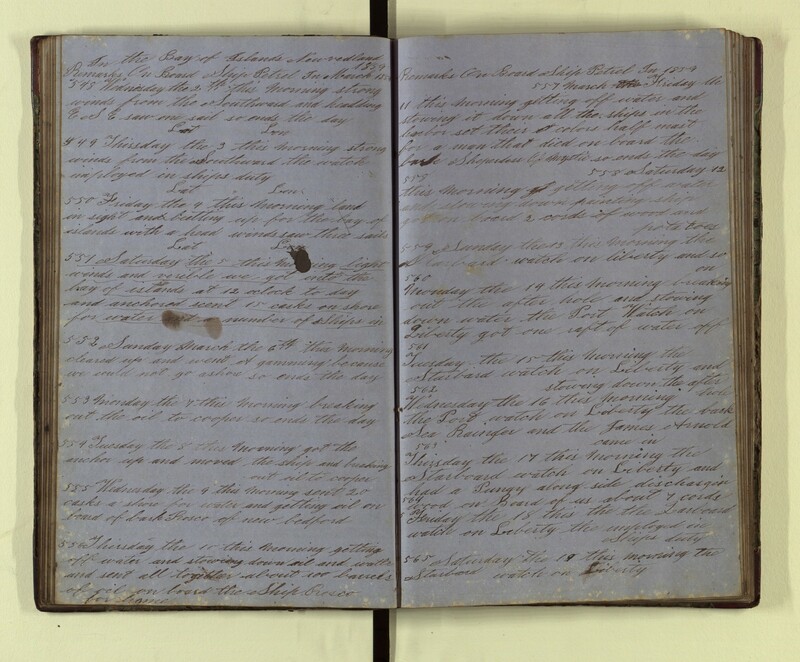 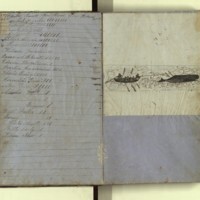 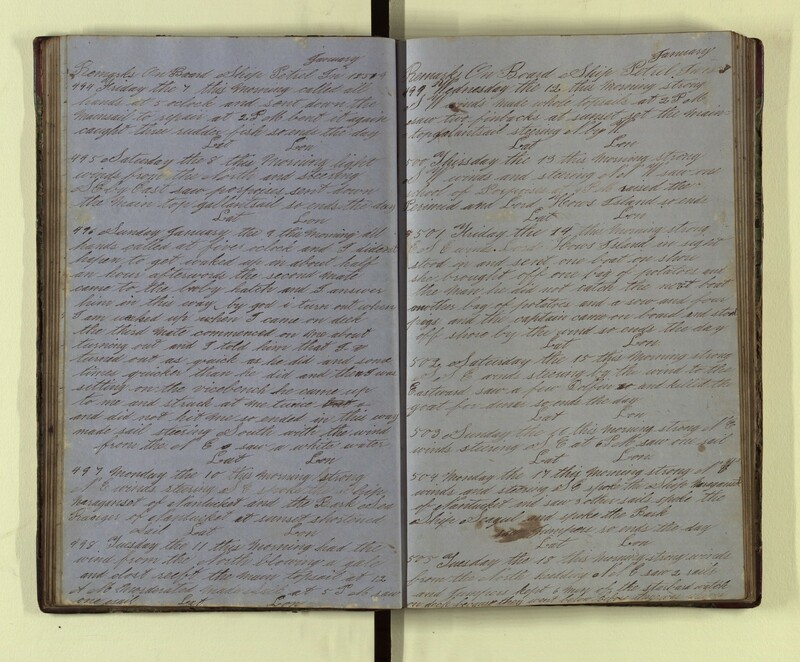 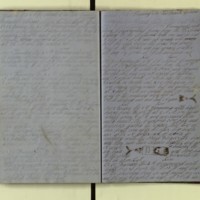 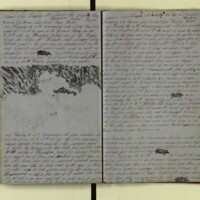 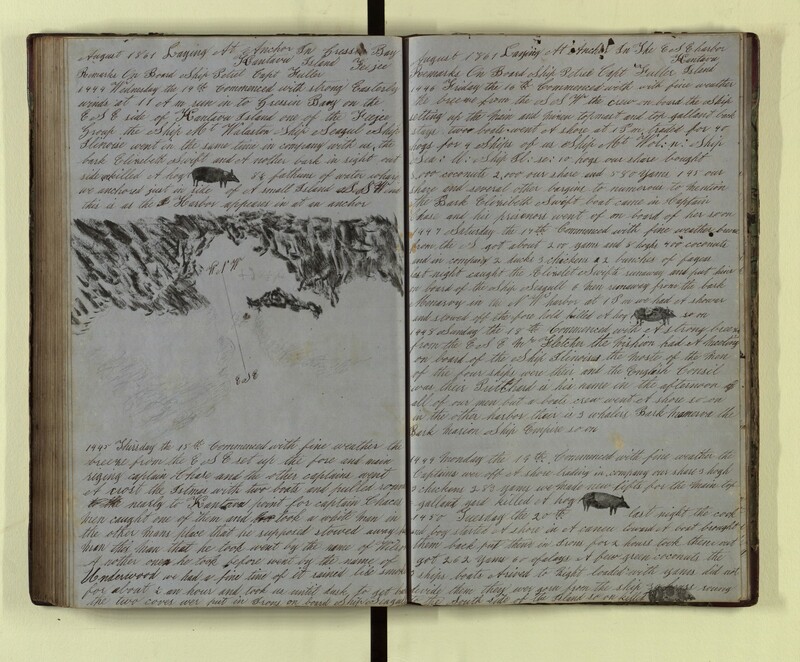 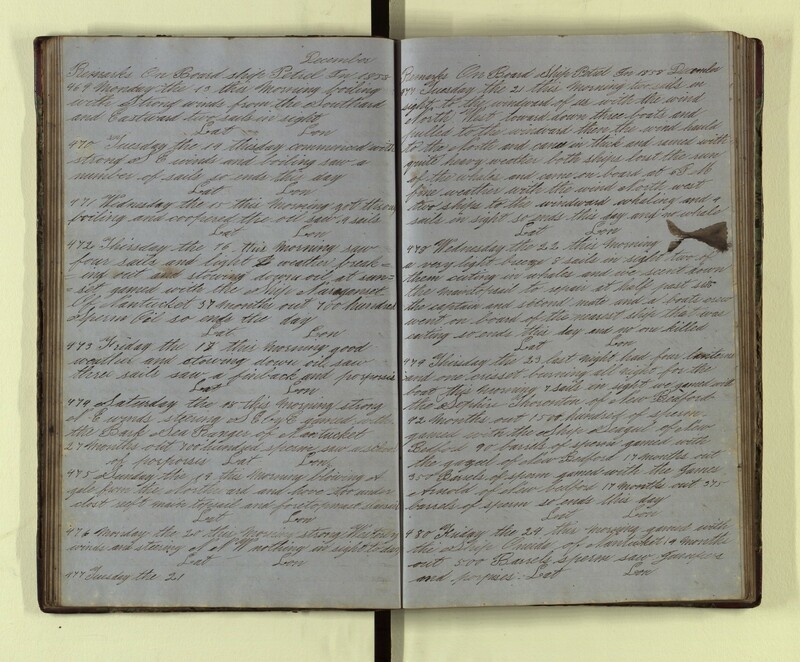 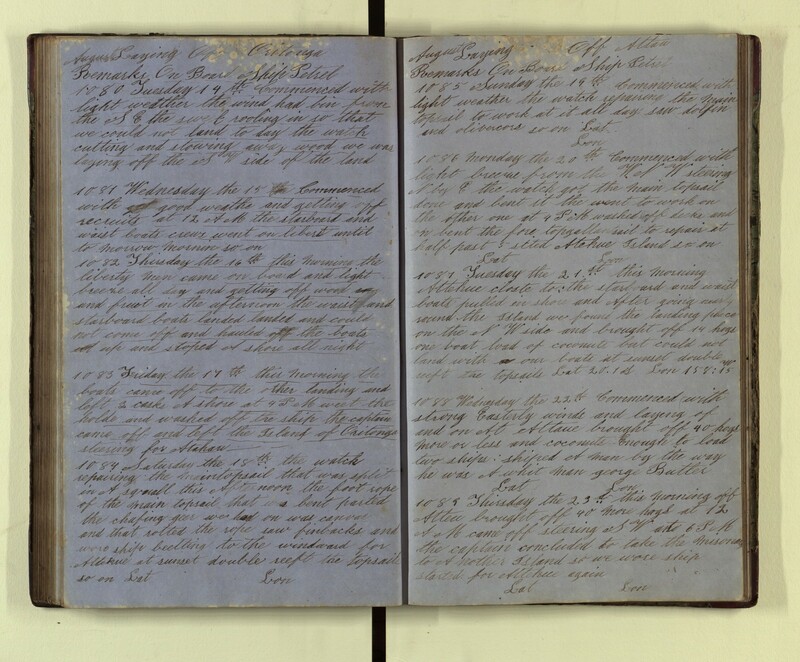 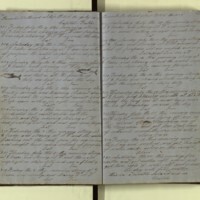 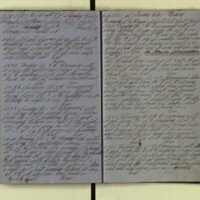 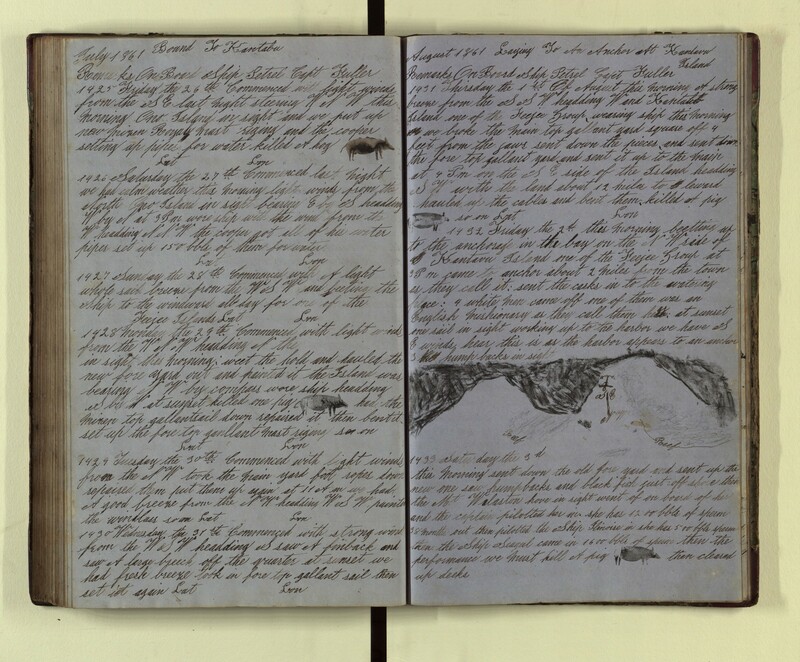 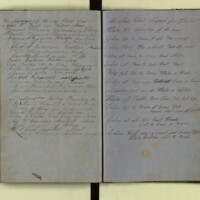 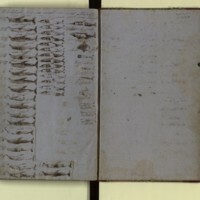 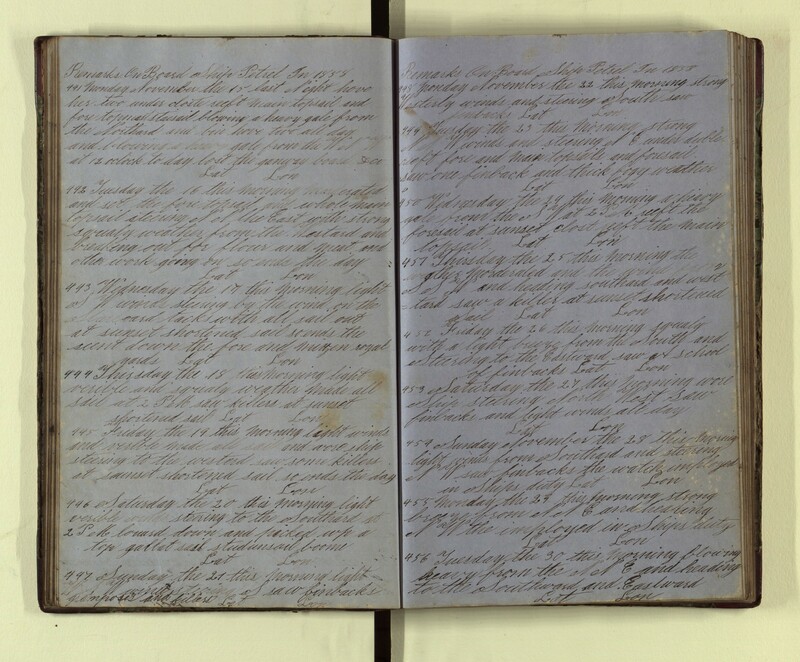 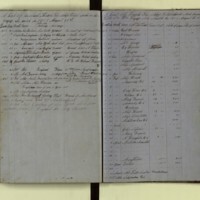 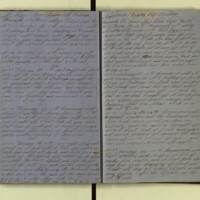 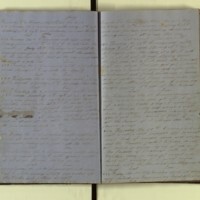 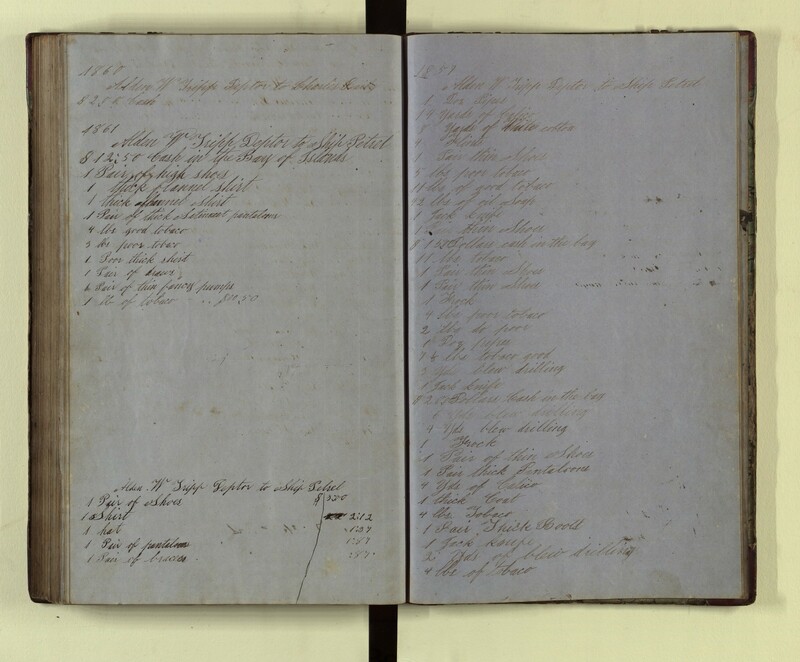 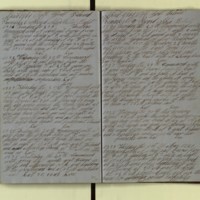 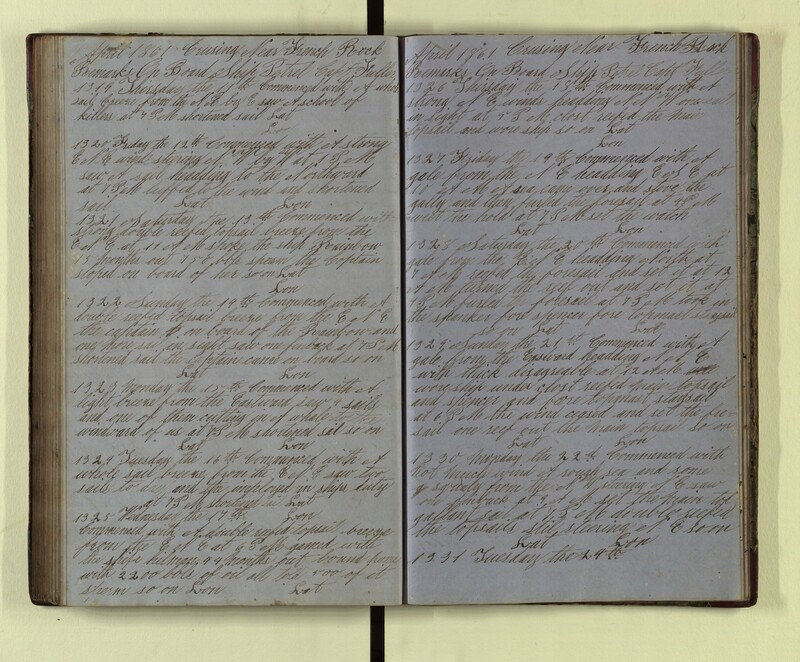 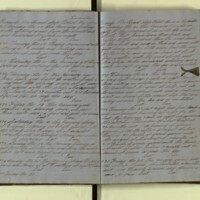 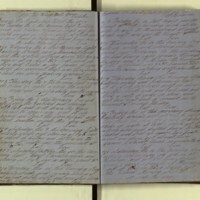 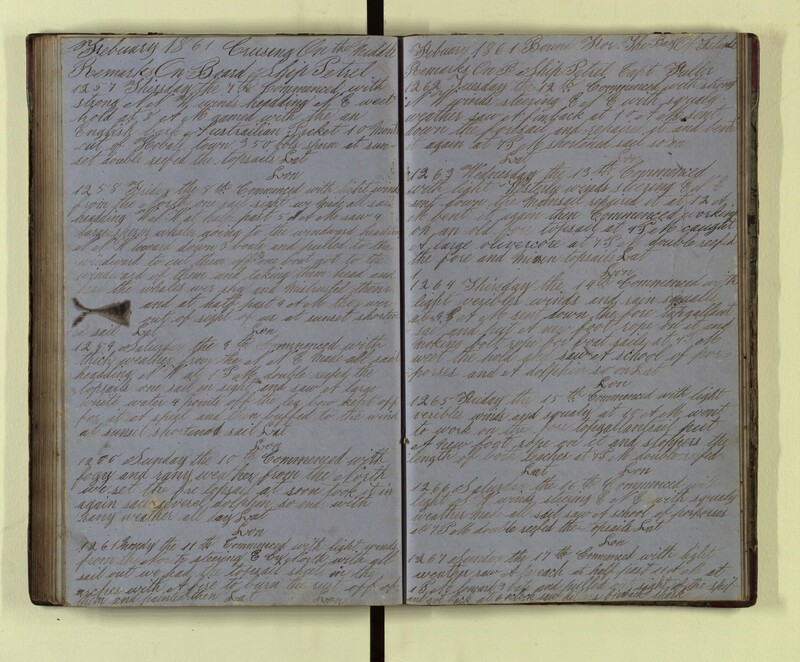 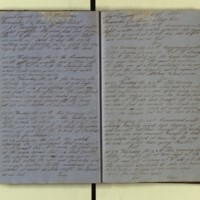 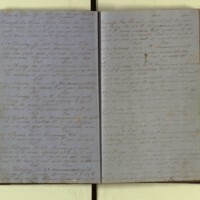 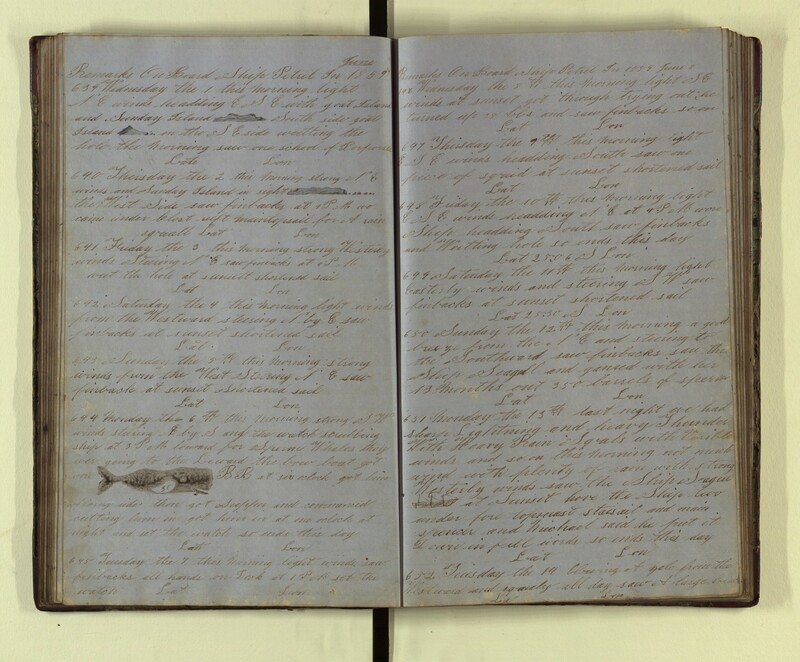 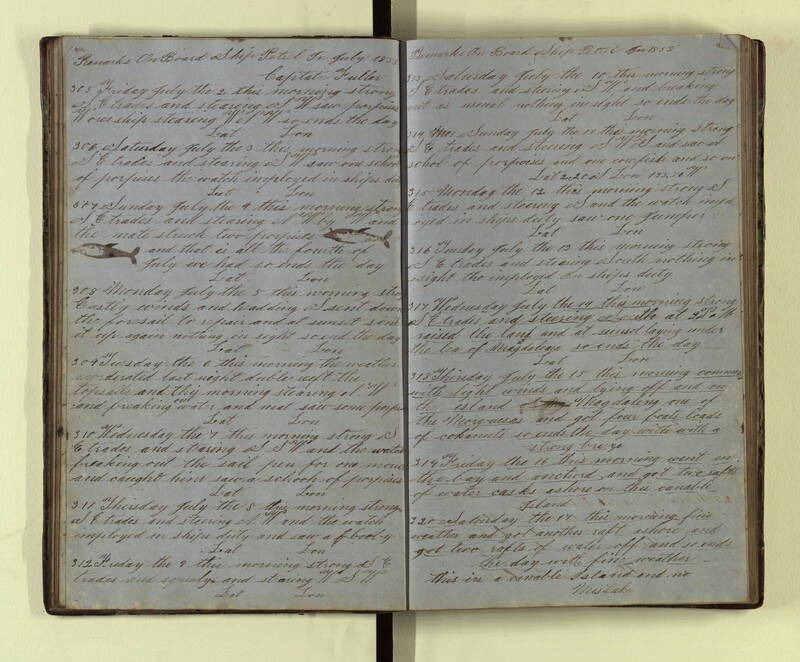 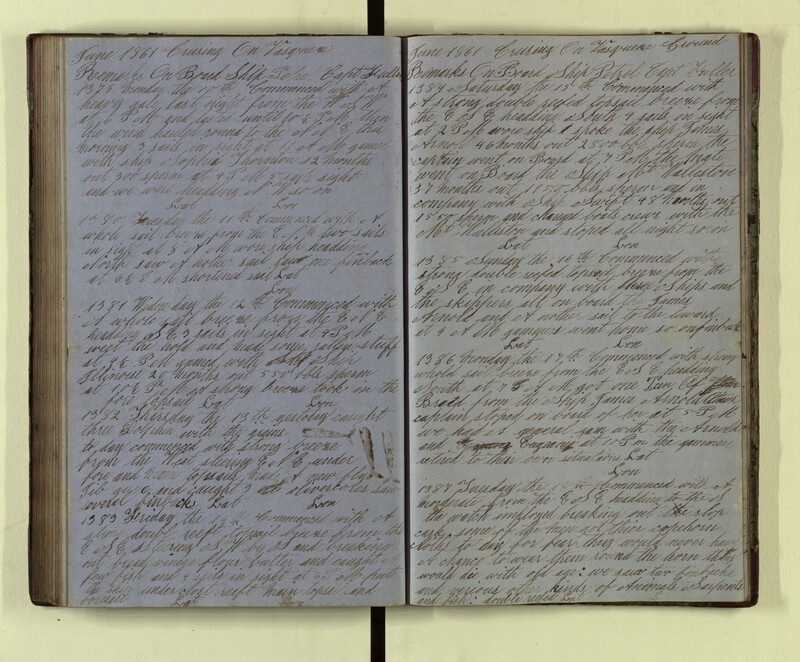 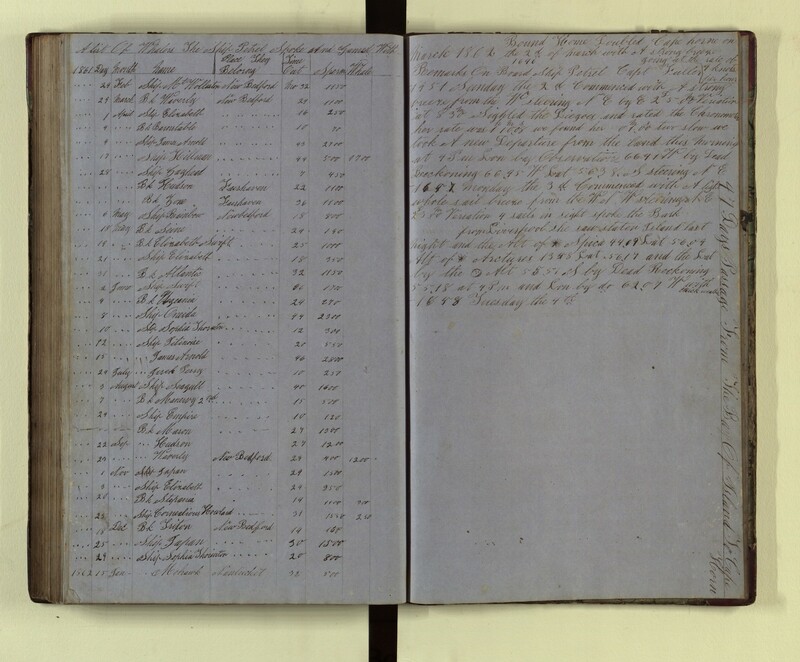 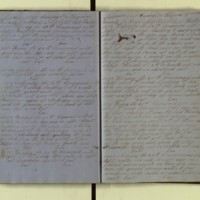 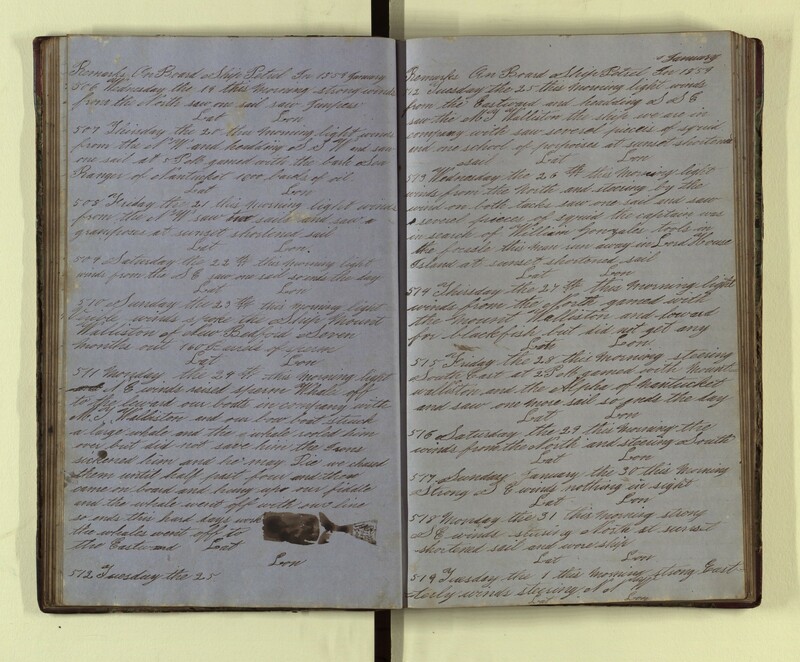 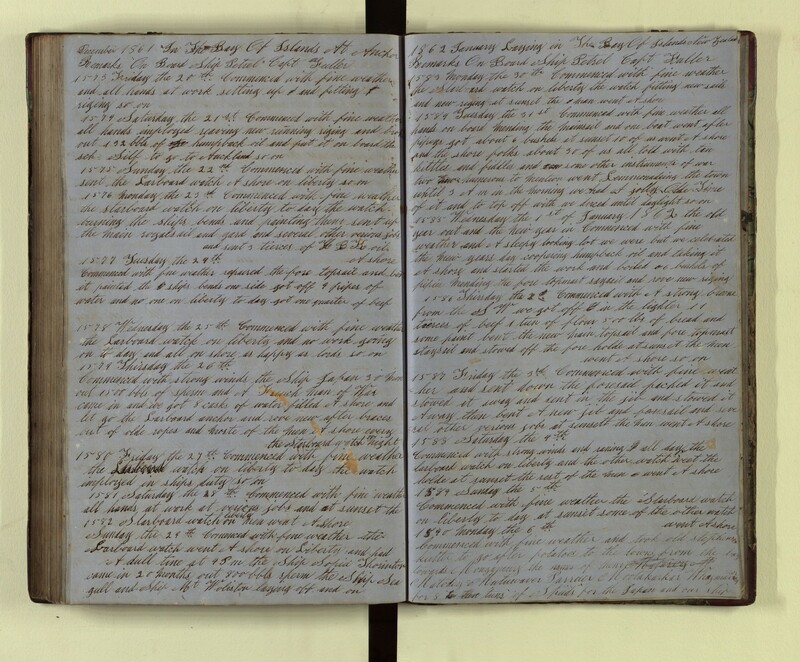 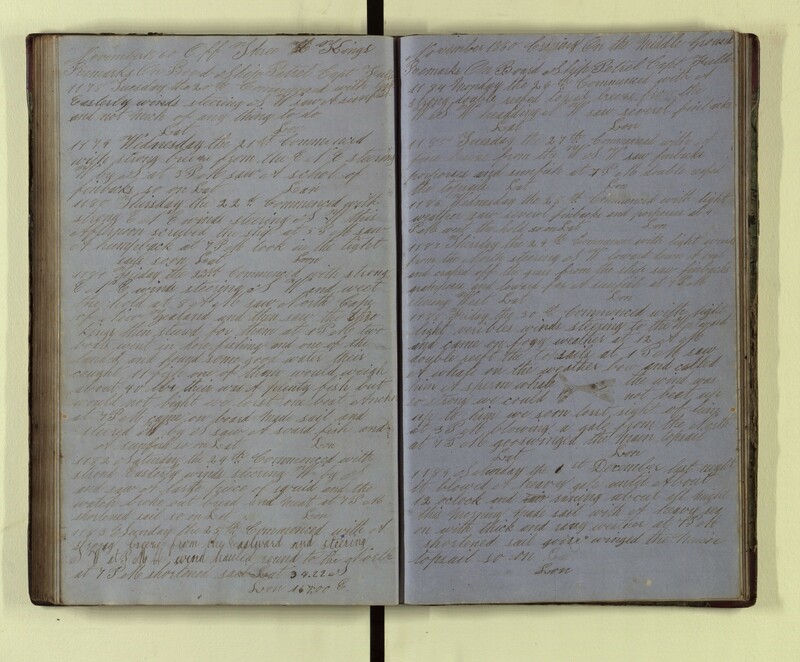 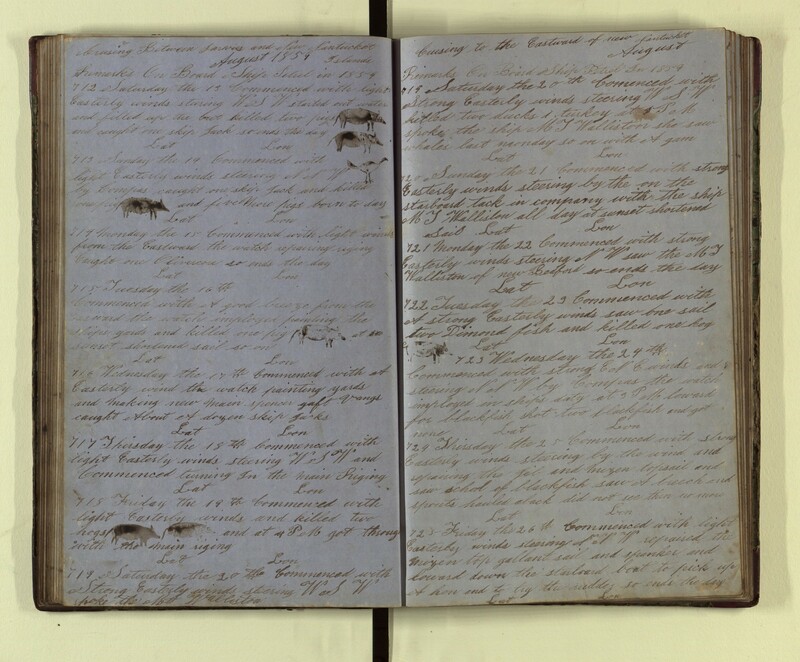 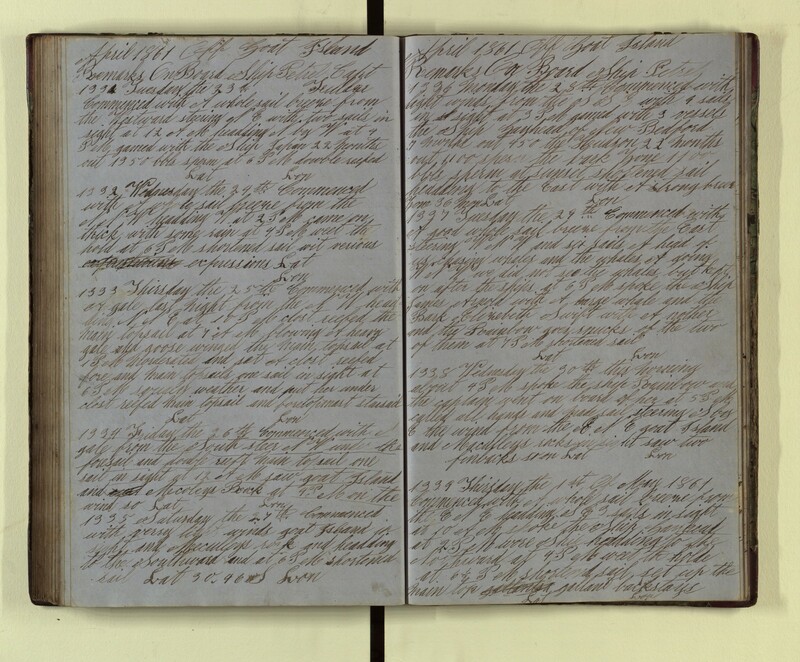 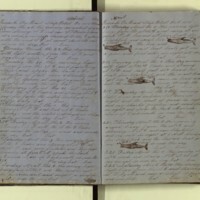 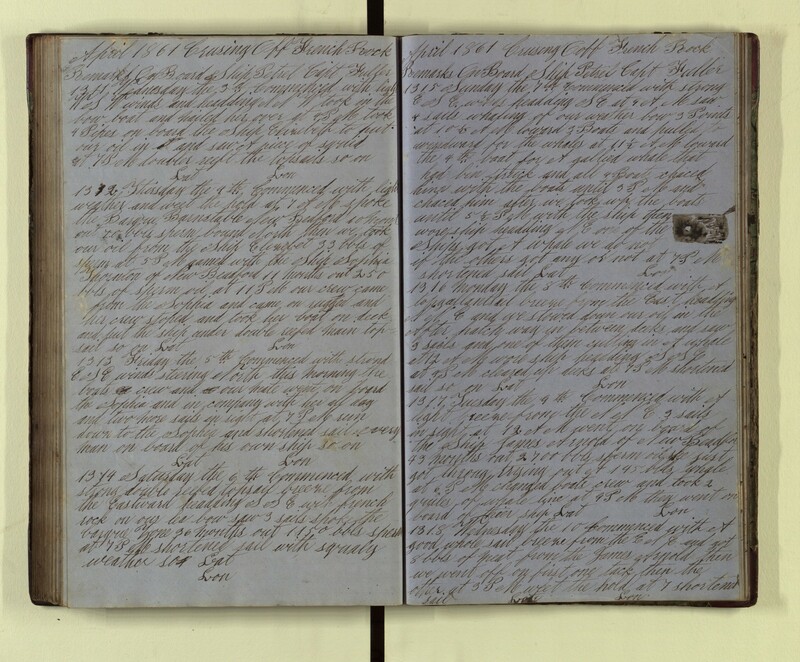 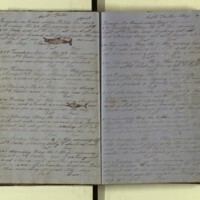 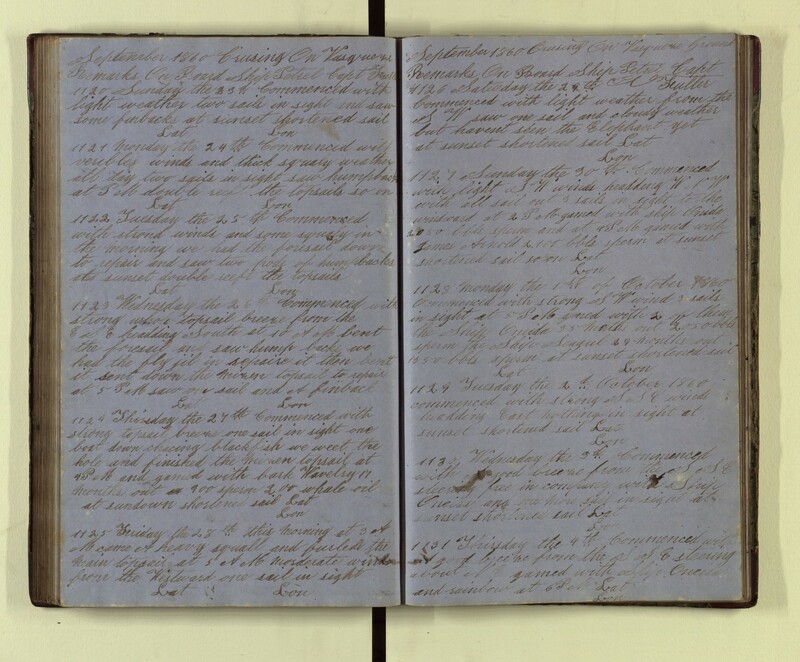 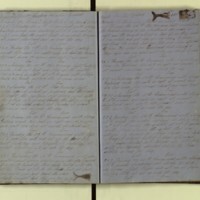 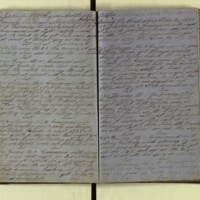 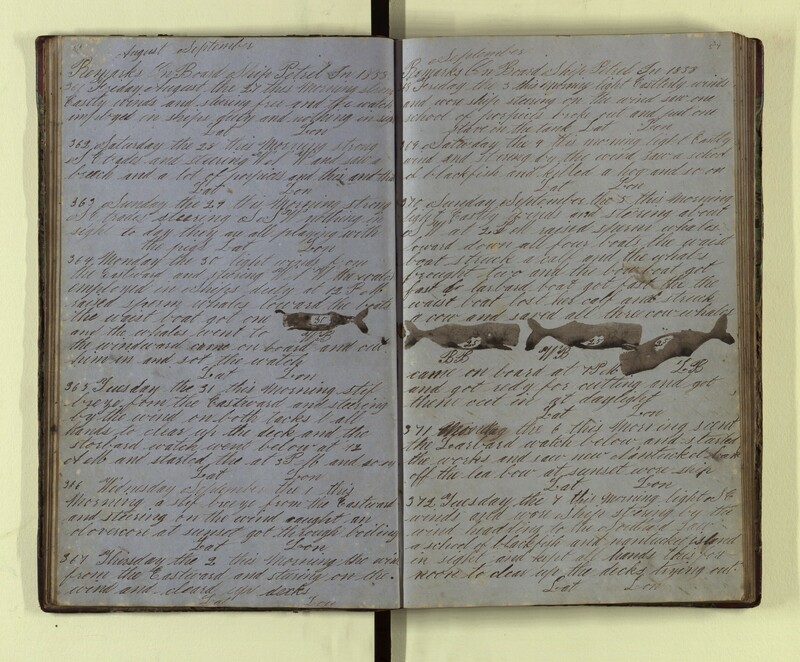 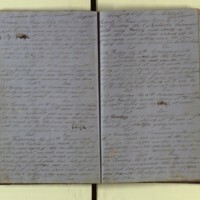 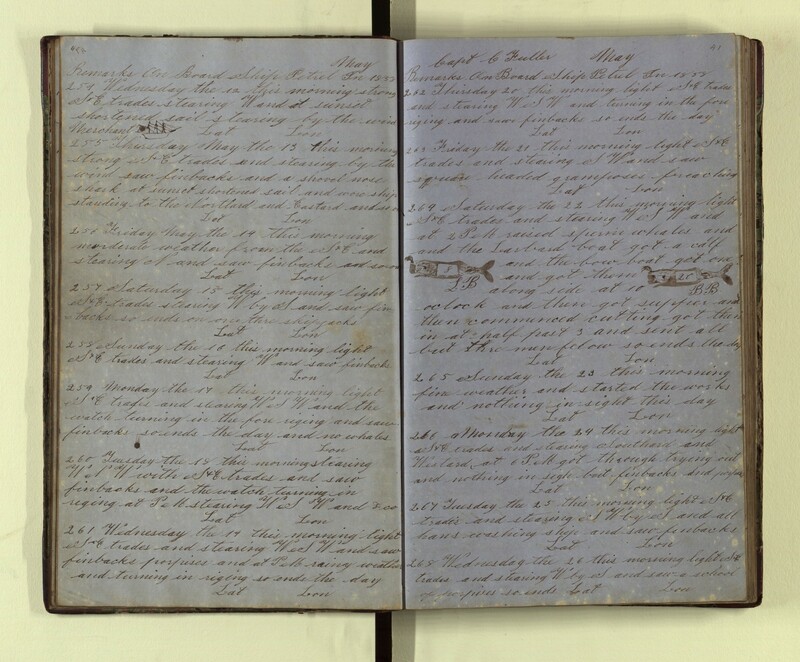 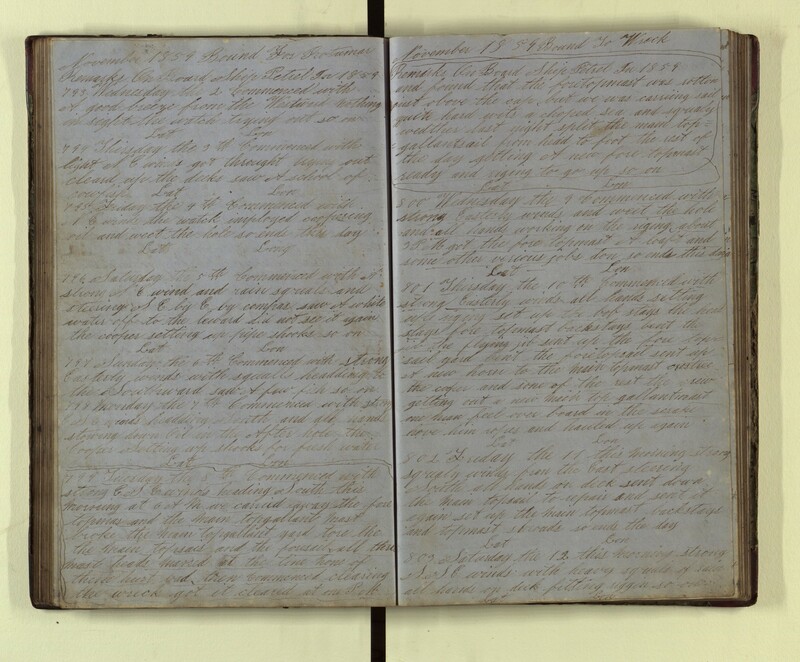 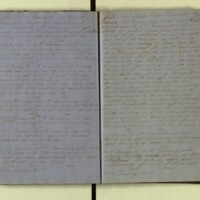 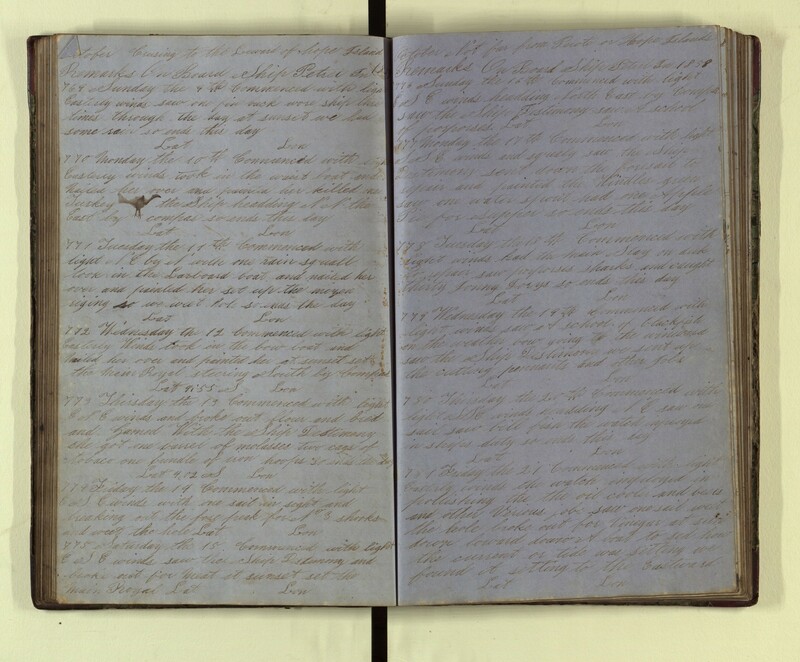 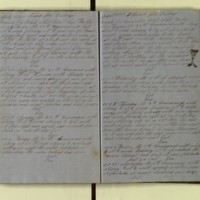 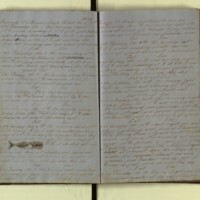 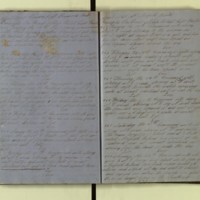 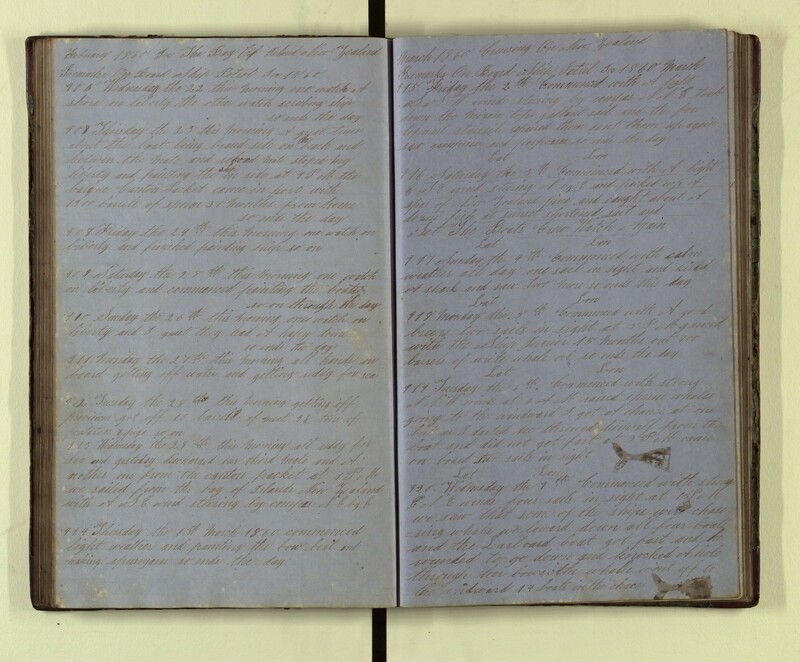 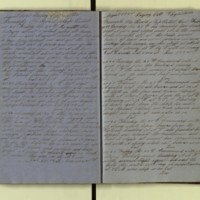 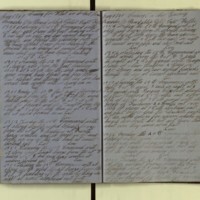 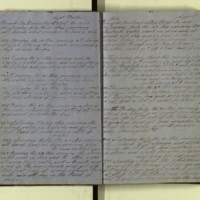 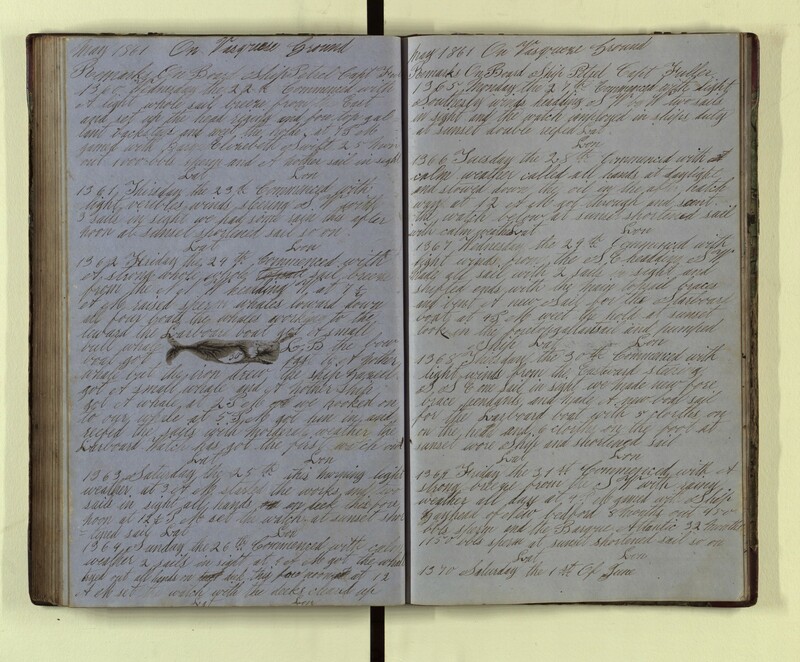 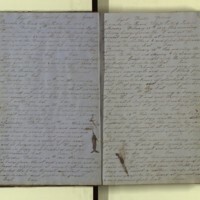 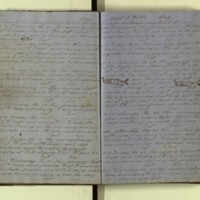 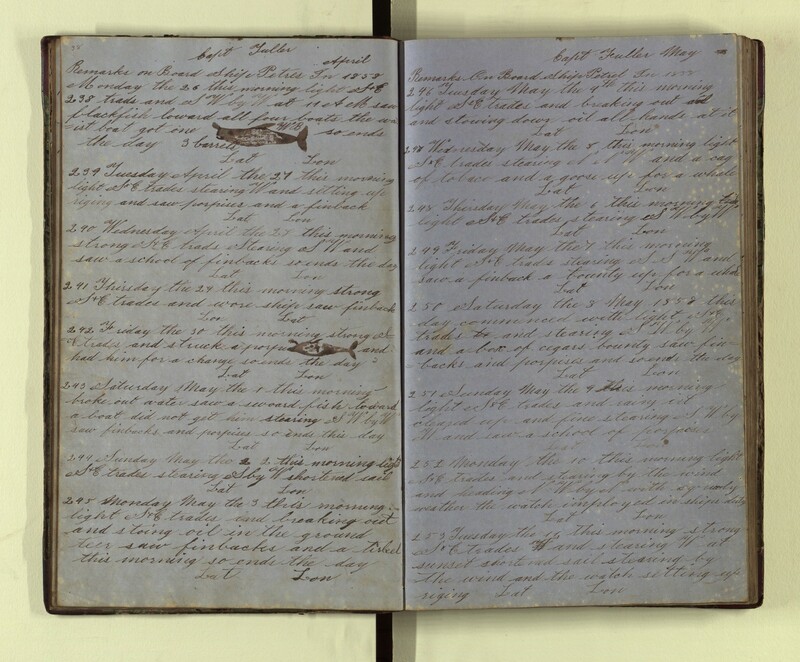 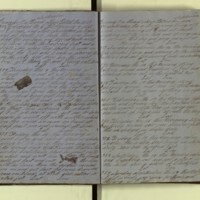 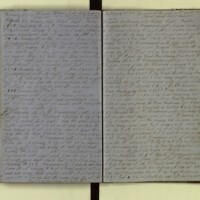 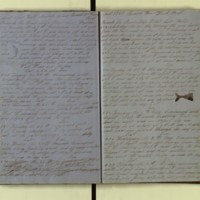 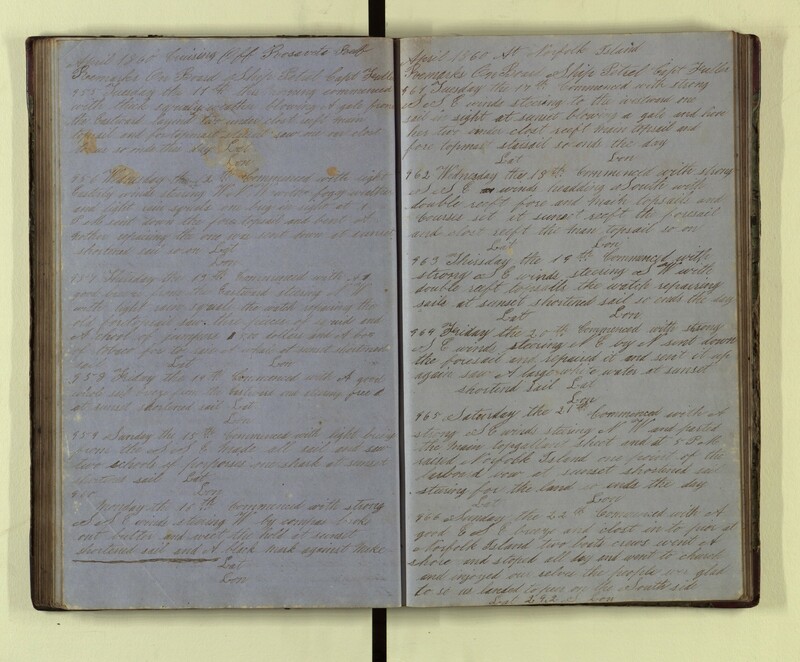 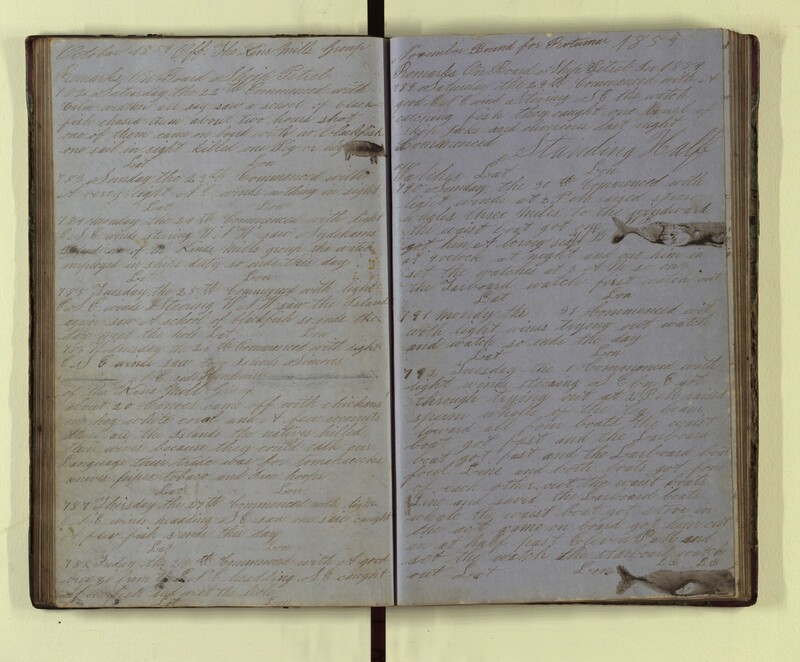 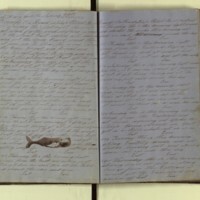 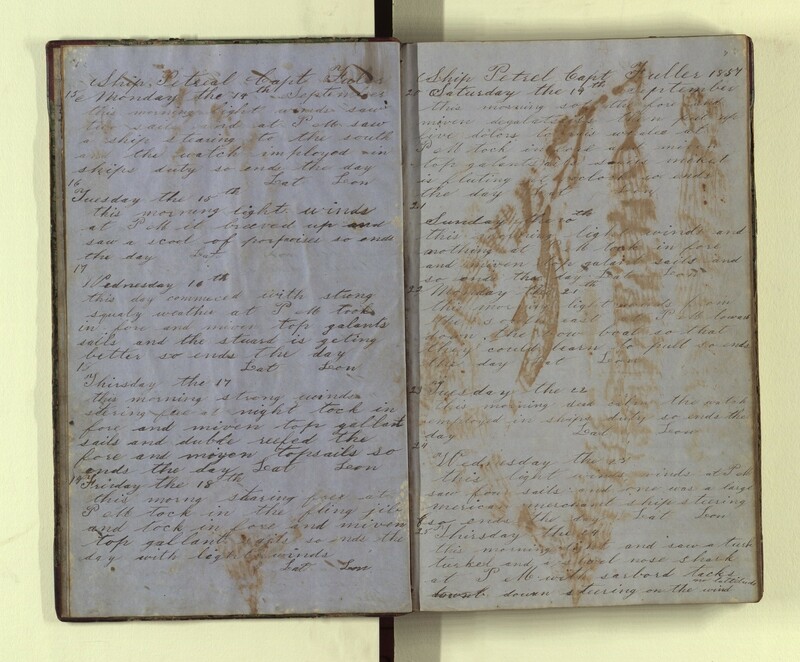 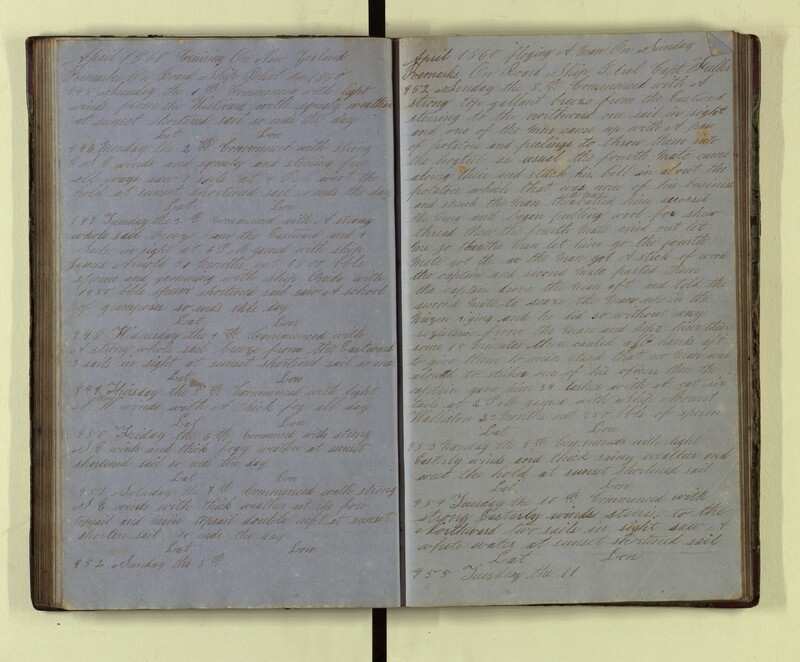 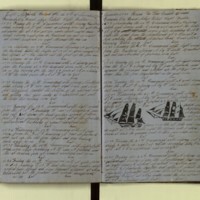 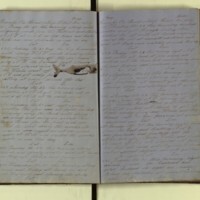 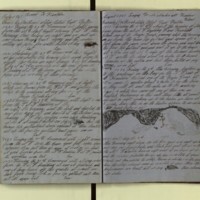 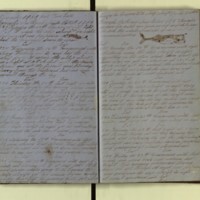 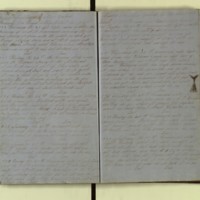 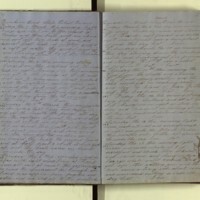 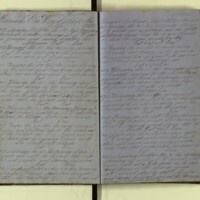 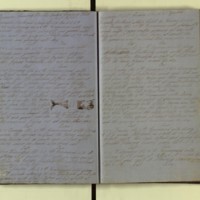 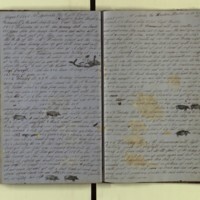 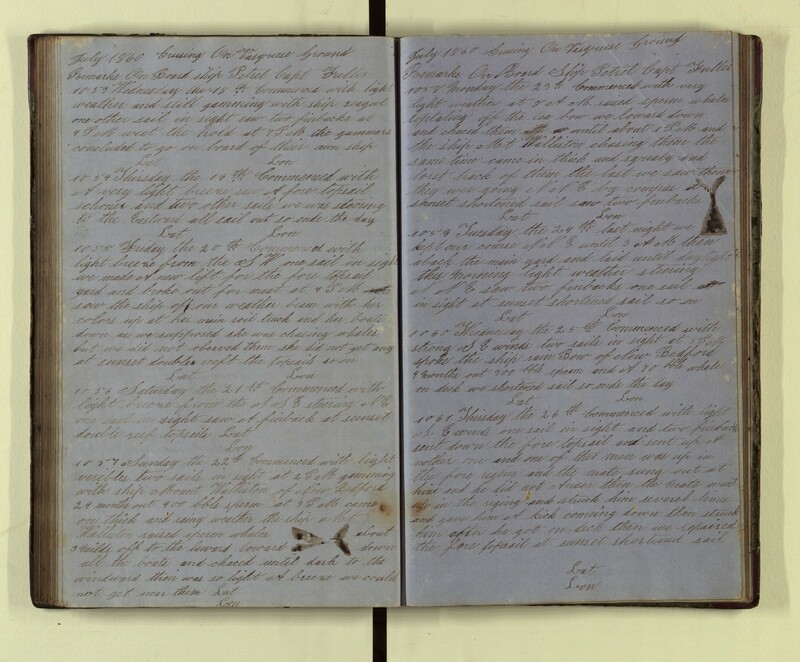 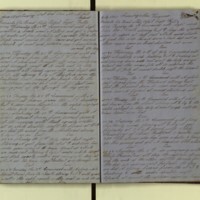 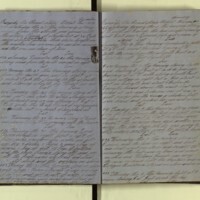 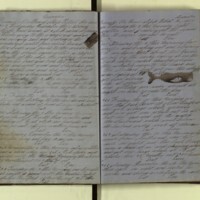 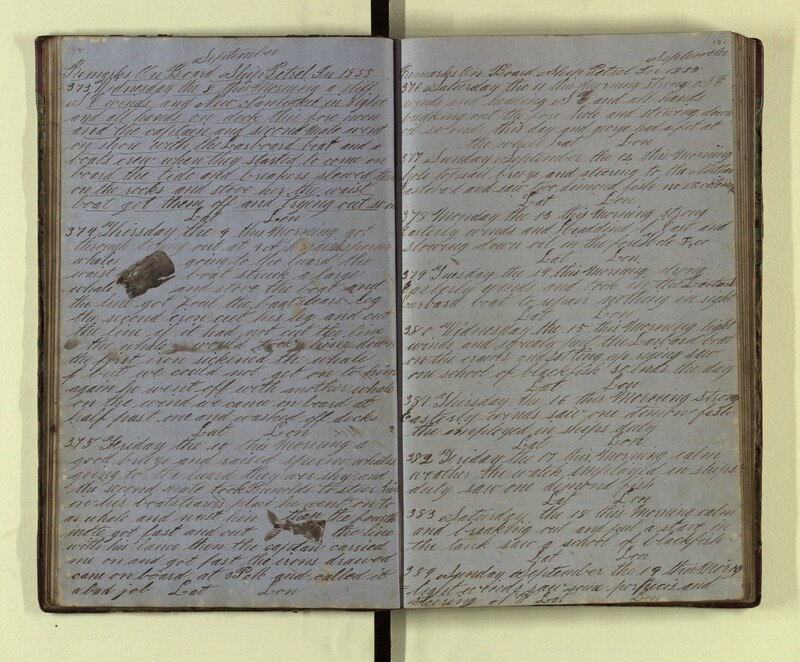 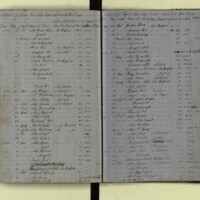 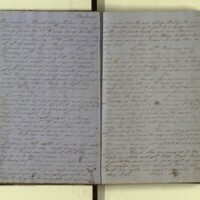 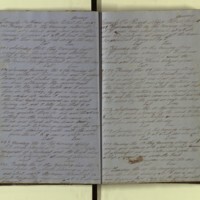 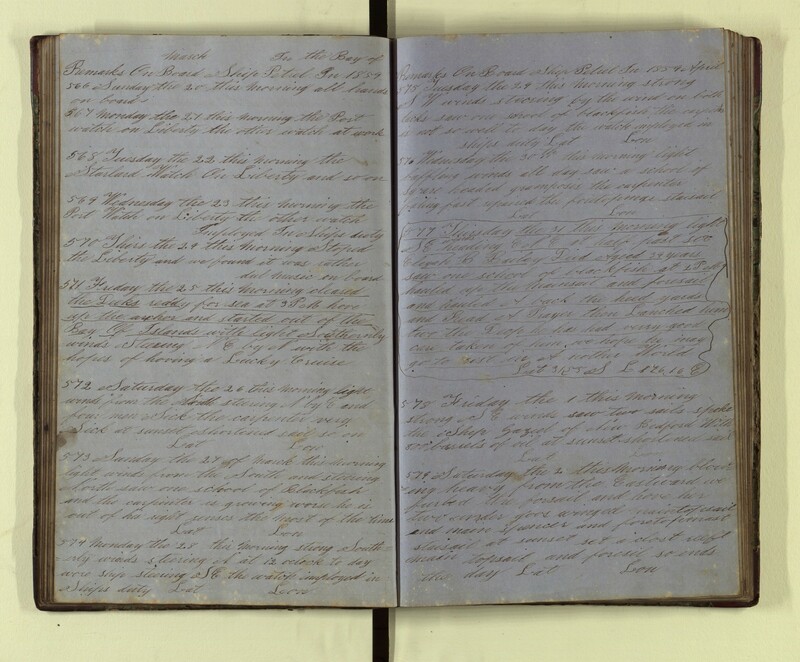 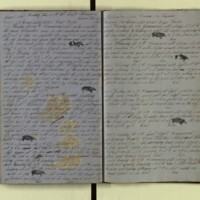 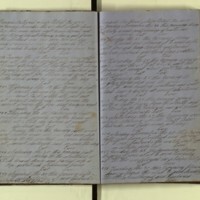 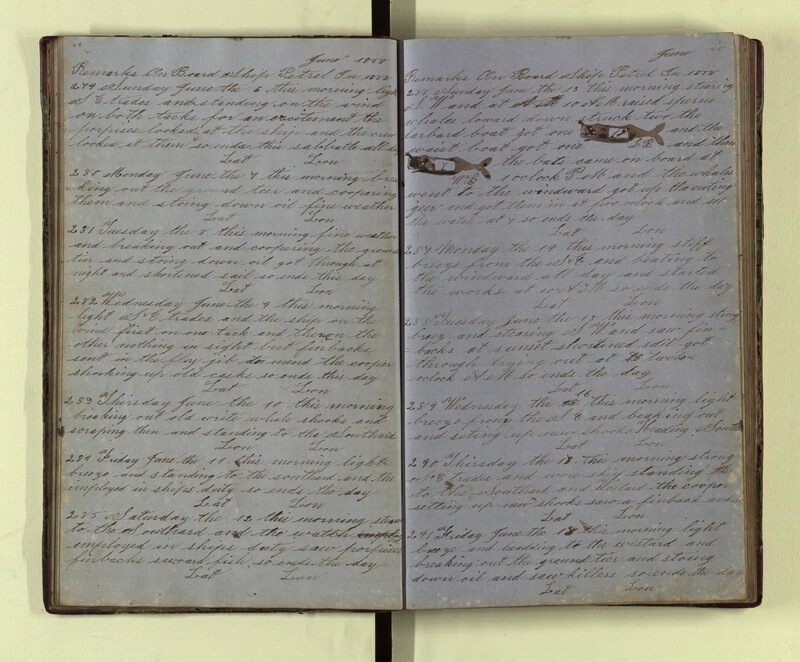 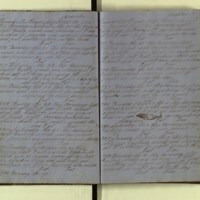 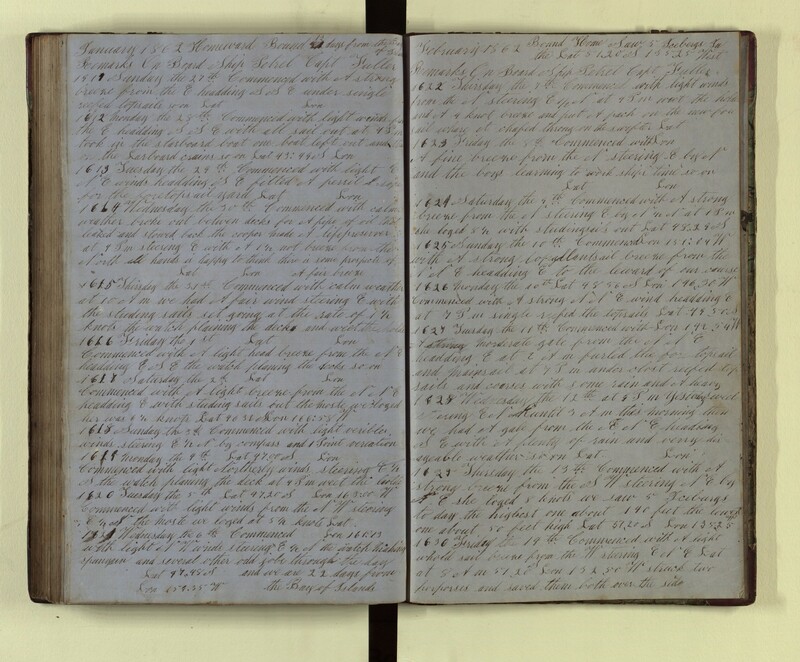 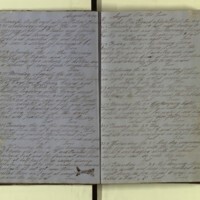 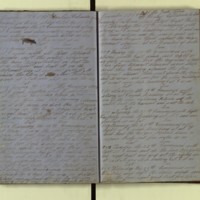 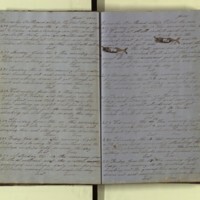 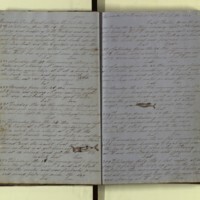 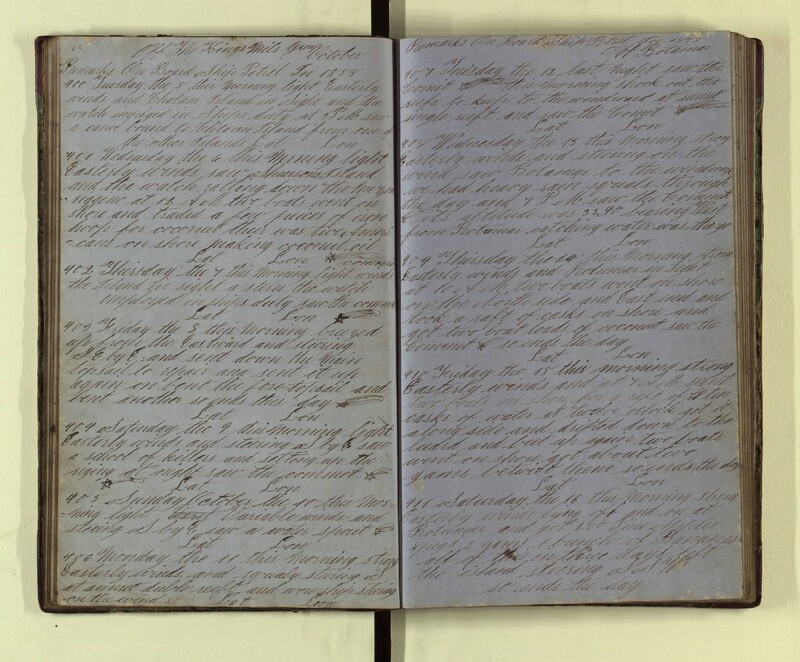 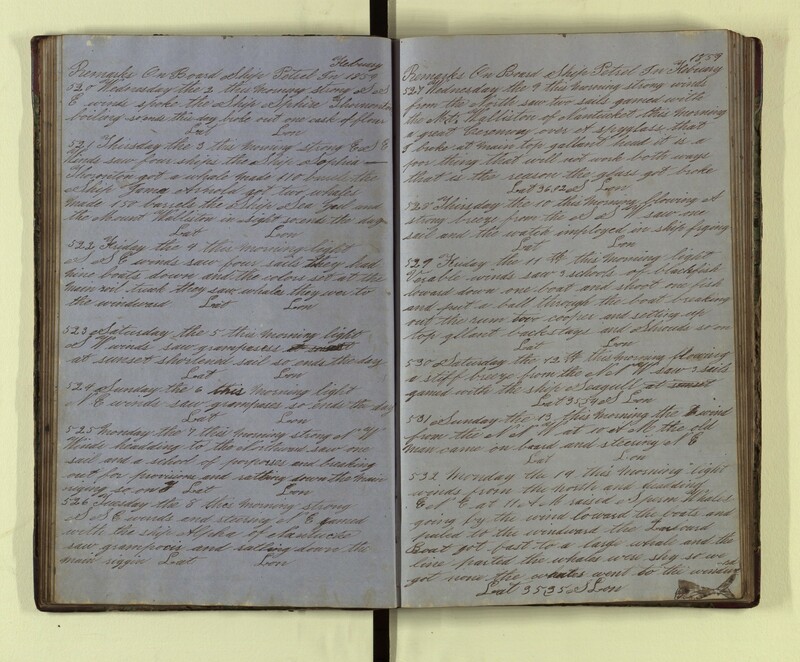 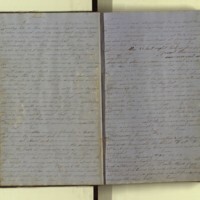 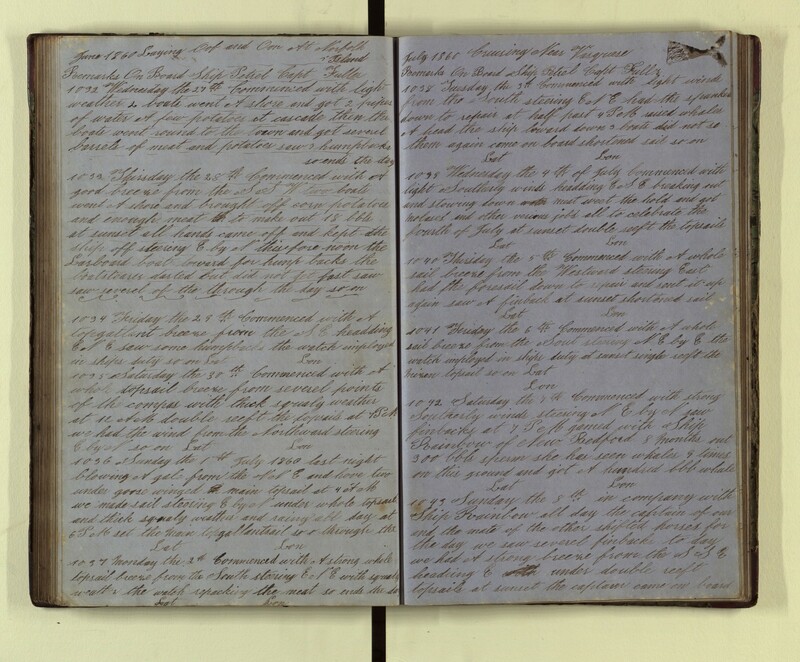 Tripp, Alden W., “Log of the Petrel, 1857-1862,” accessed April 19, 2019, http://pplspc.org/digital/items/show/26.